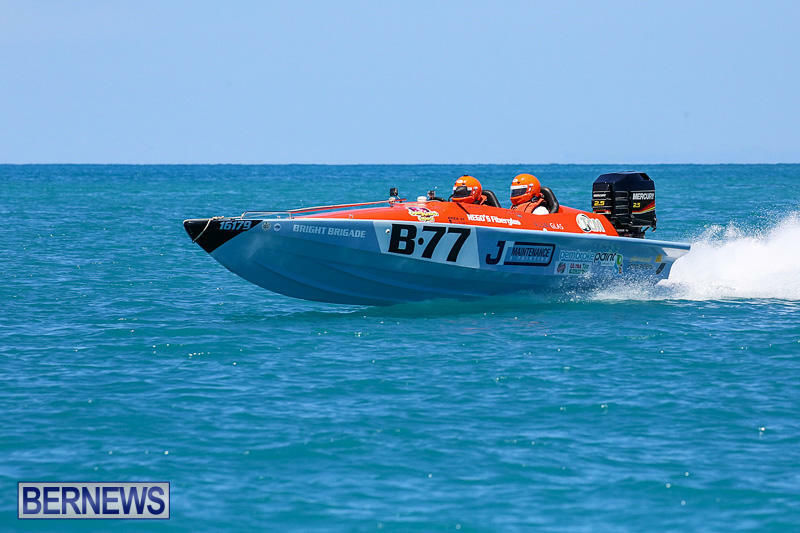 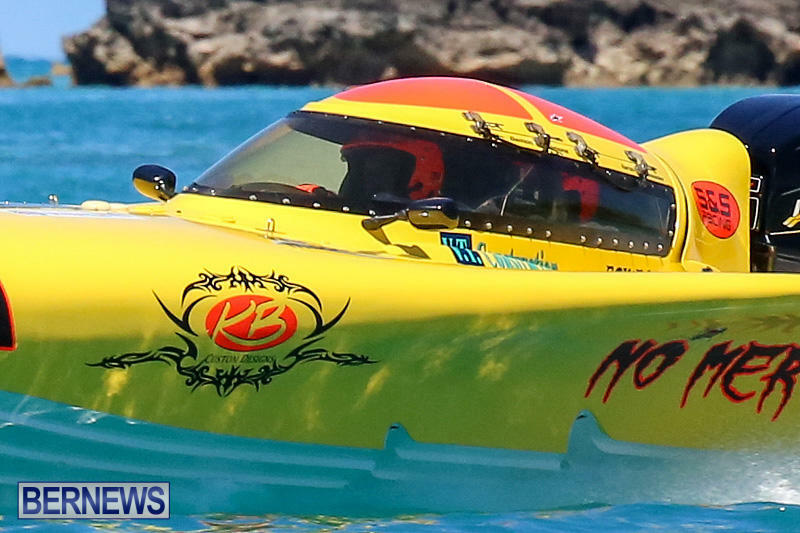 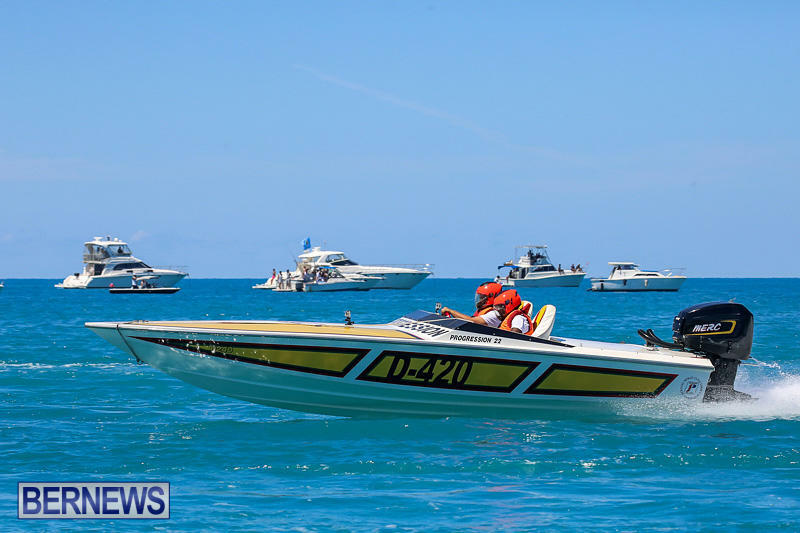 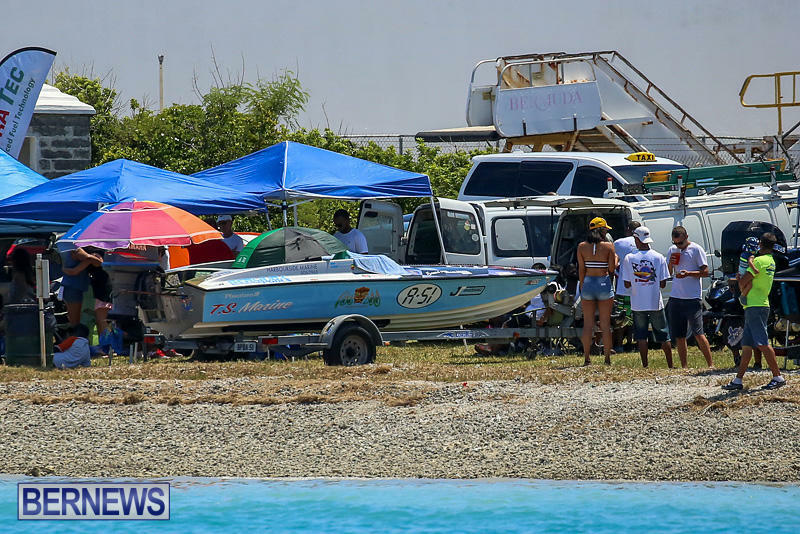 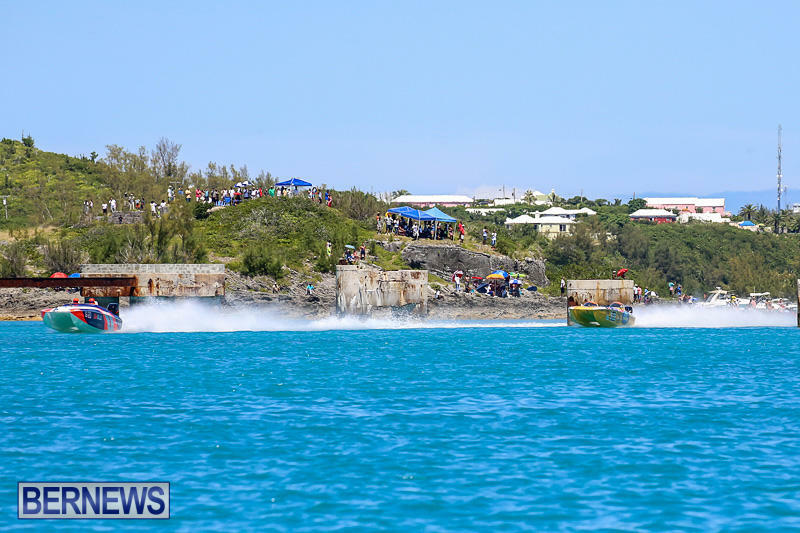 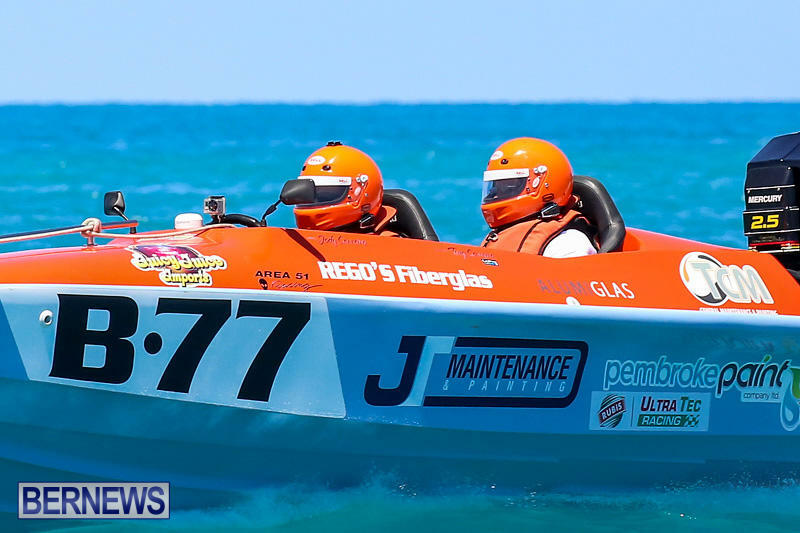 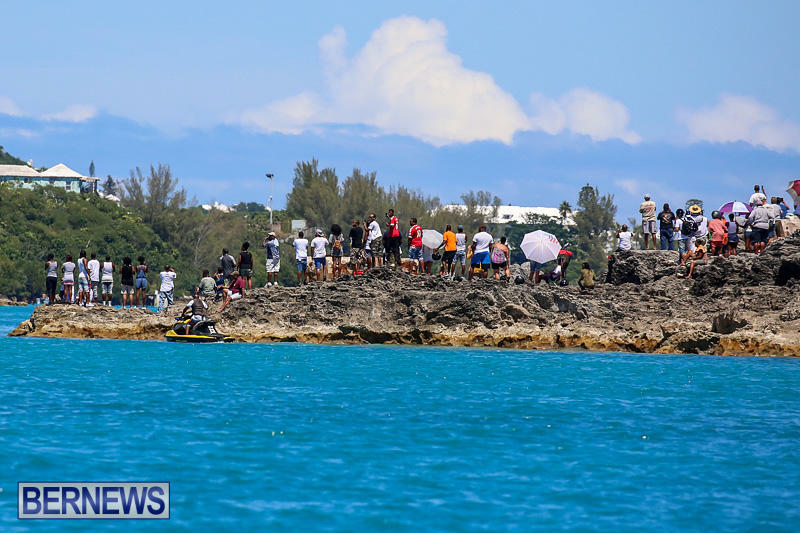 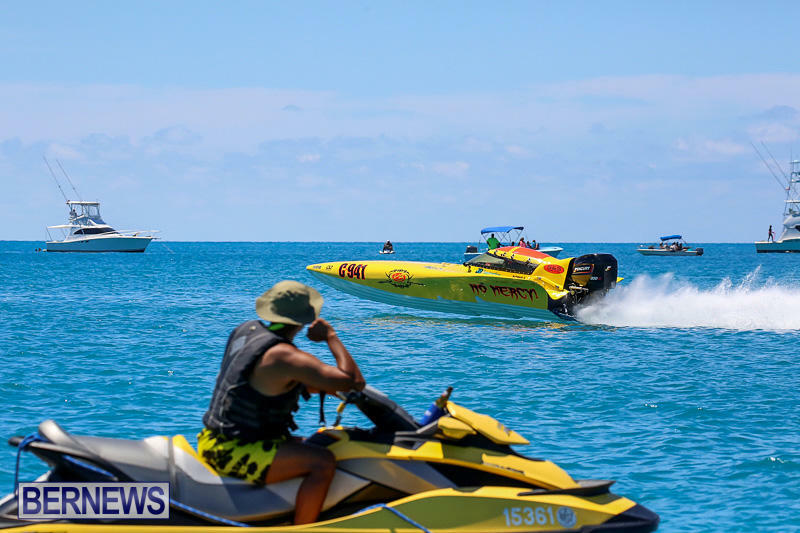 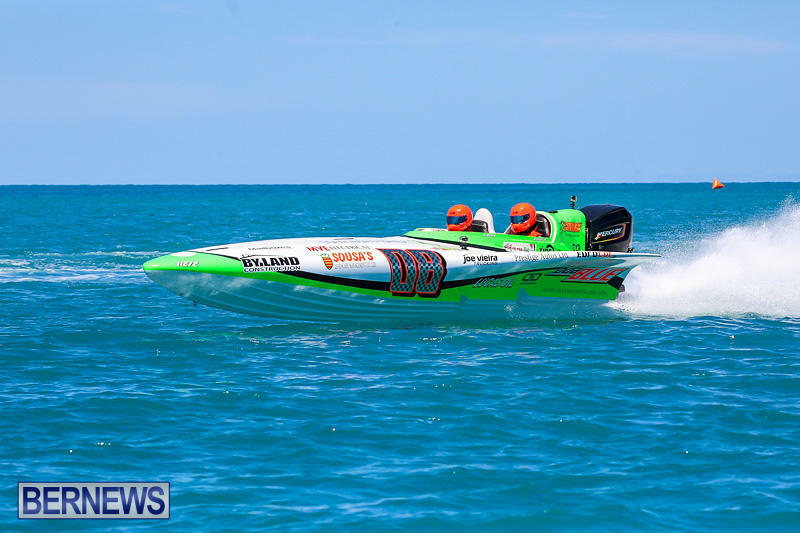 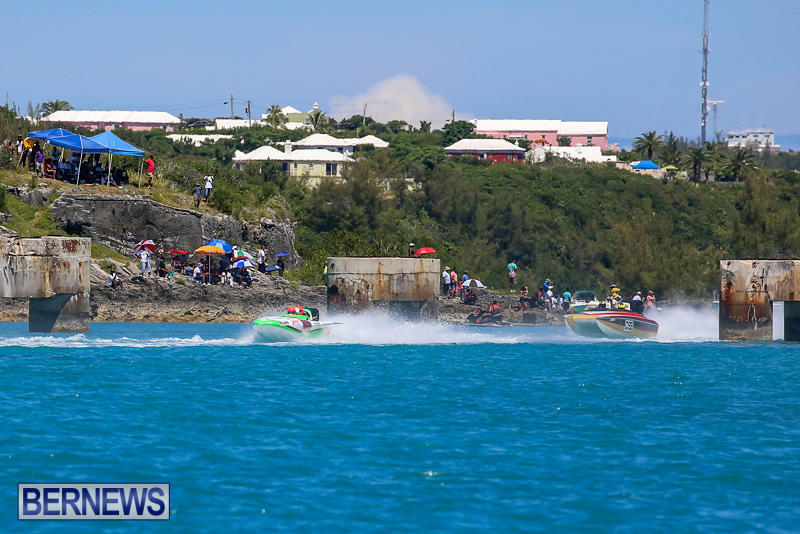 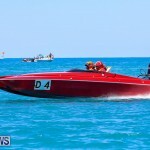 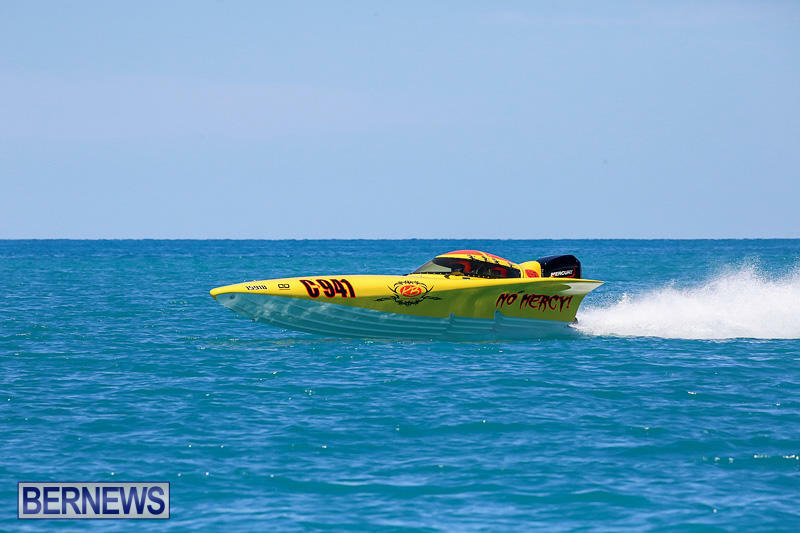 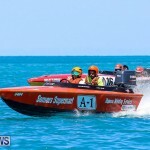 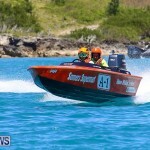 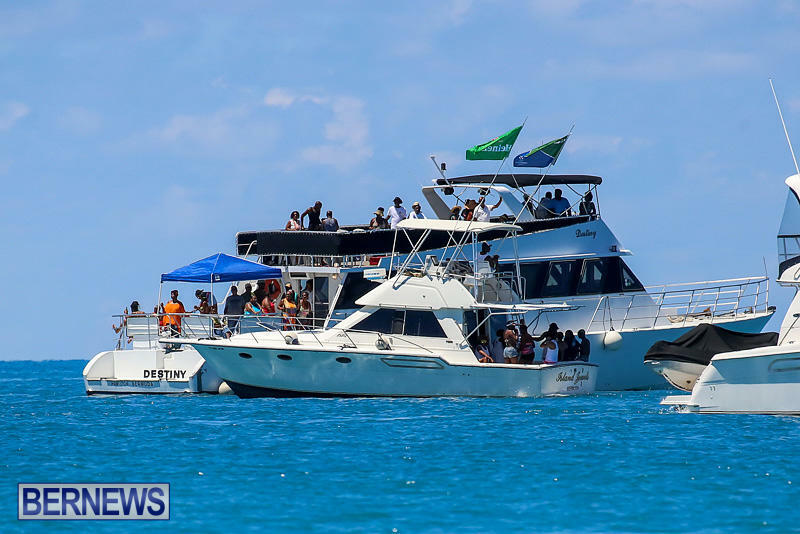 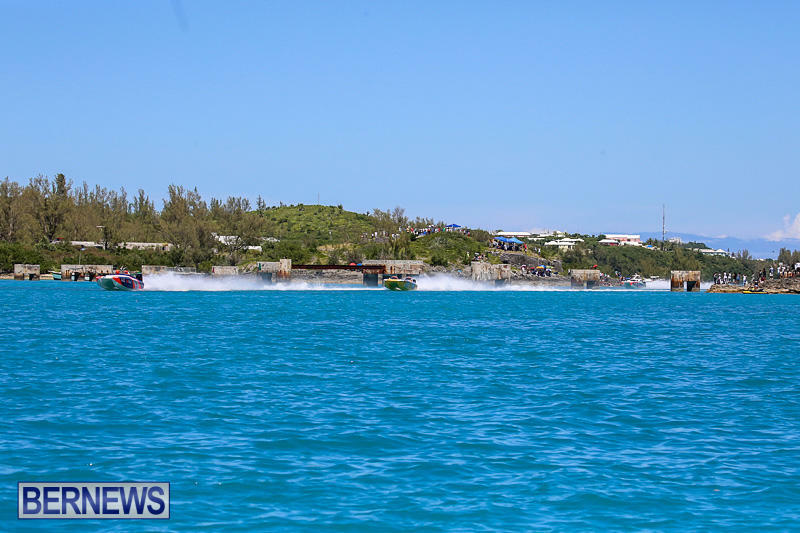 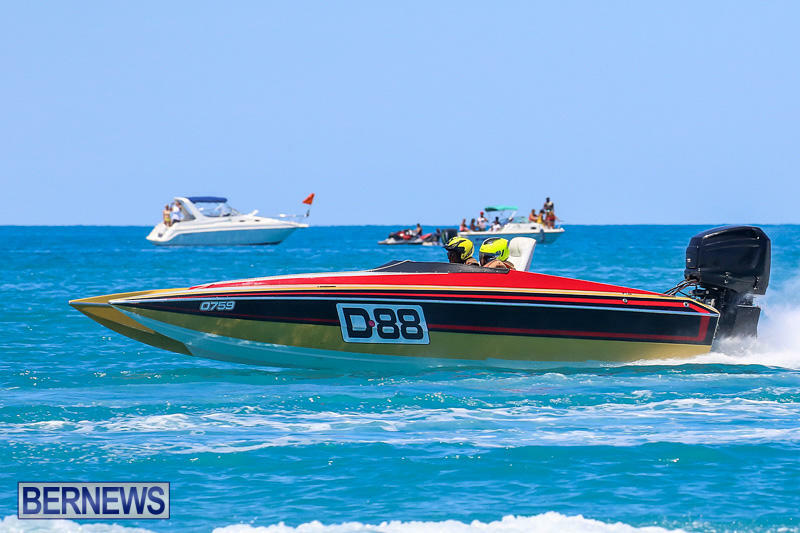 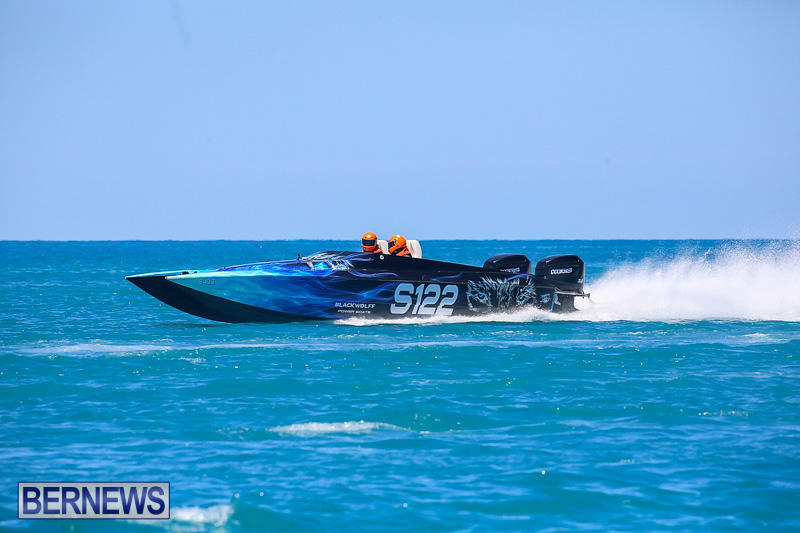 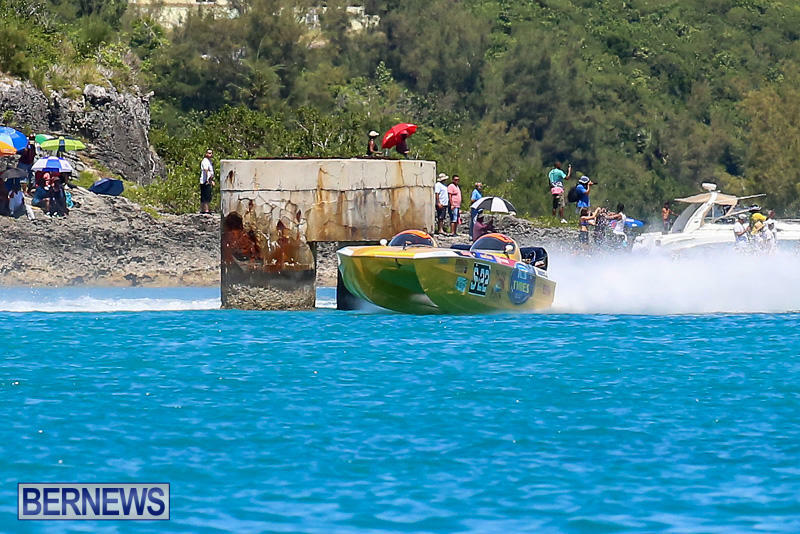 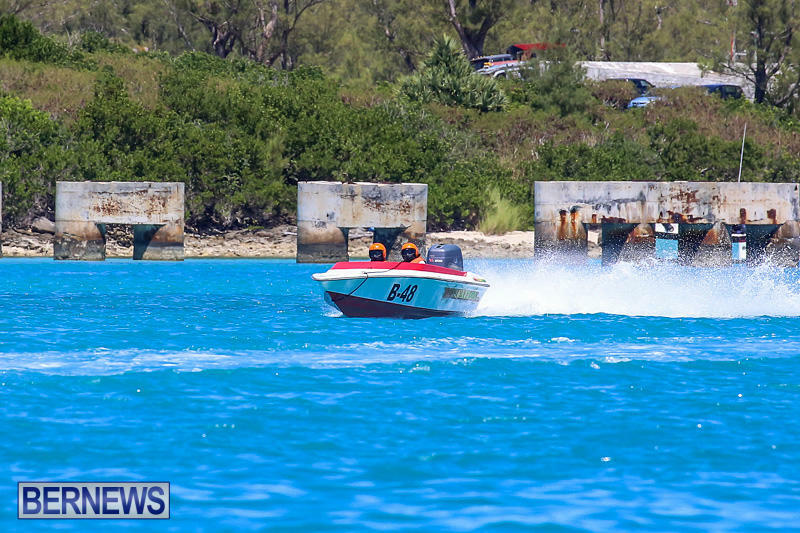 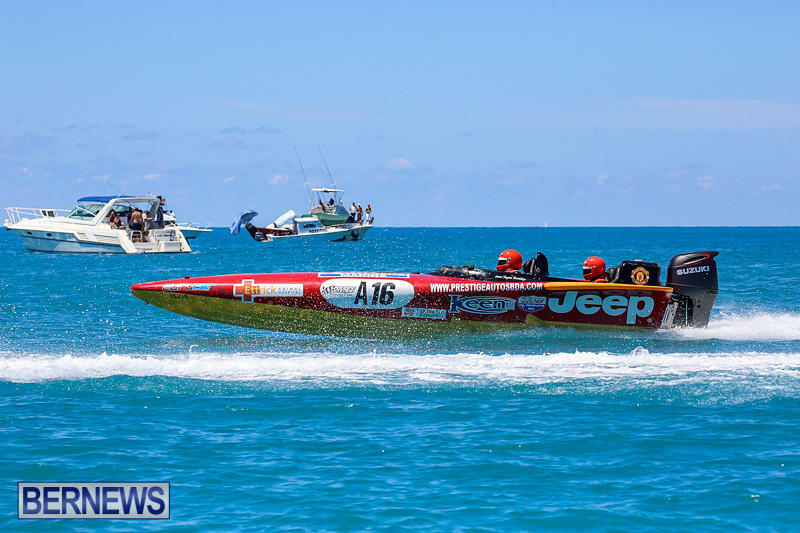 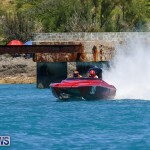 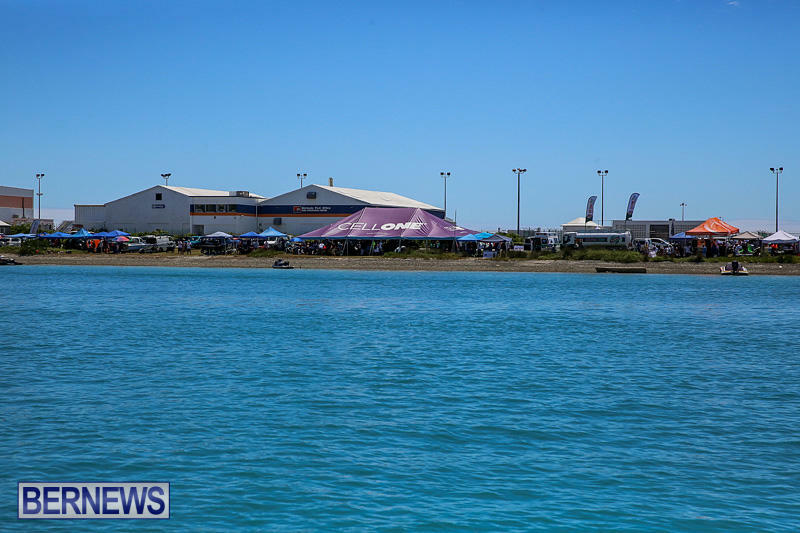 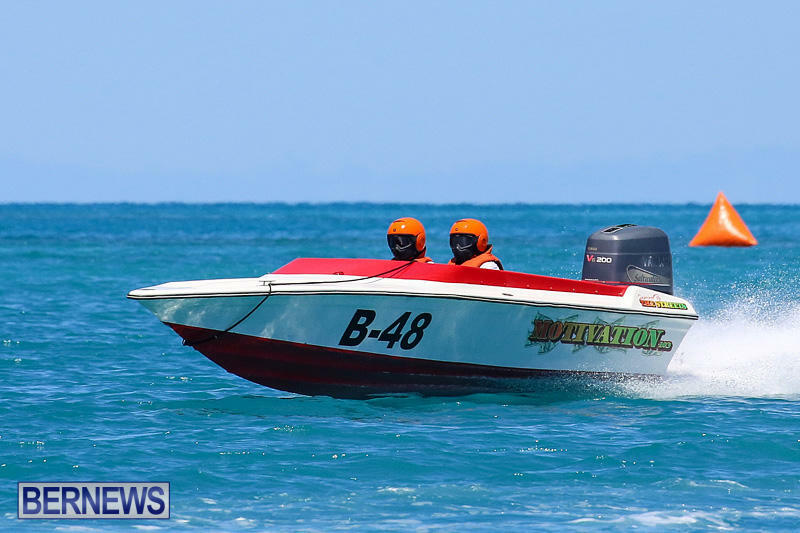 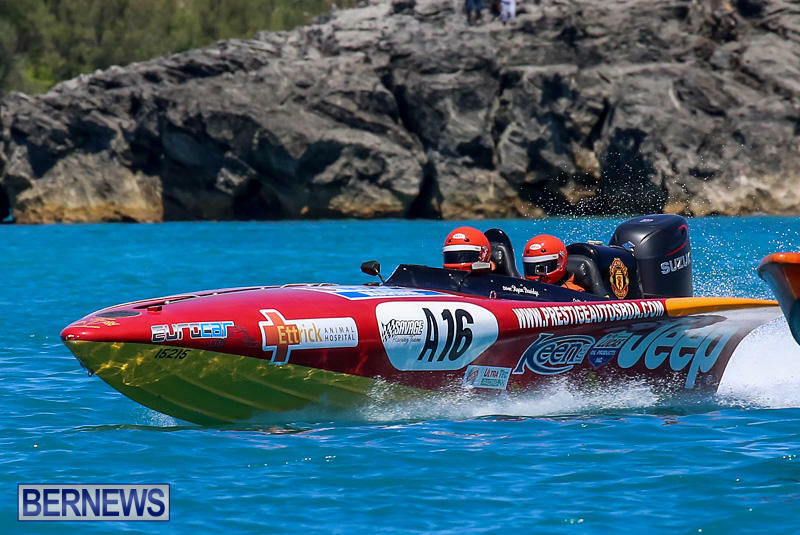 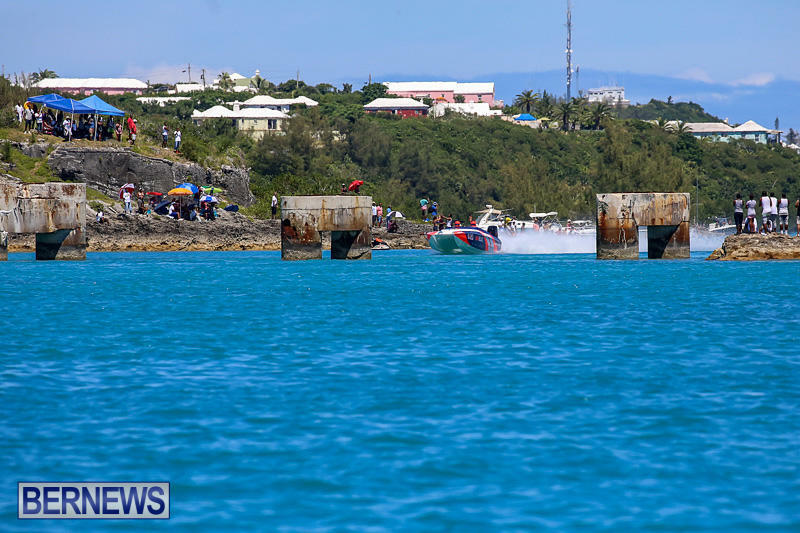 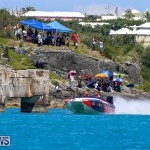 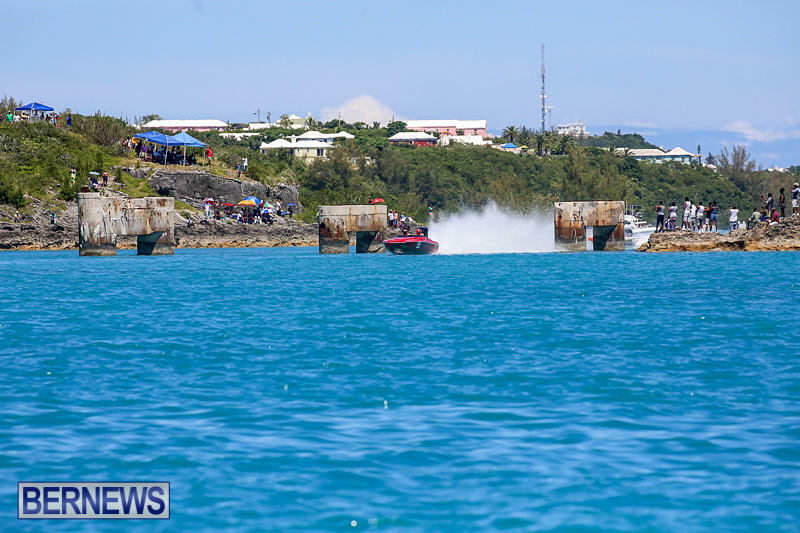 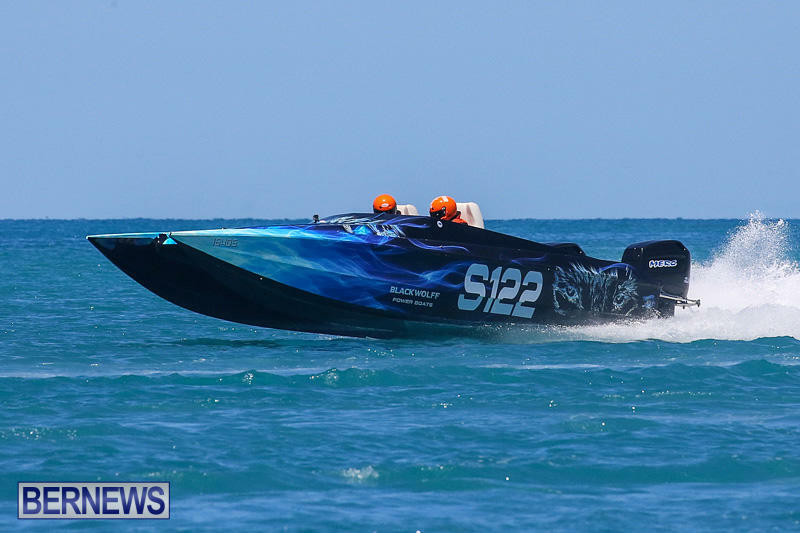 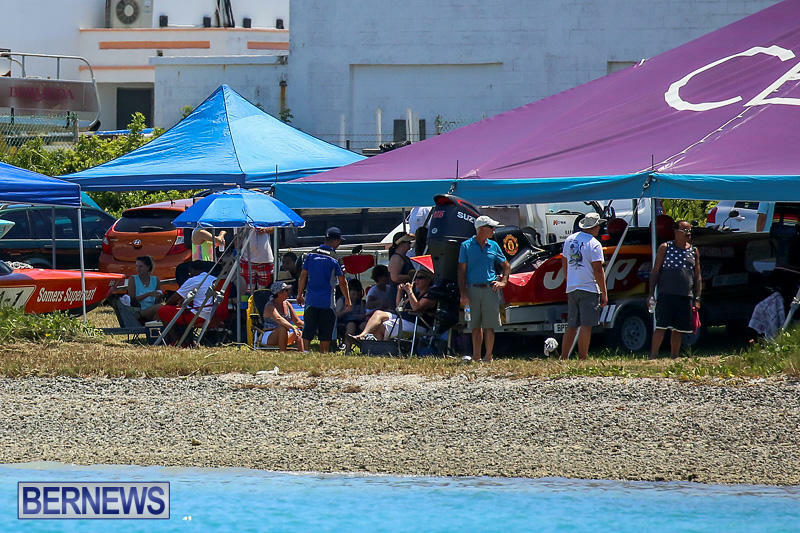 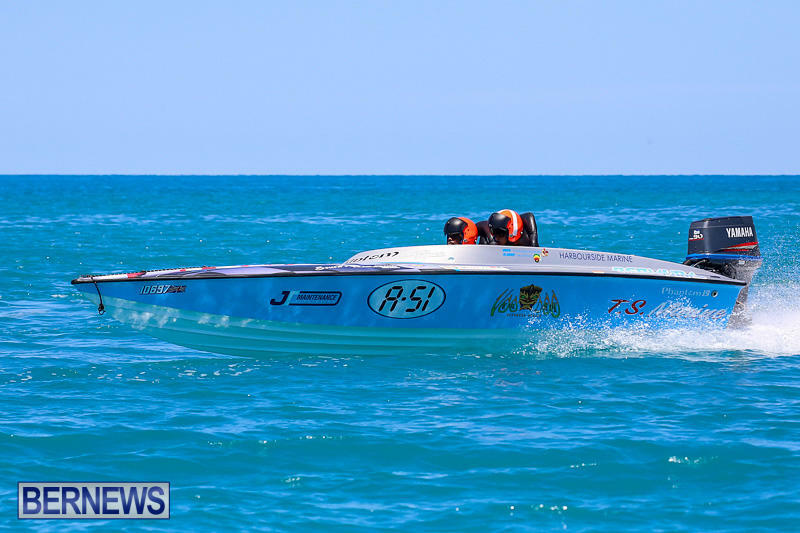 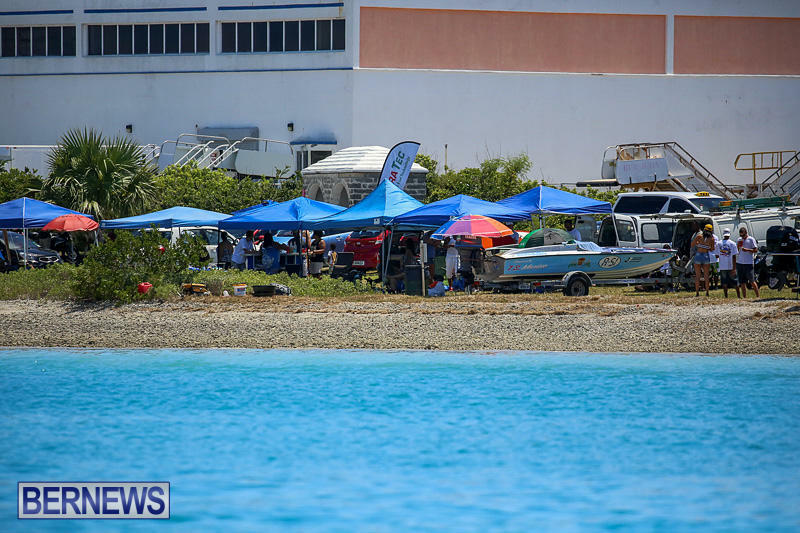 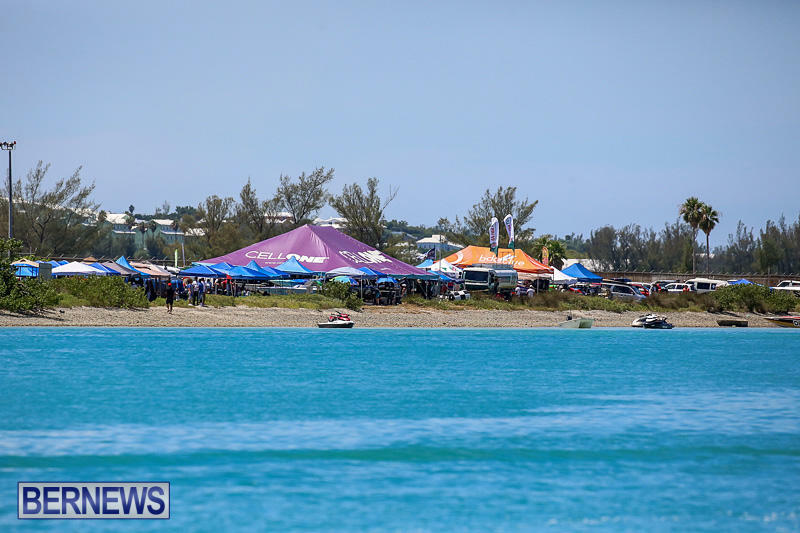 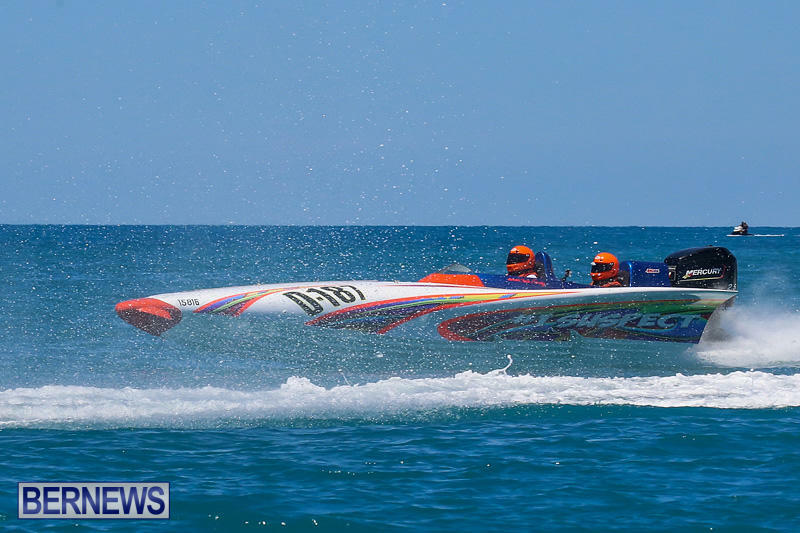 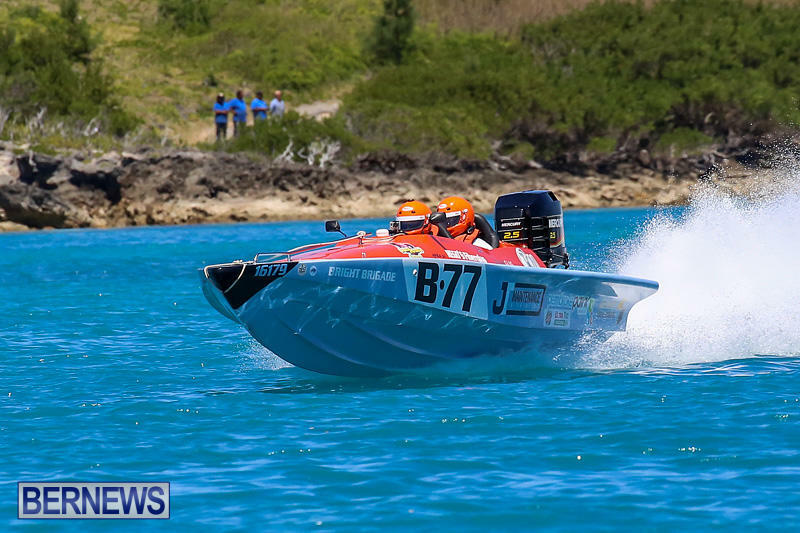 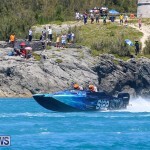 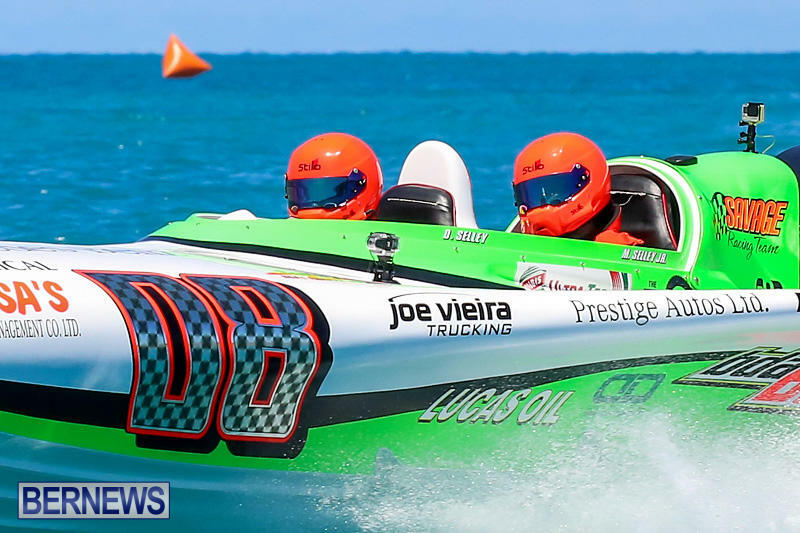 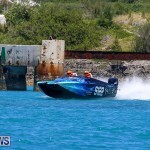 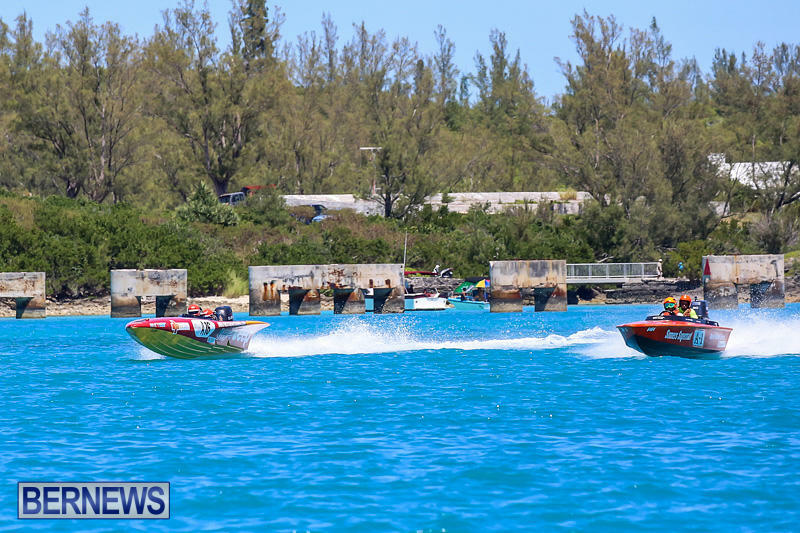 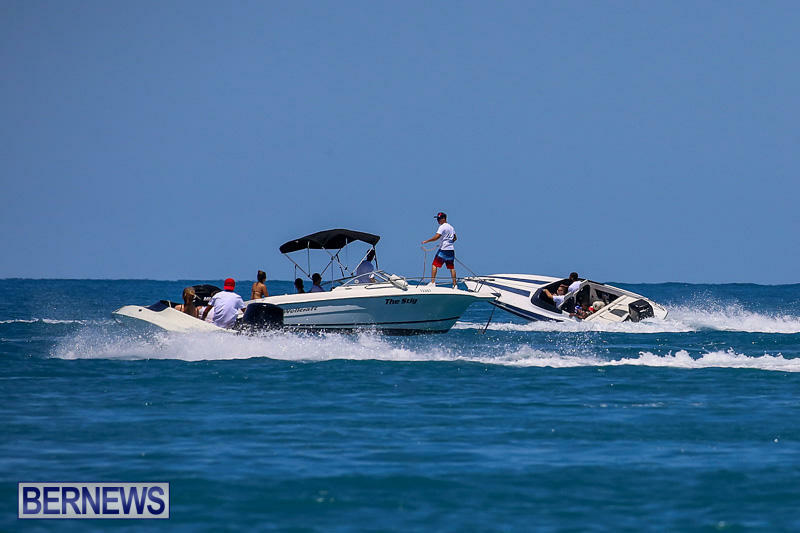 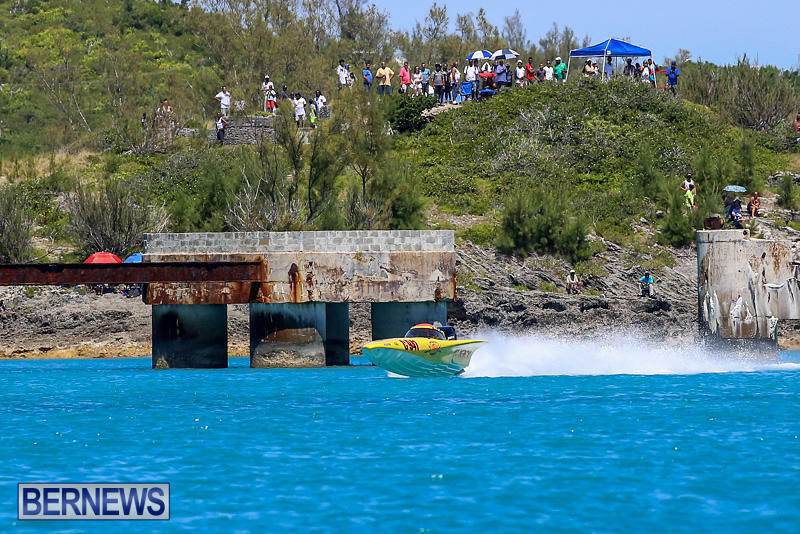 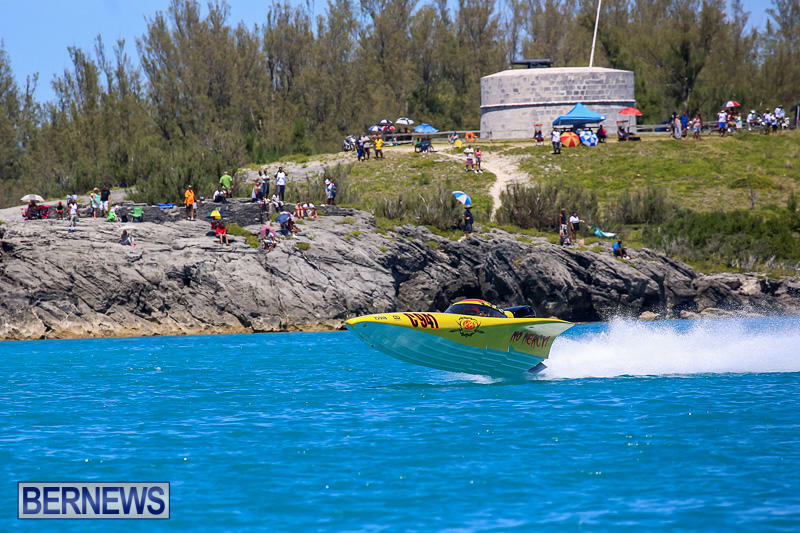 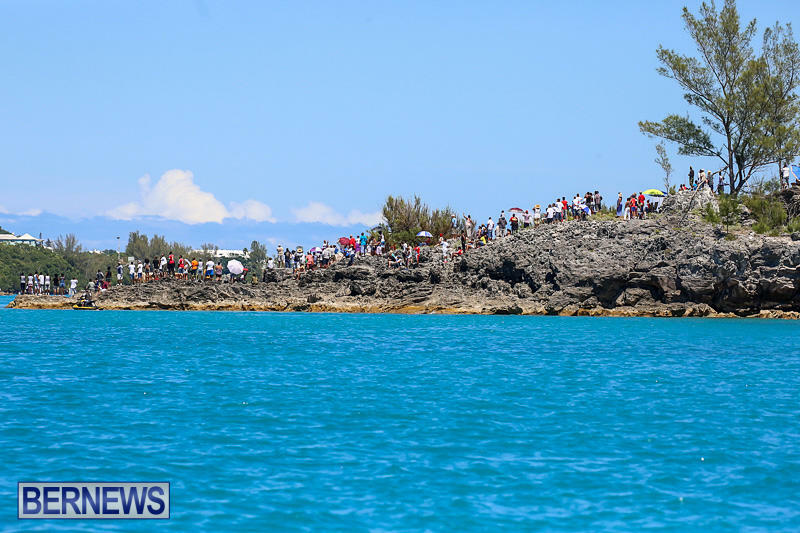 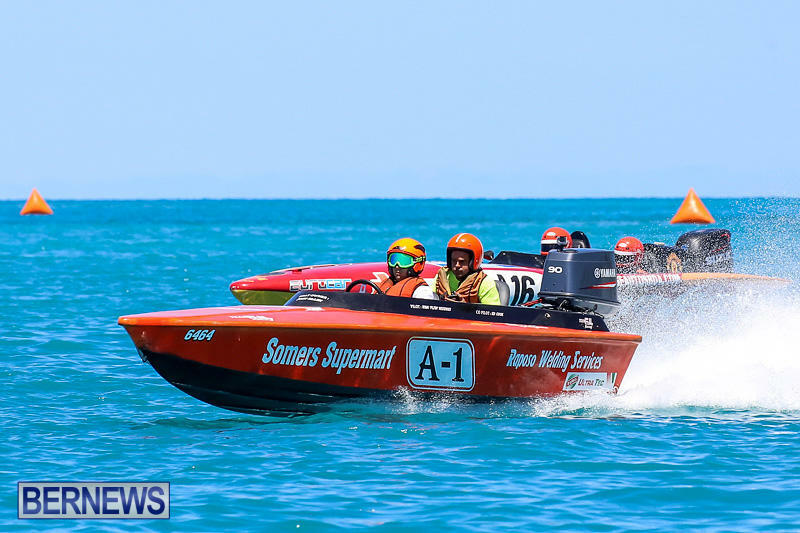 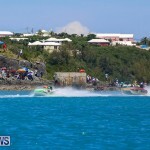 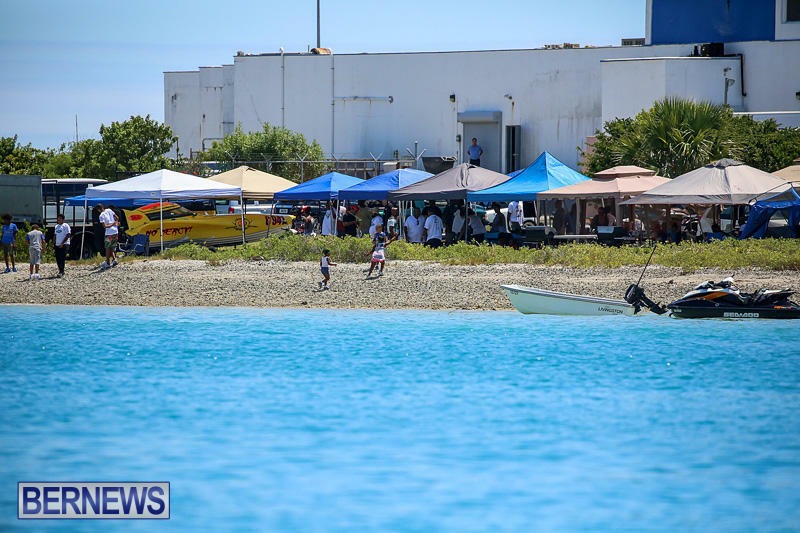 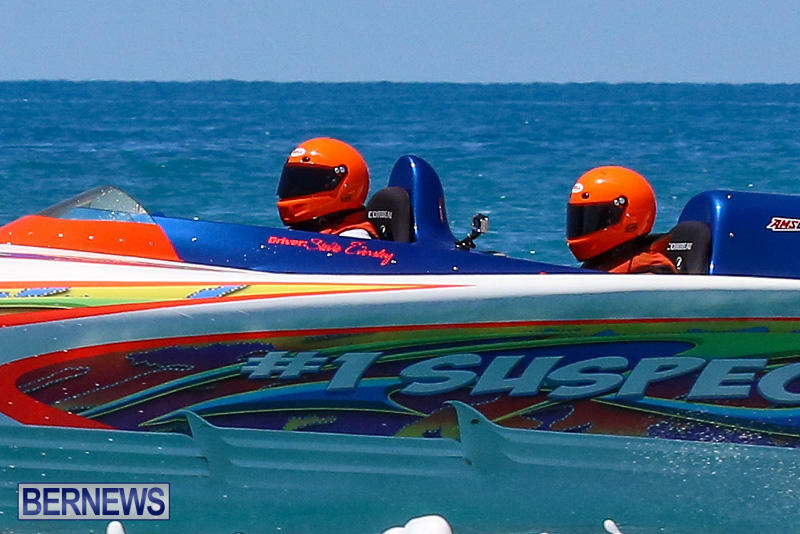 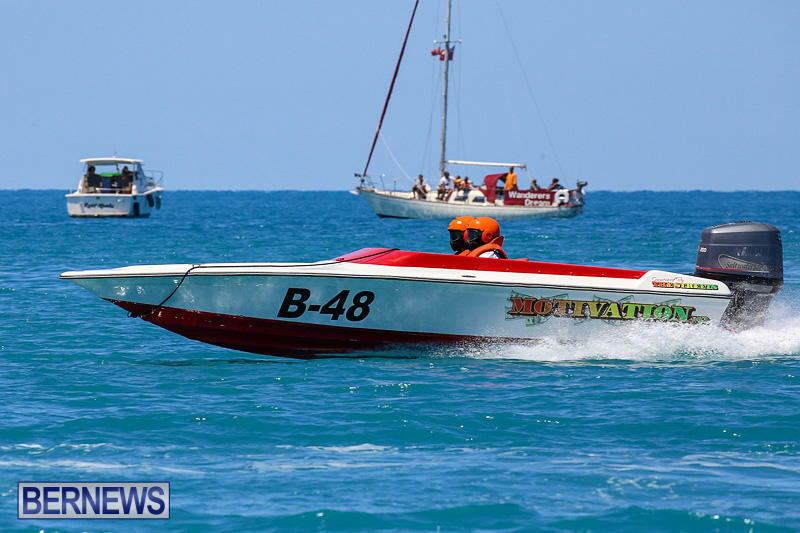 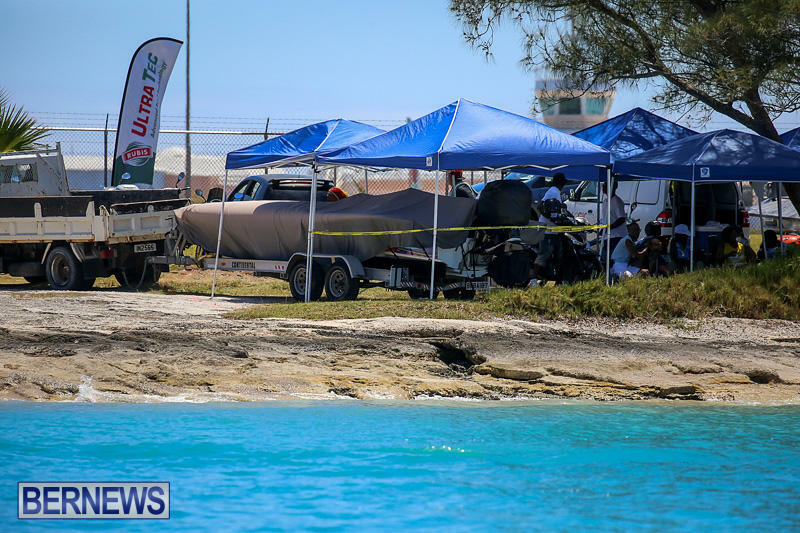 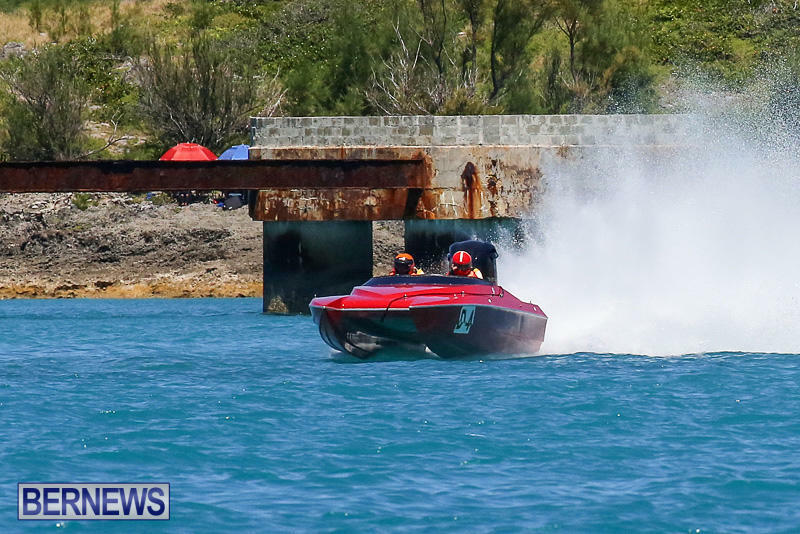 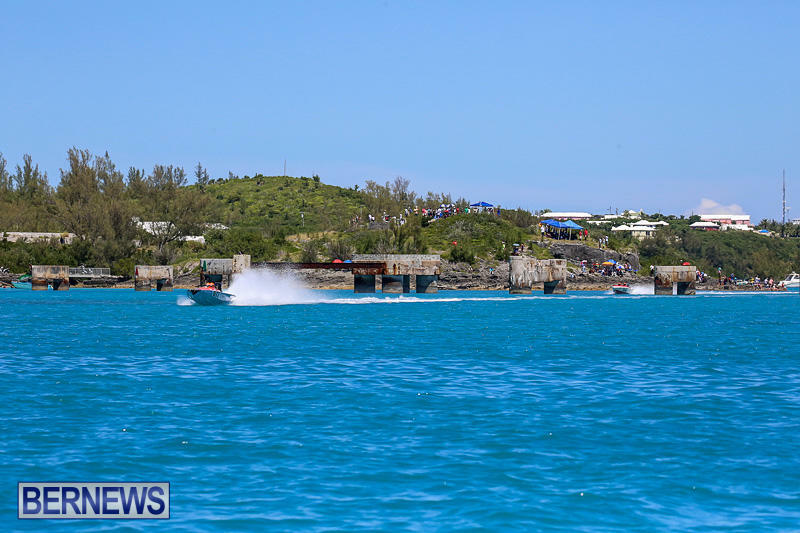 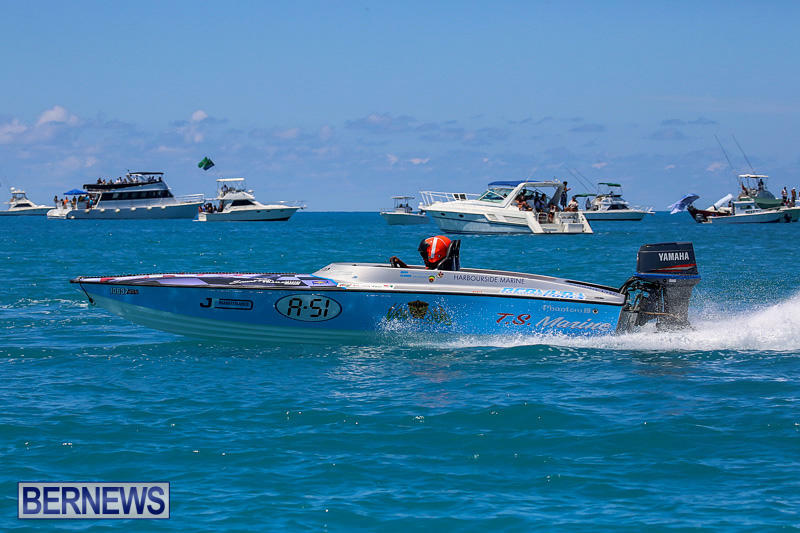 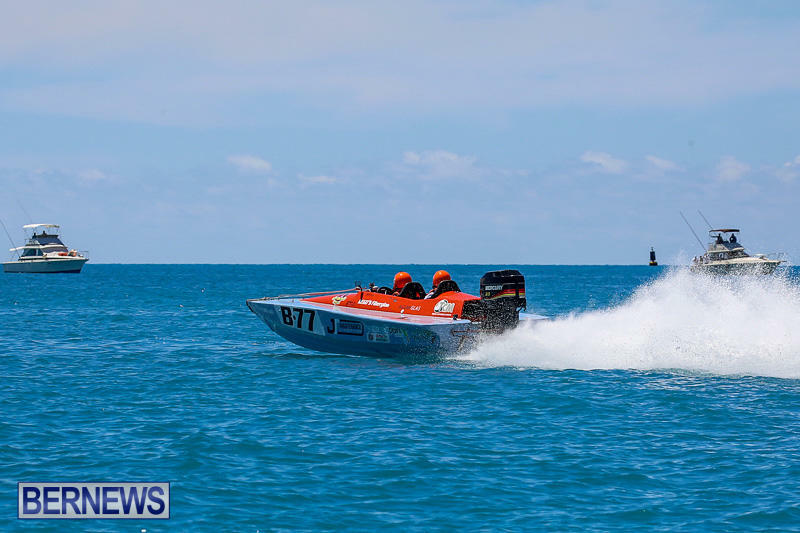 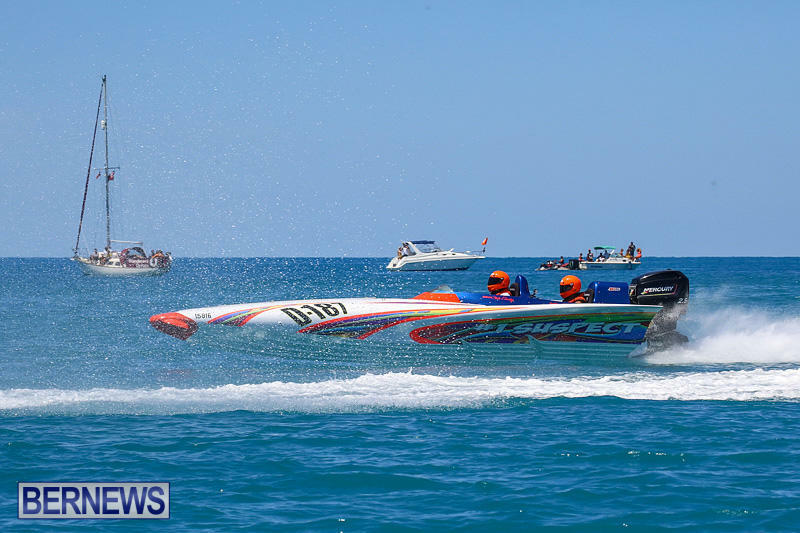 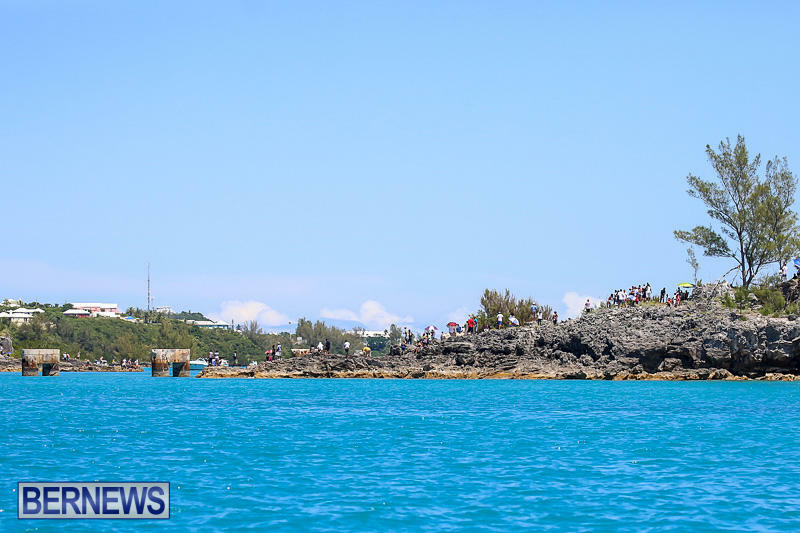 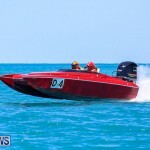 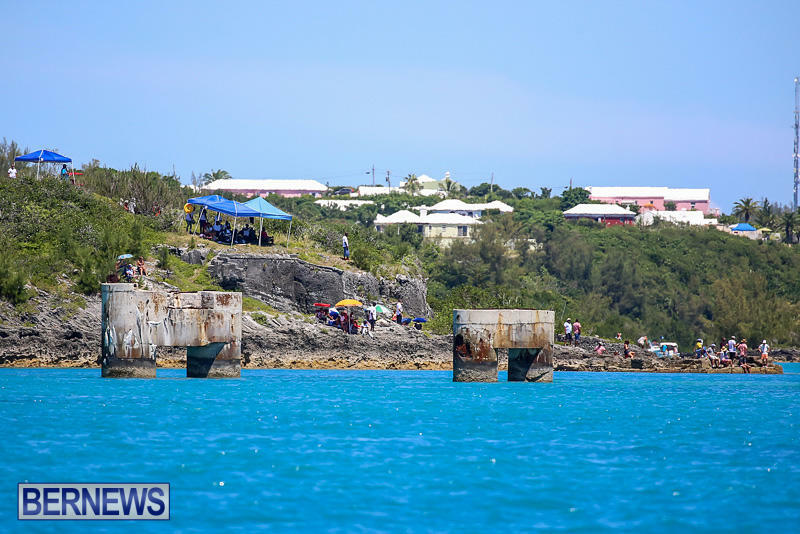 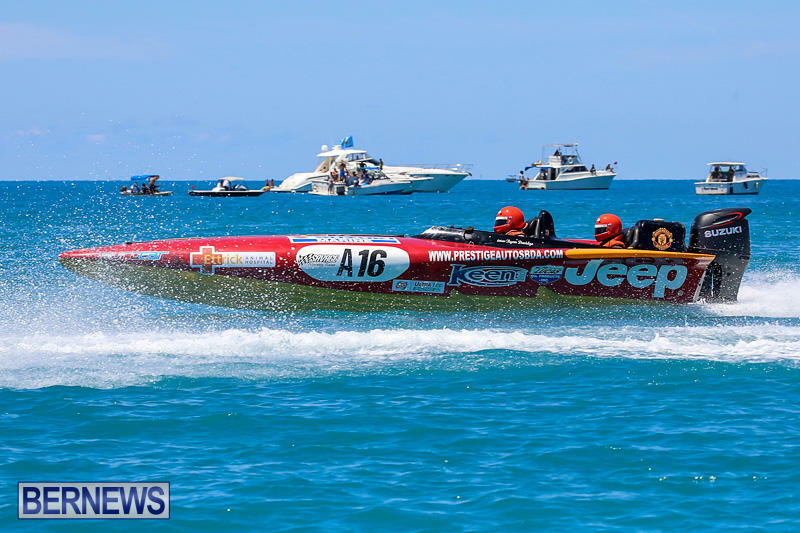 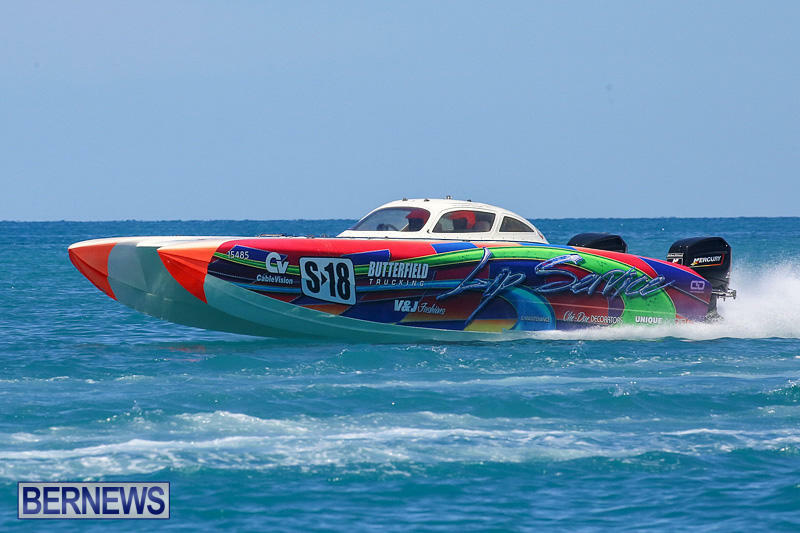 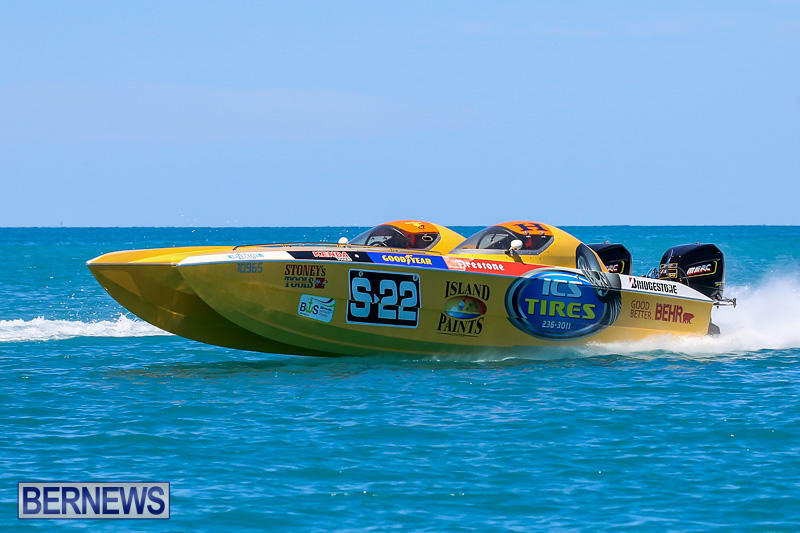 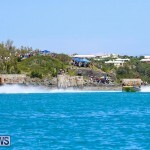 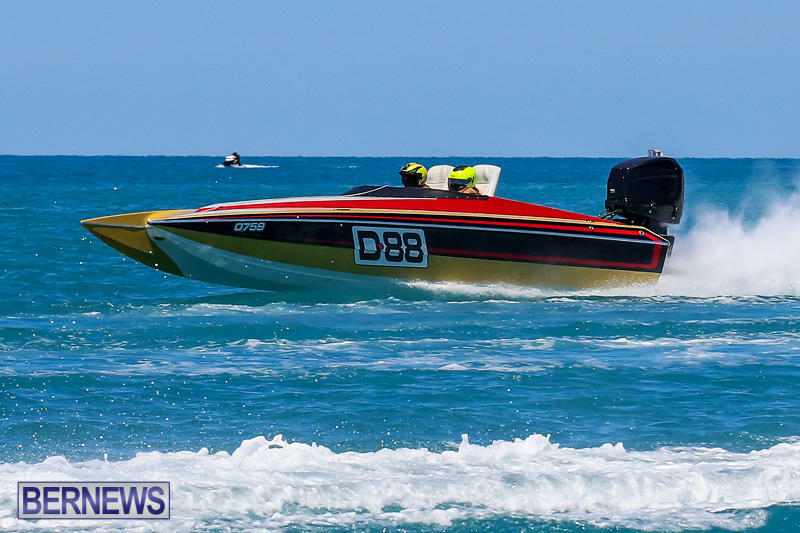 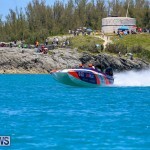 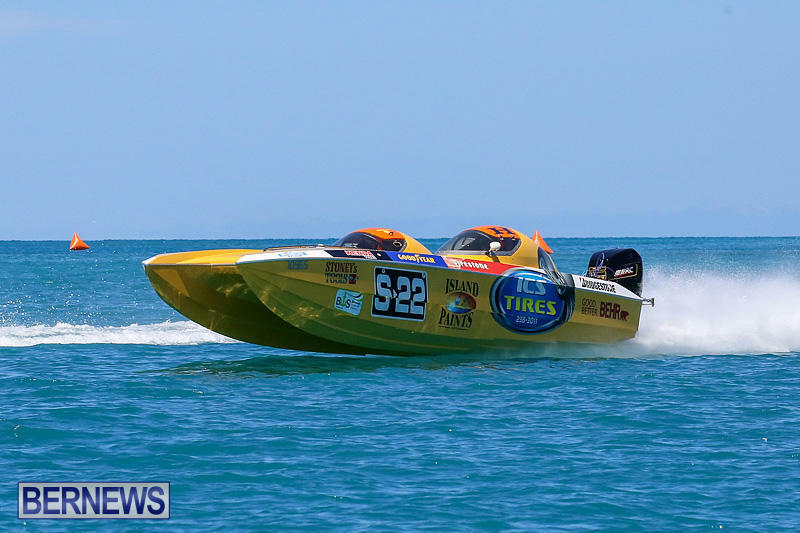 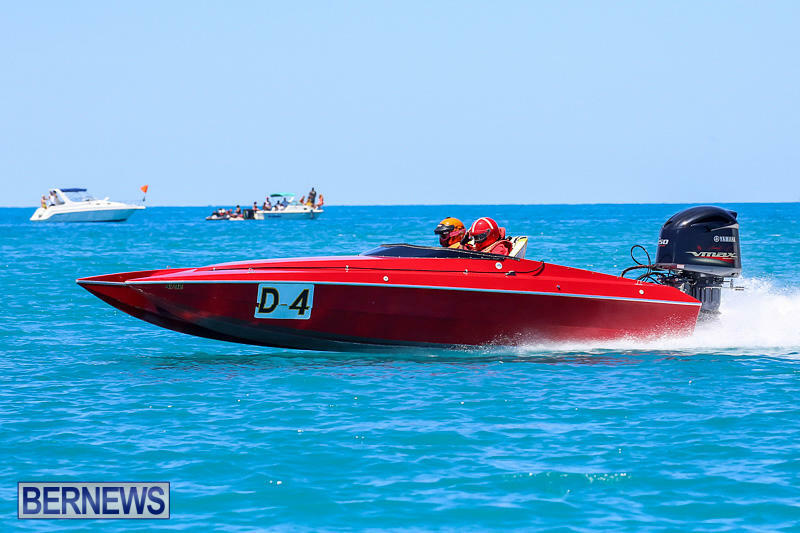 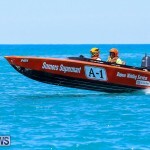 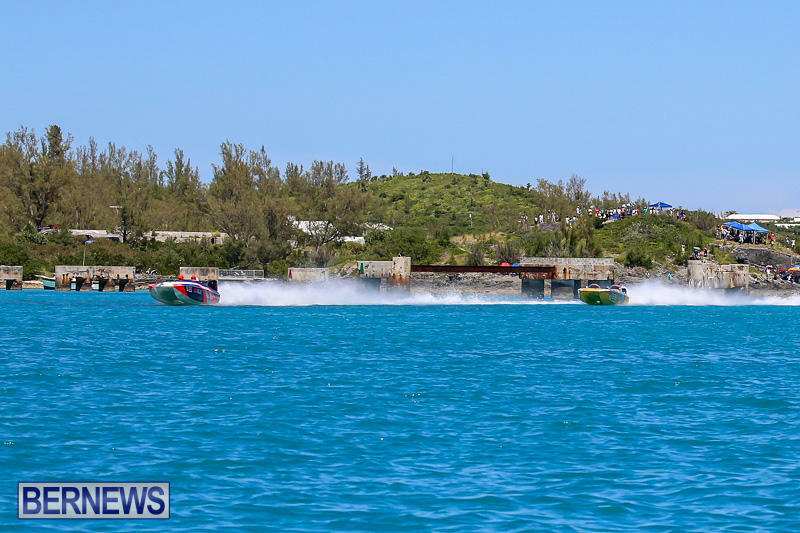 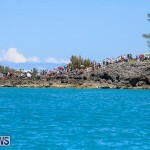 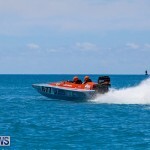 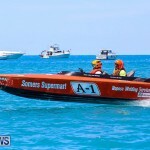 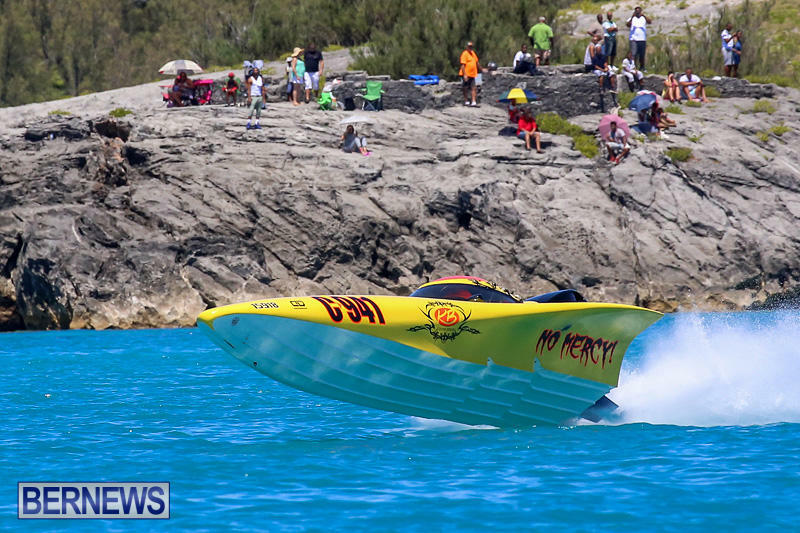 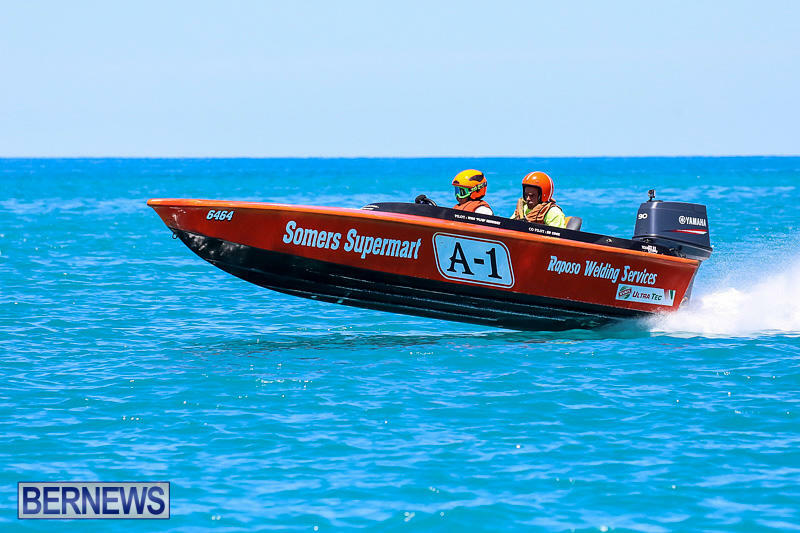 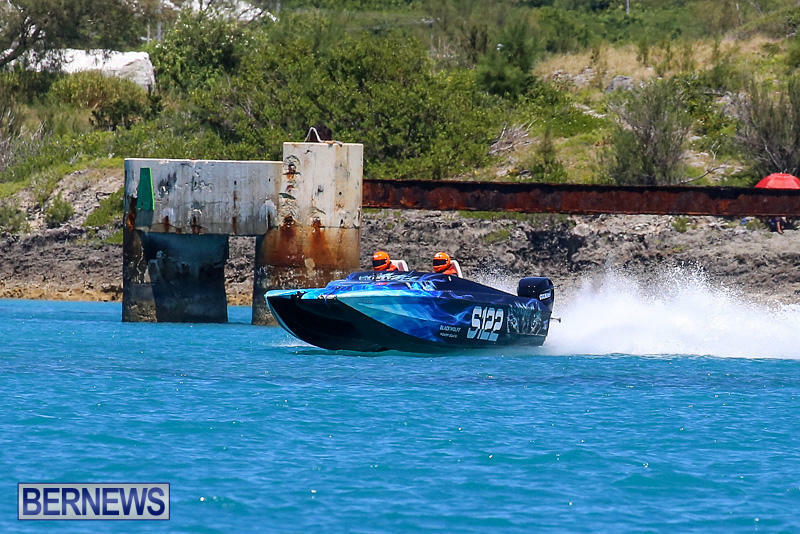 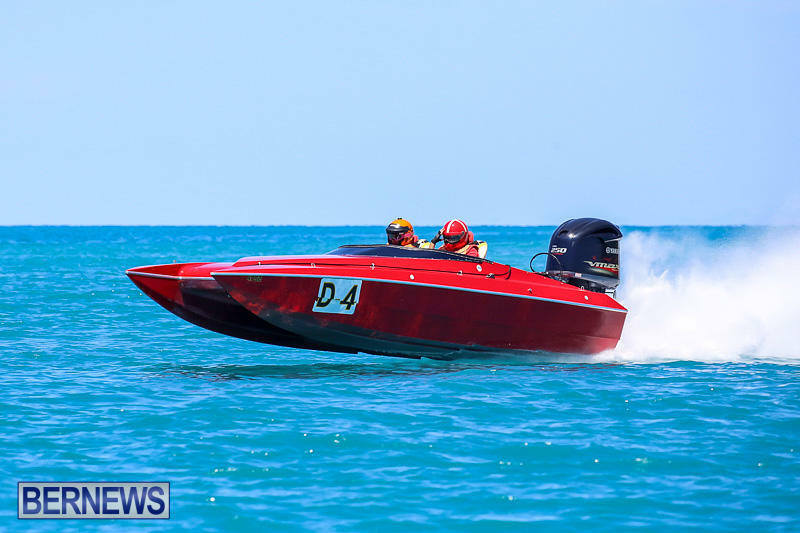 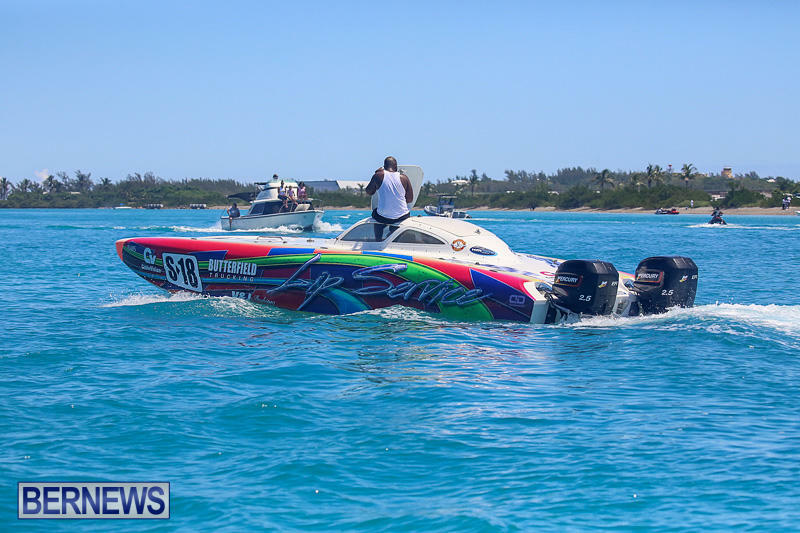 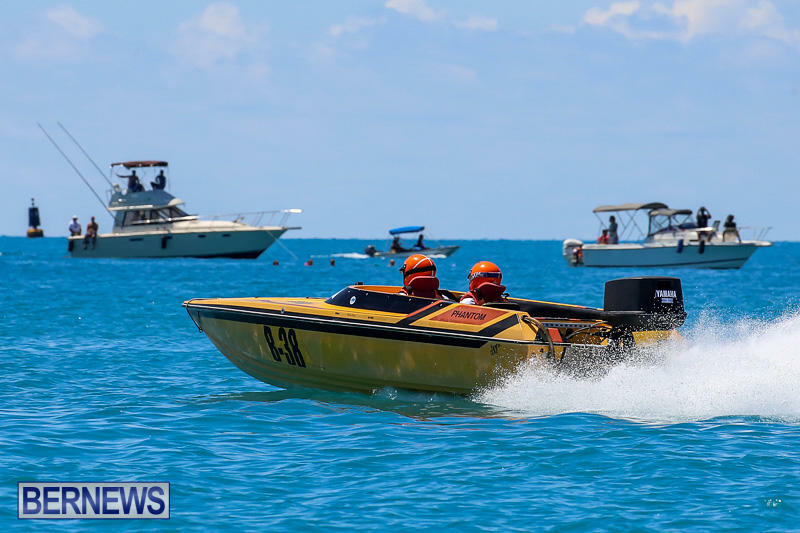 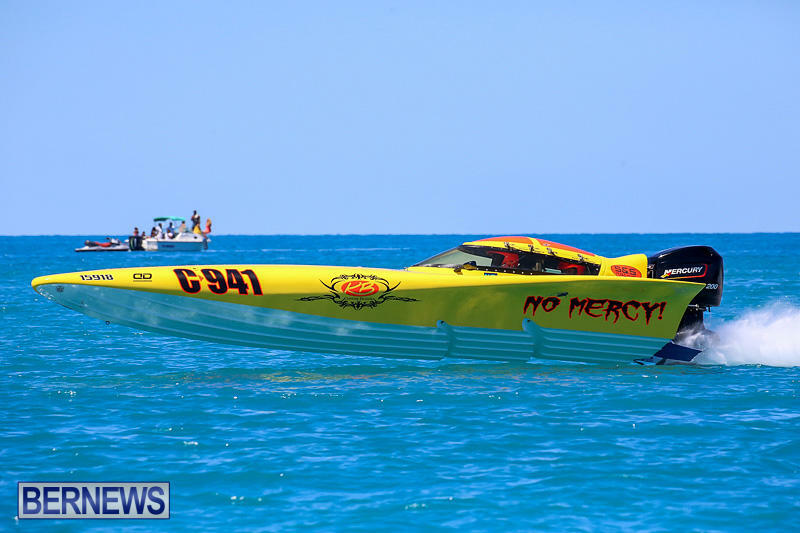 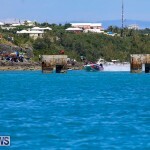 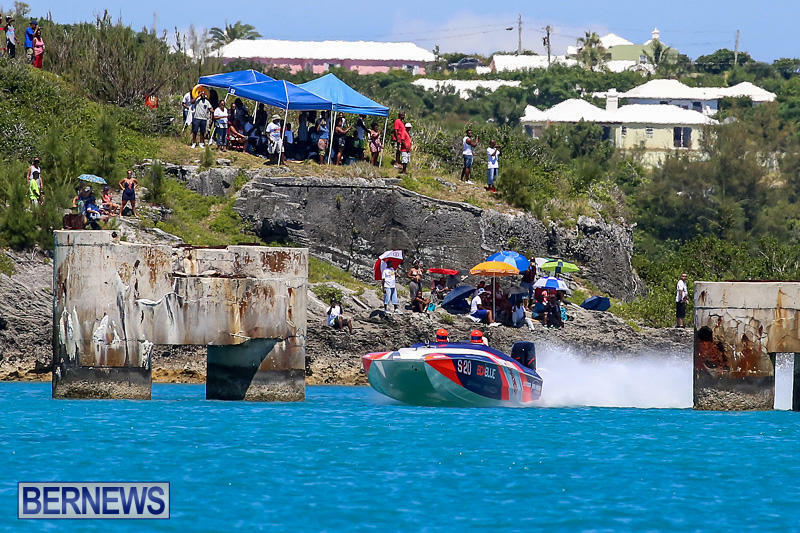 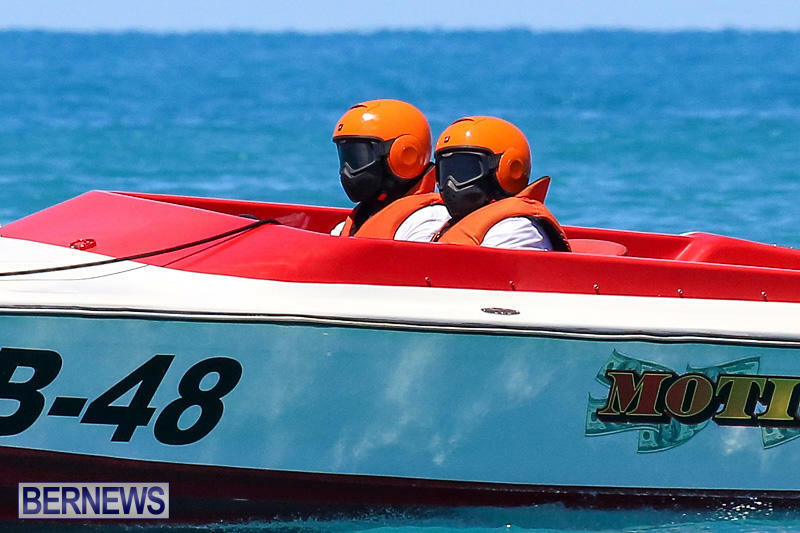 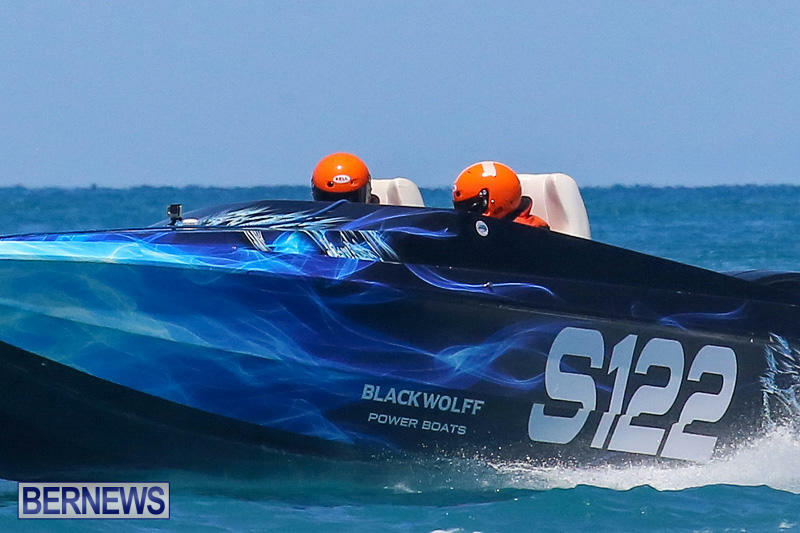 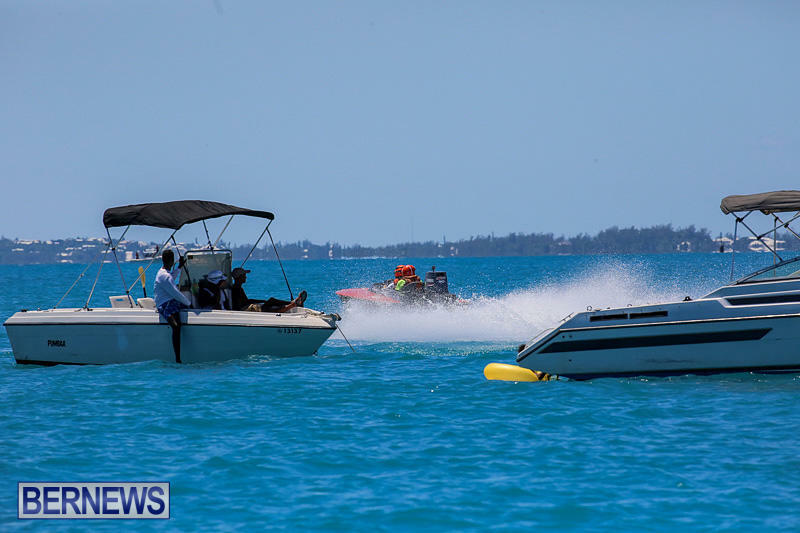 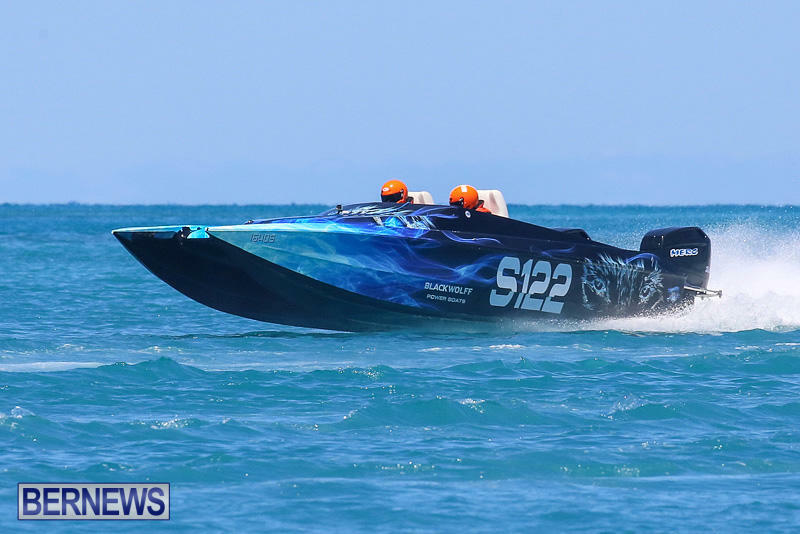 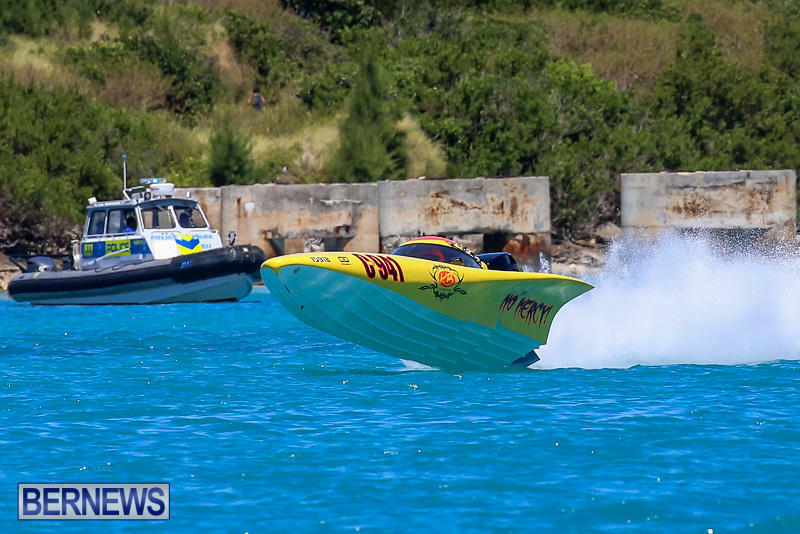 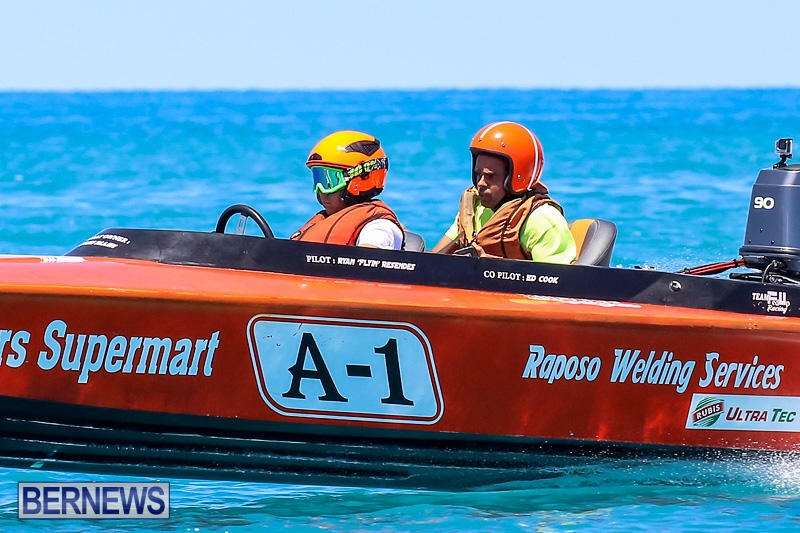 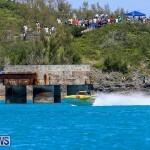 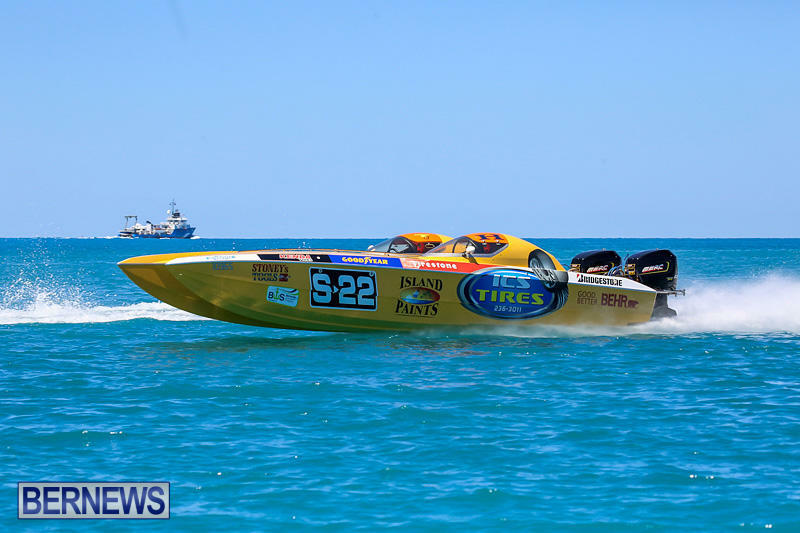 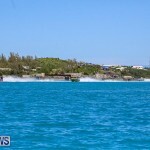 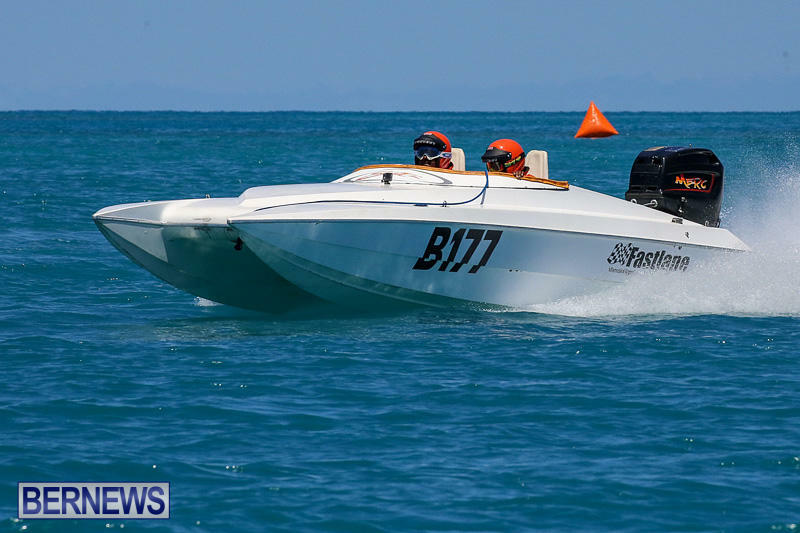 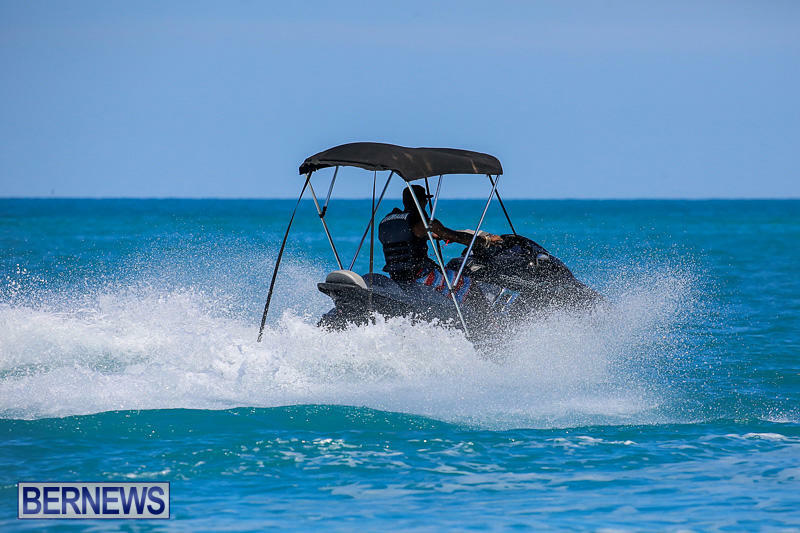 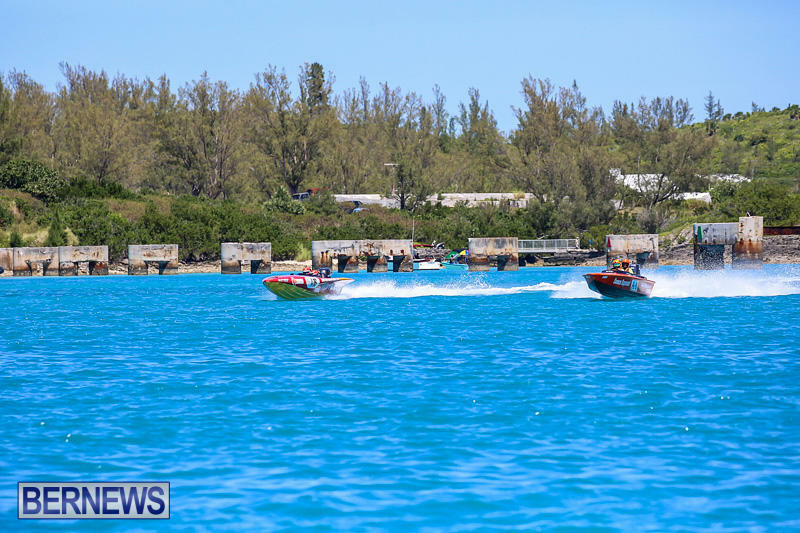 The 2016 Rubis Around the Island Power Boat Race was held this afternoon [August 14] with racing getting underway at 2.00pm from Ferry Reach. 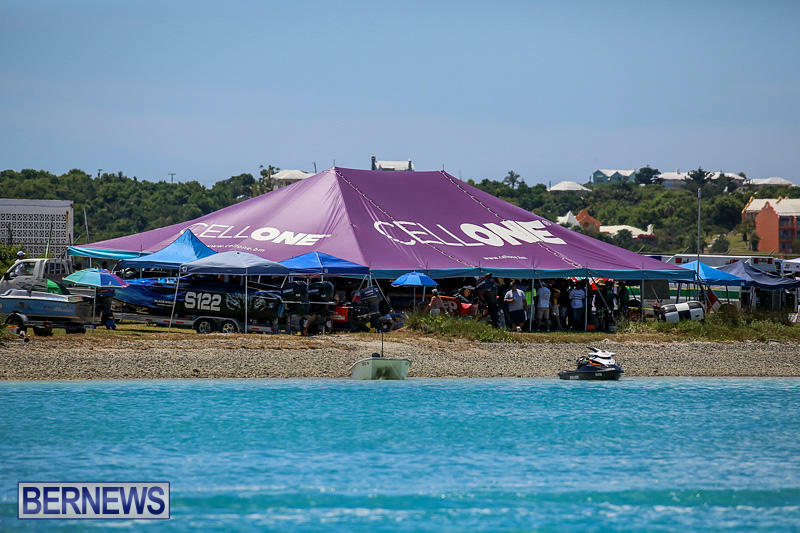 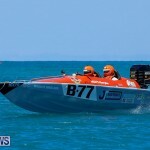 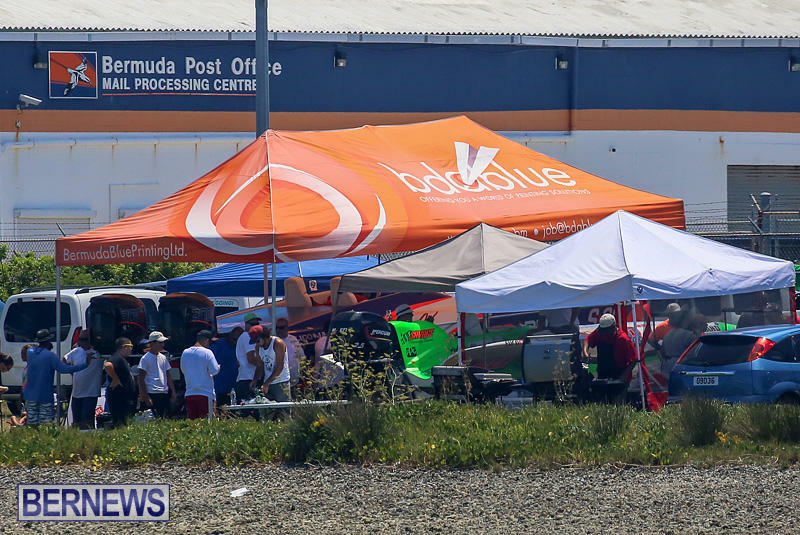 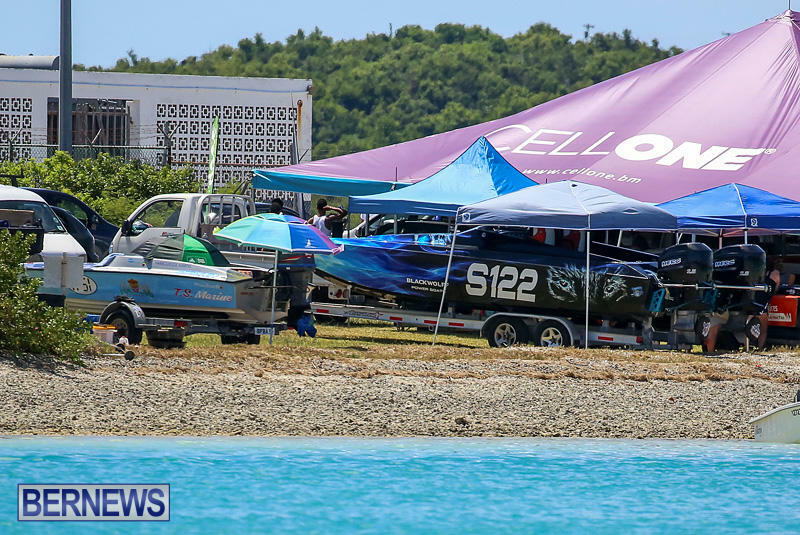 In the lead up to race-day, eighteen boats had signed up to participate and today, eighteen boats took to the start line in their respective classes, under clear skies. 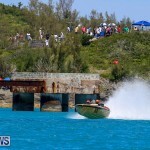 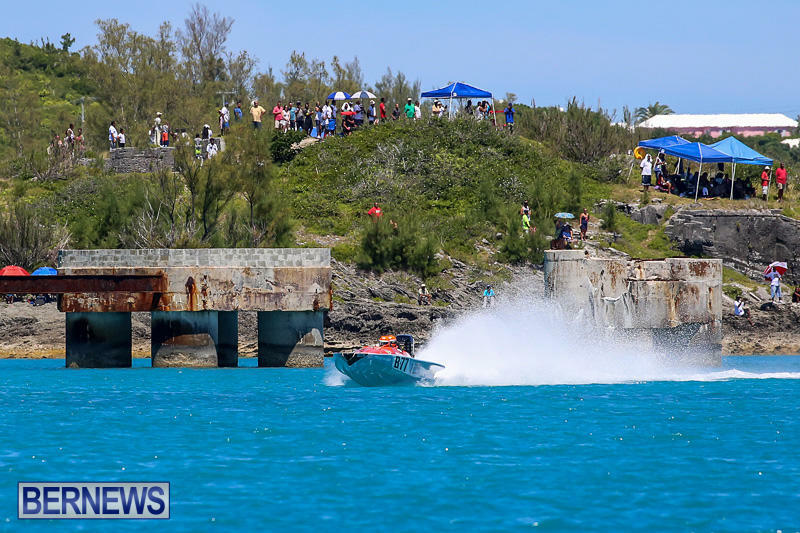 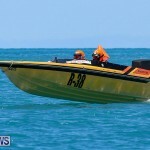 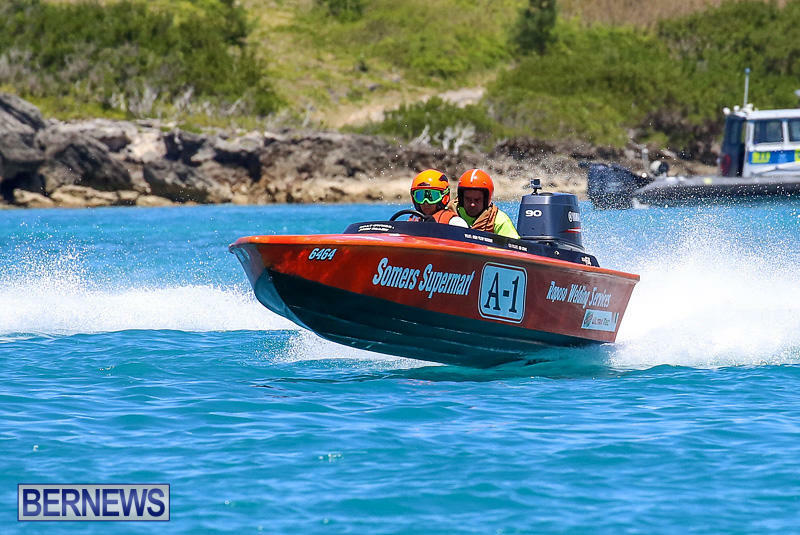 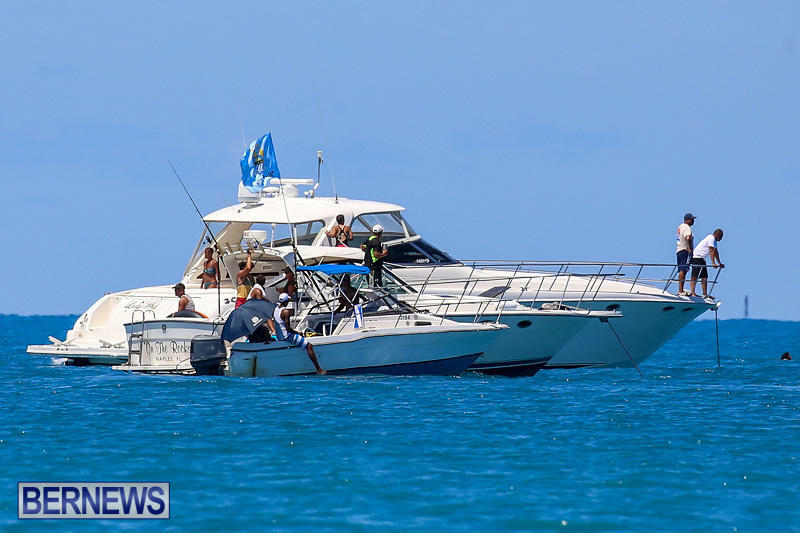 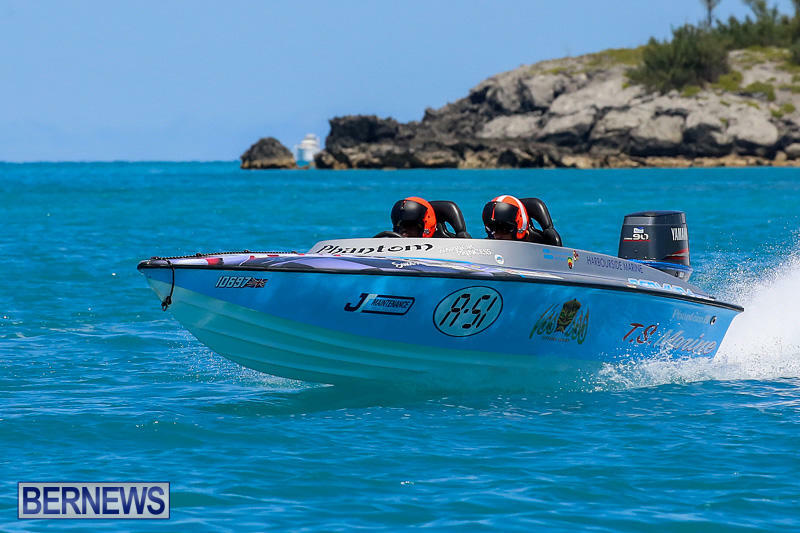 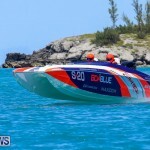 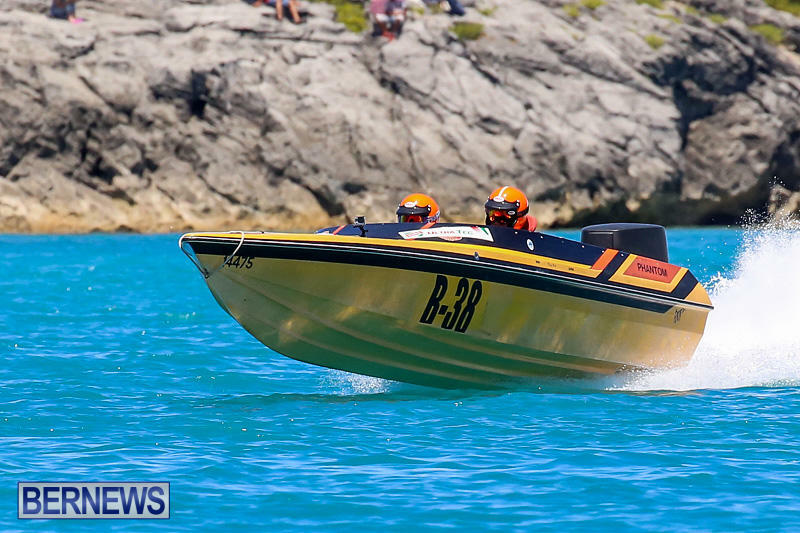 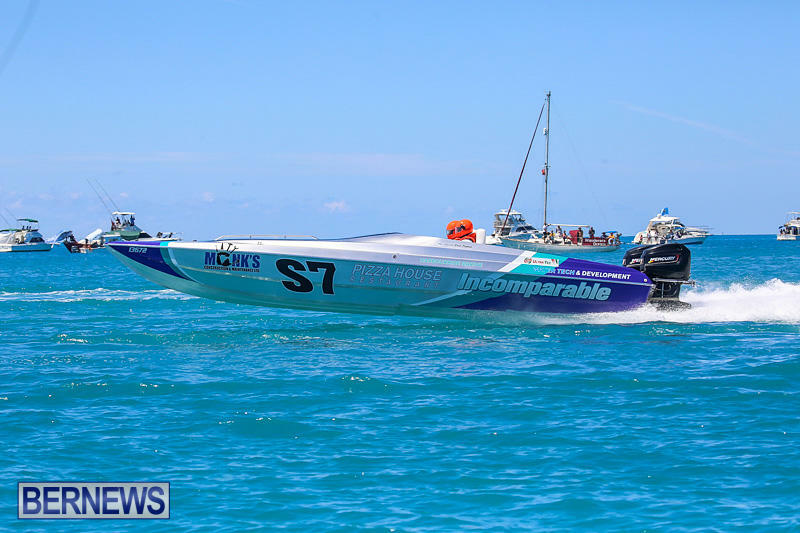 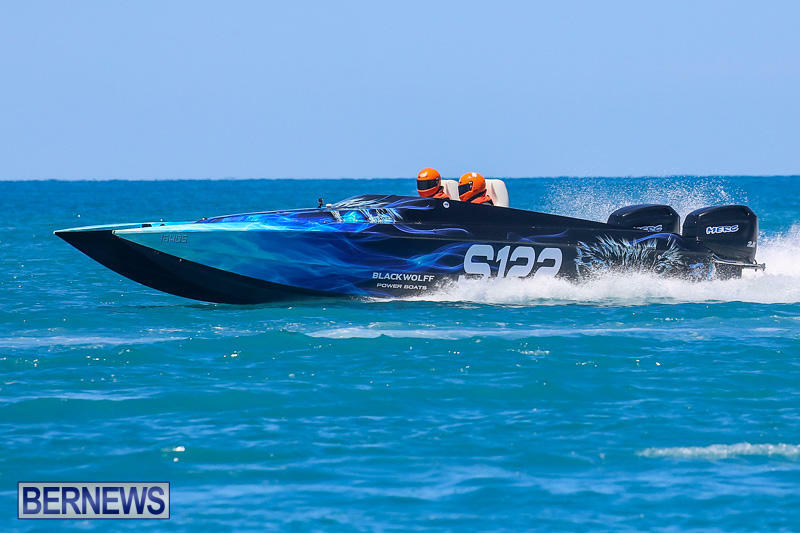 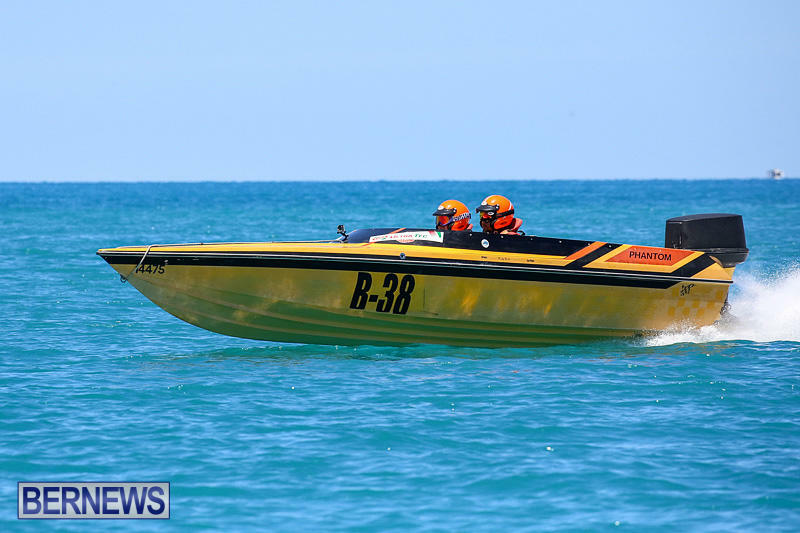 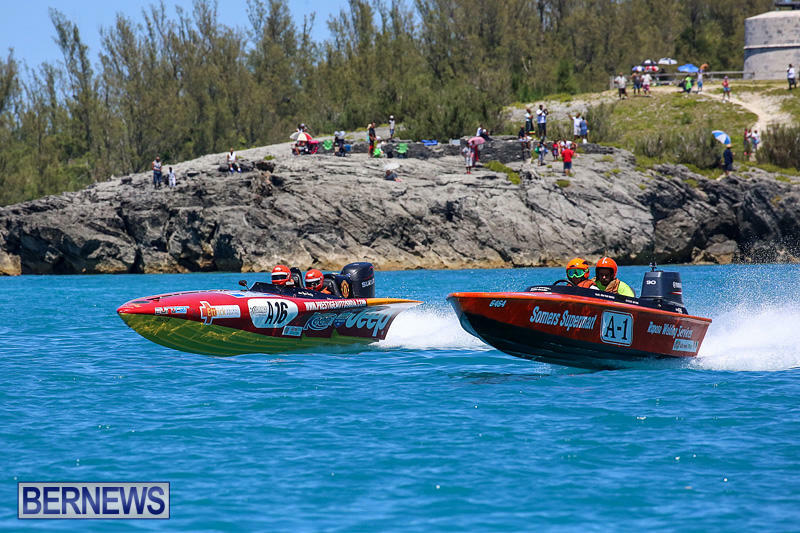 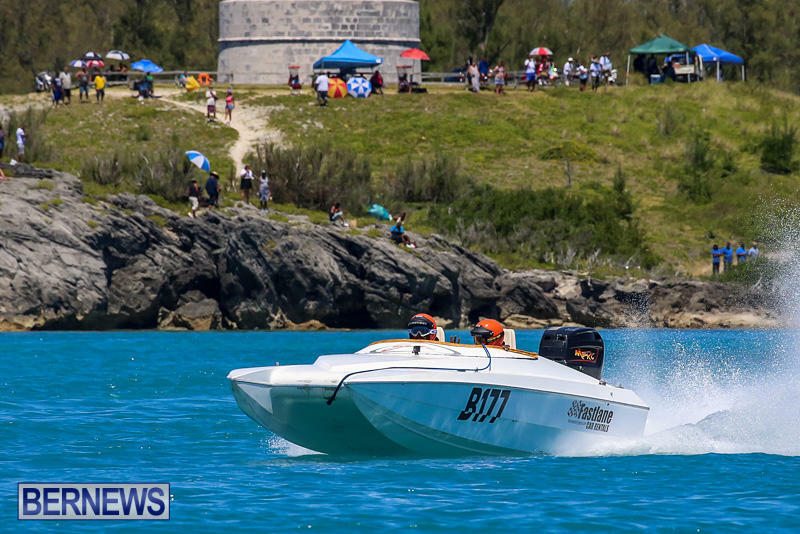 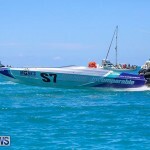 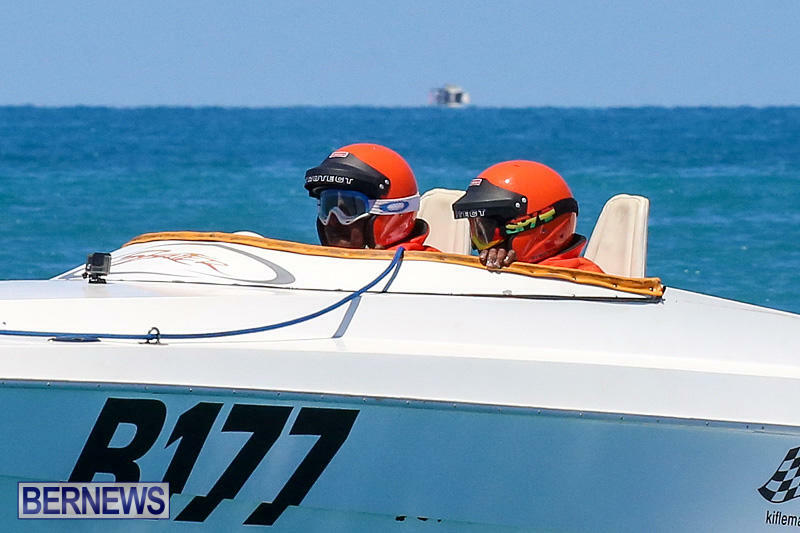 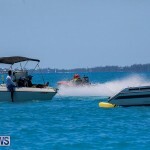 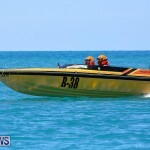 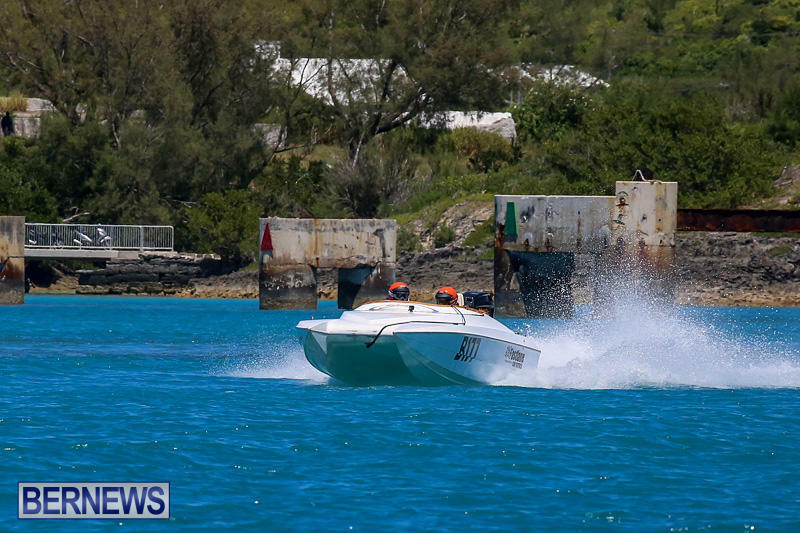 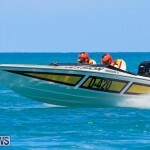 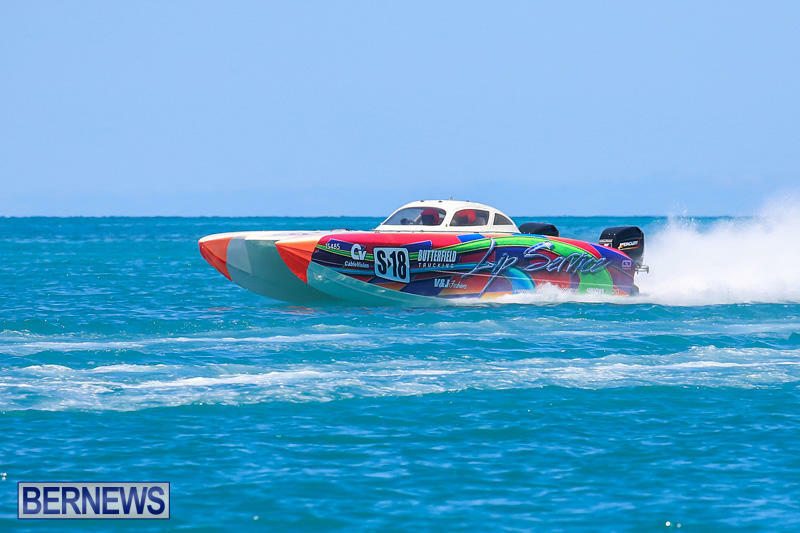 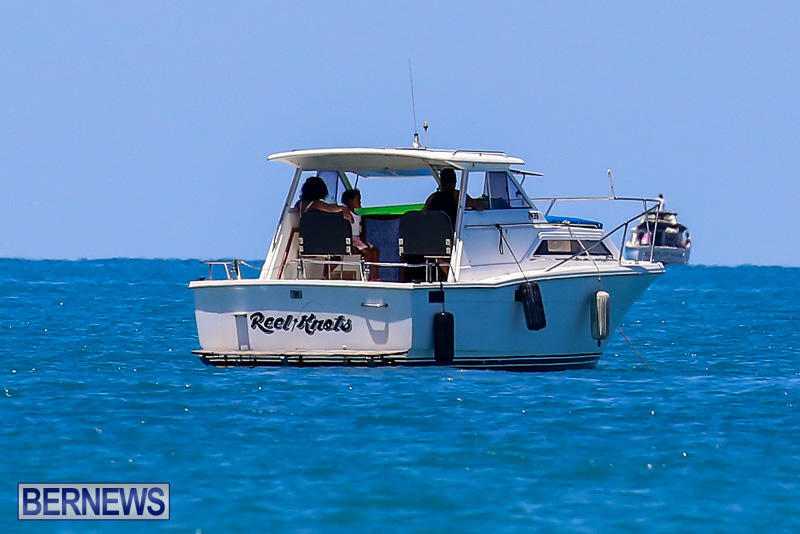 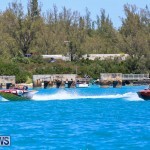 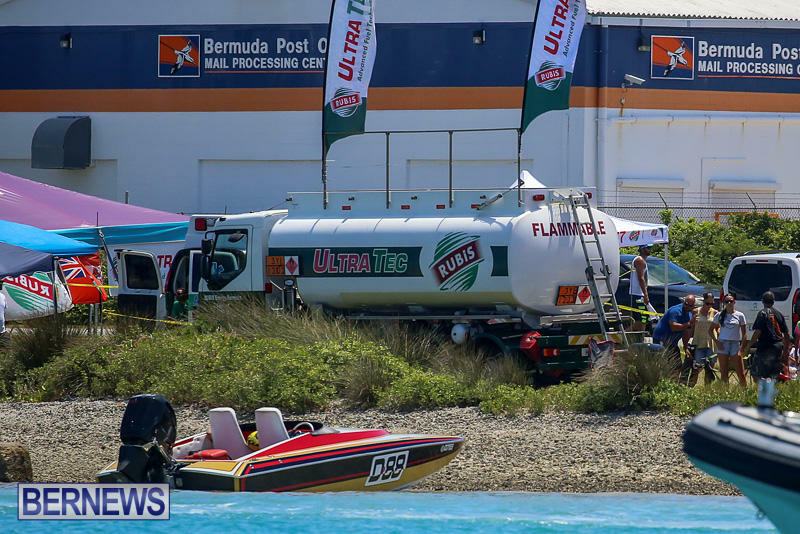 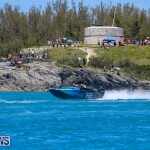 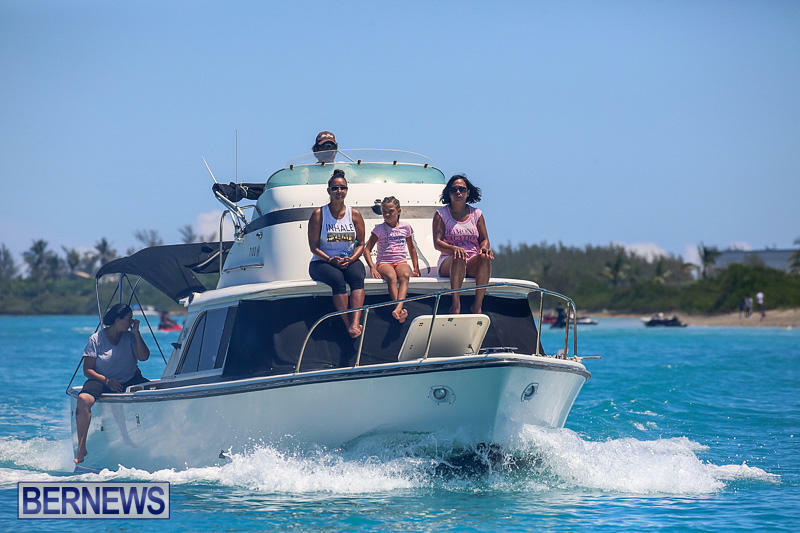 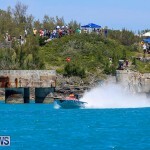 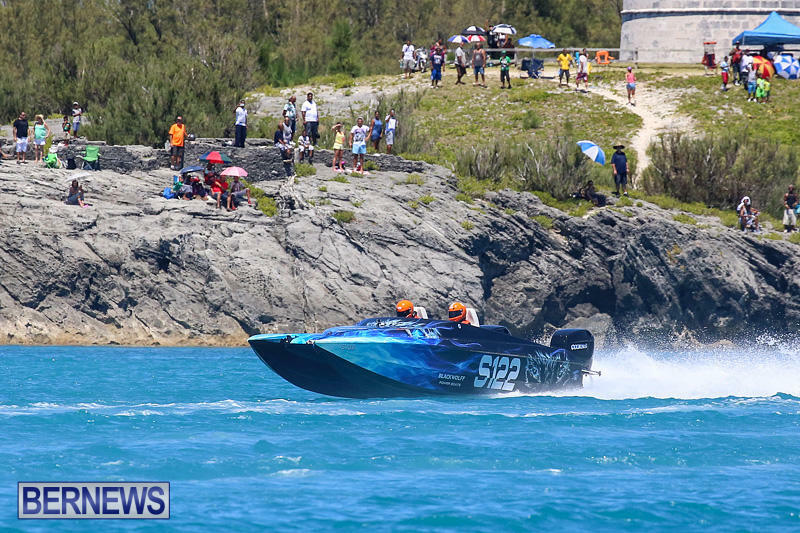 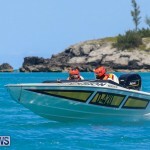 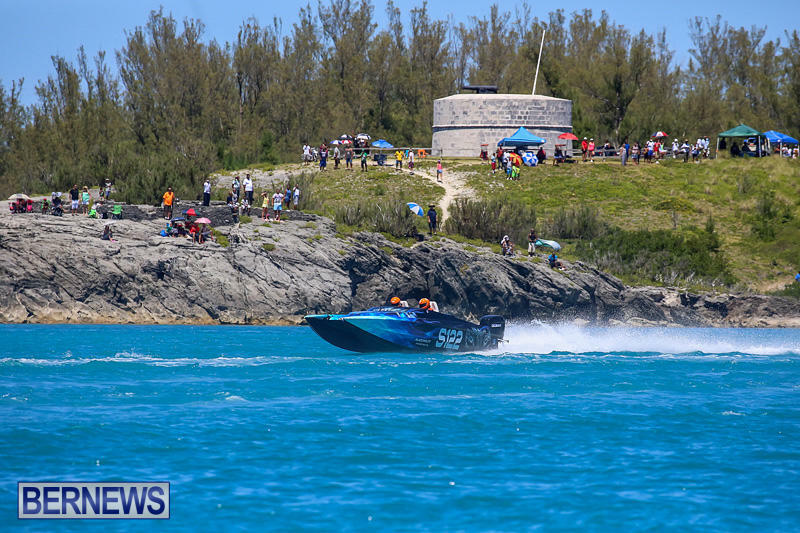 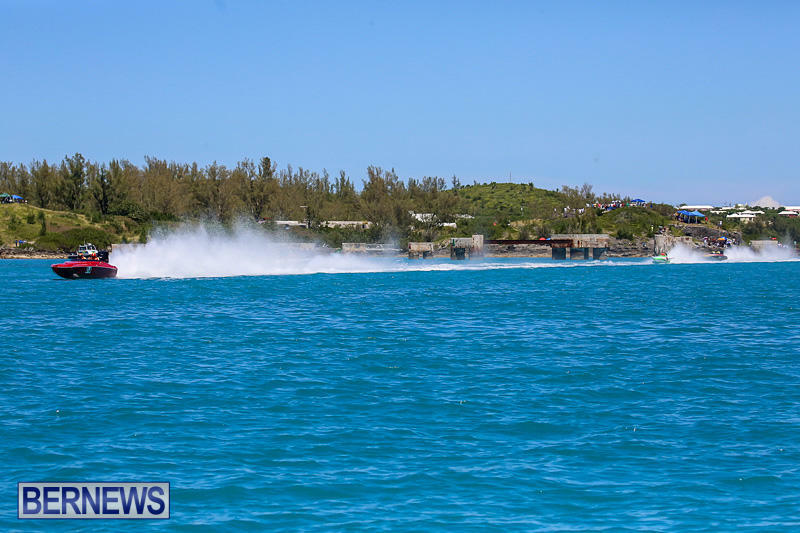 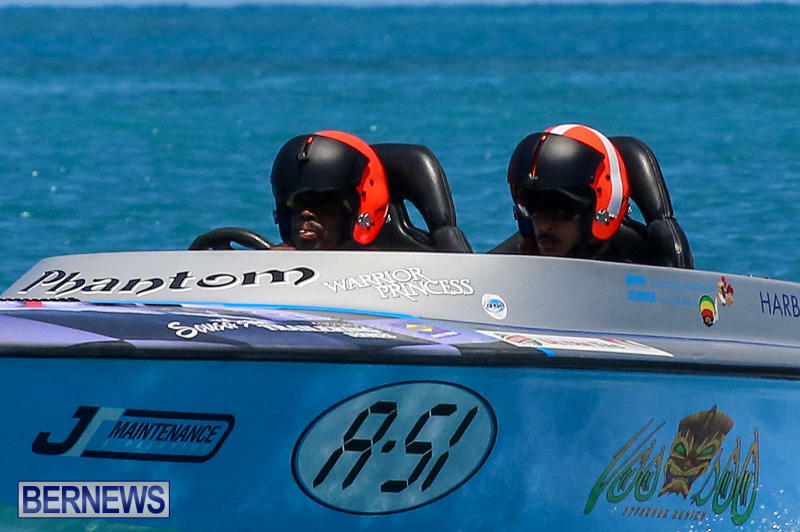 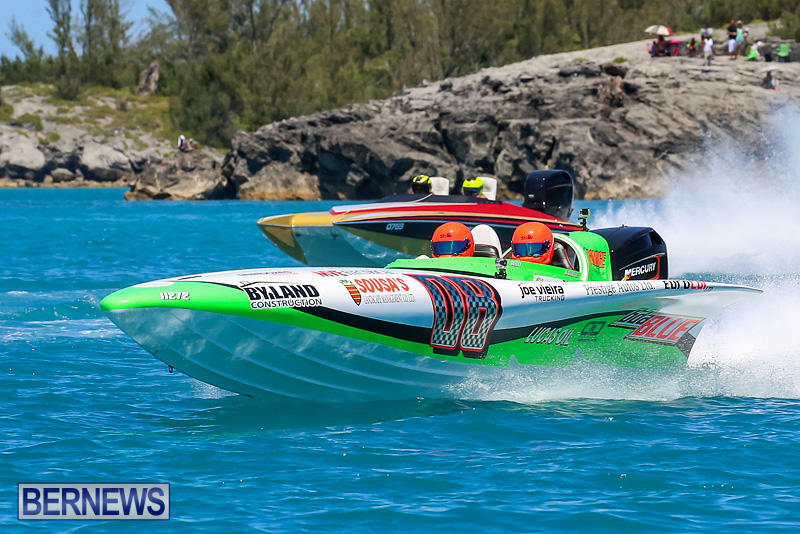 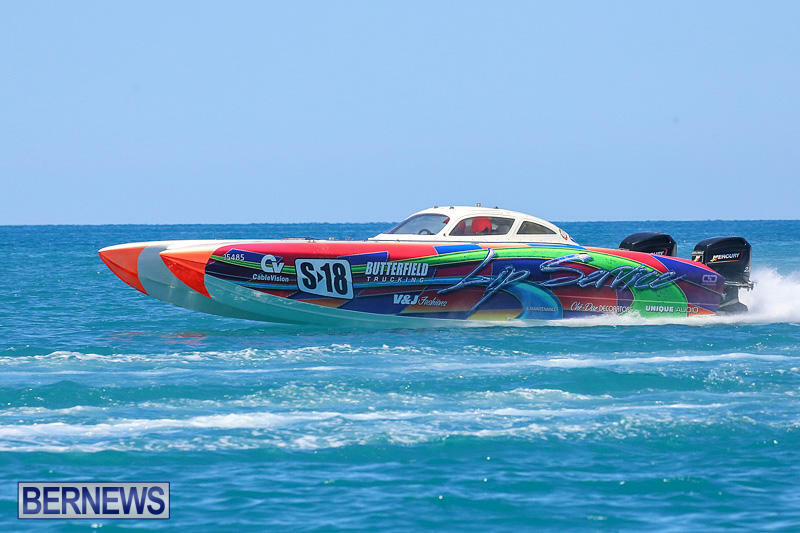 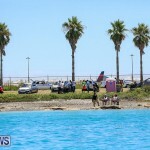 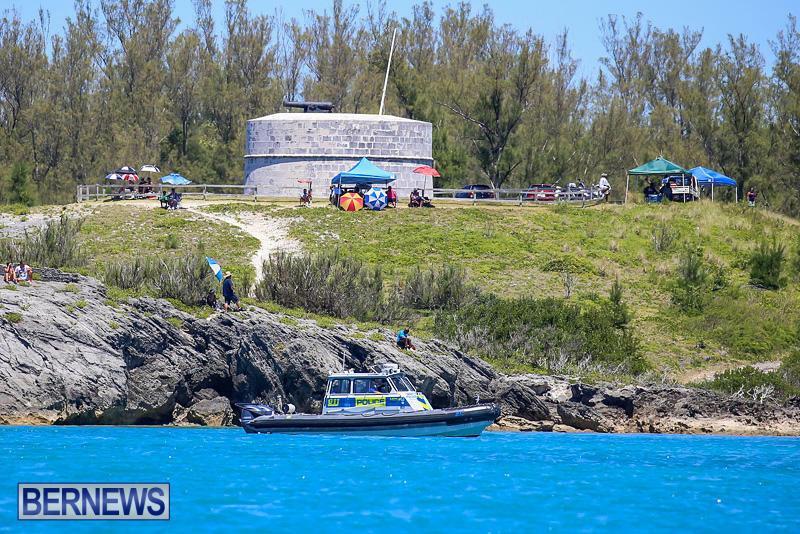 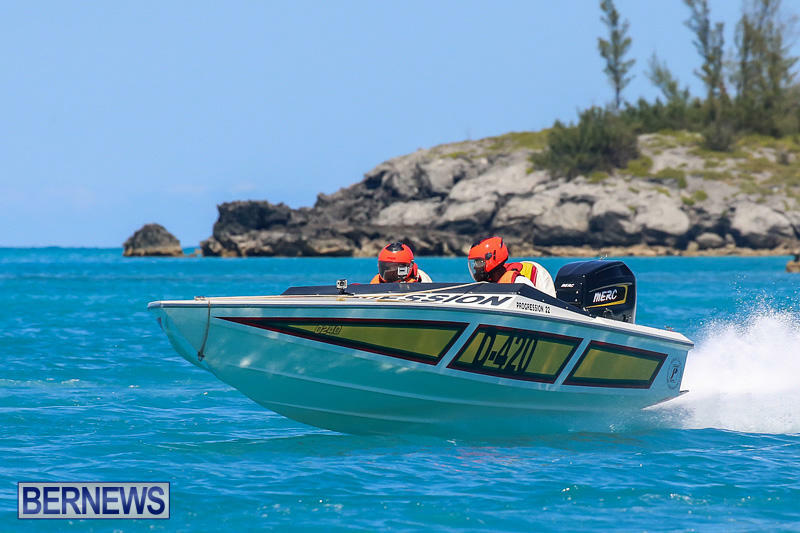 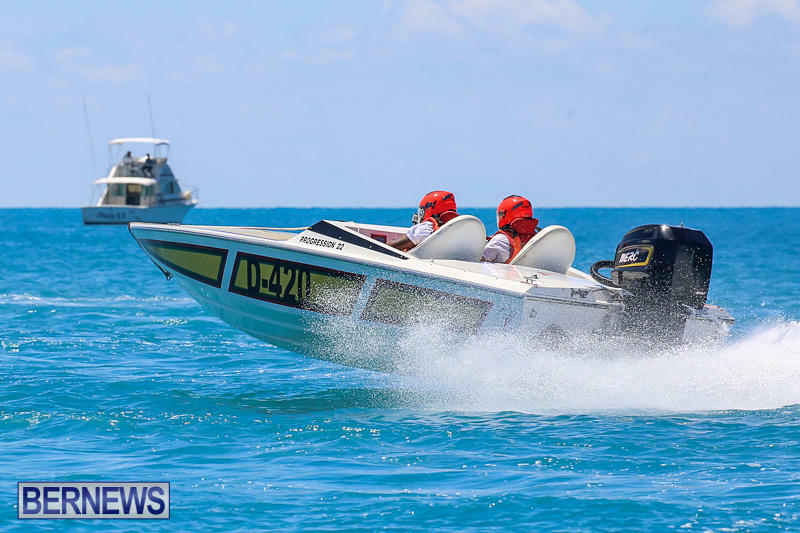 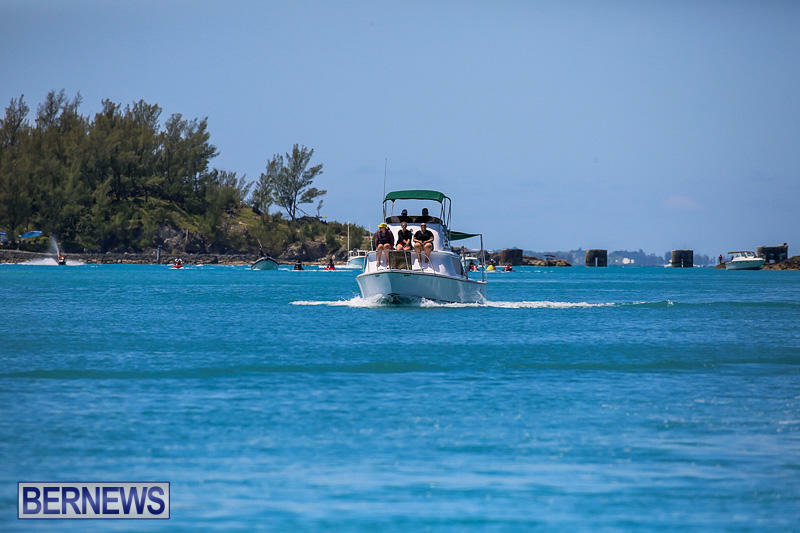 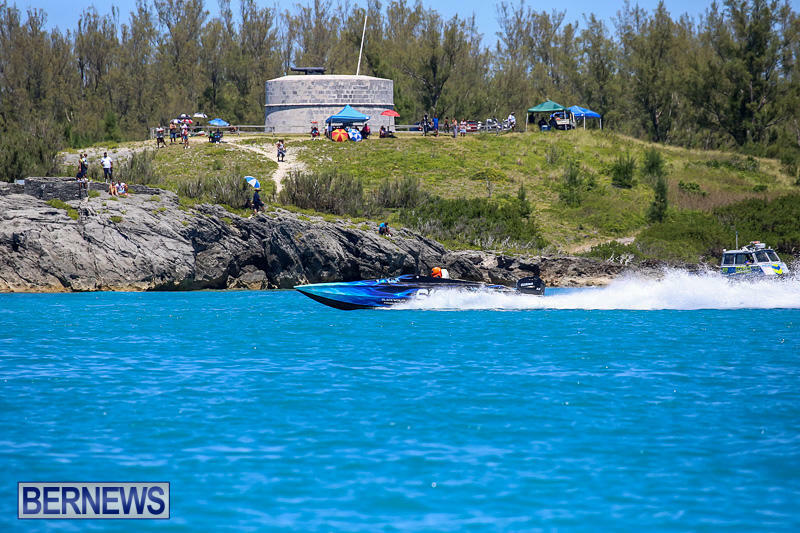 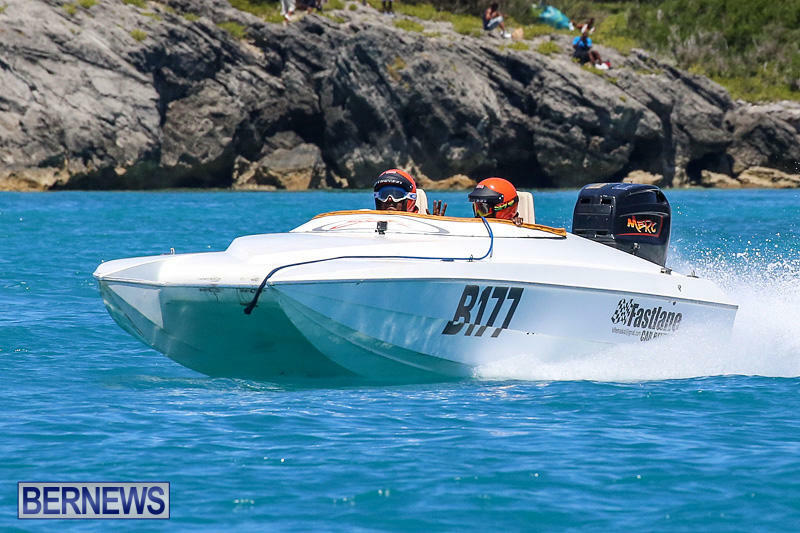 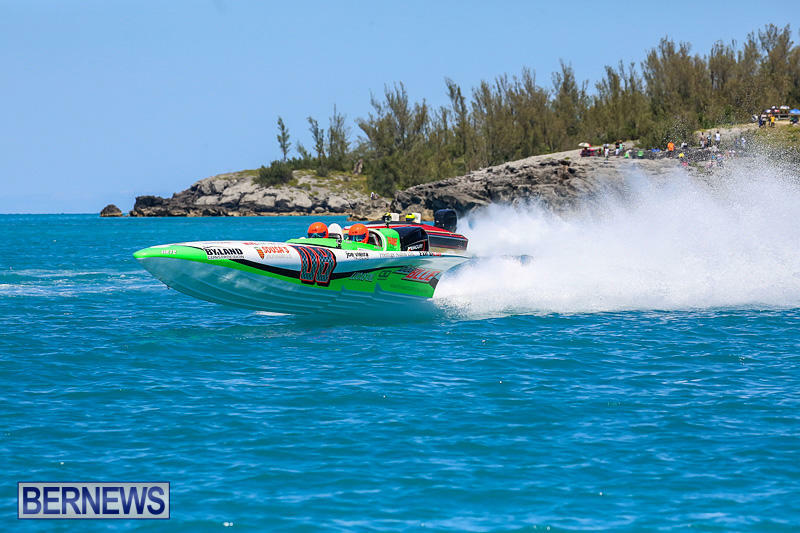 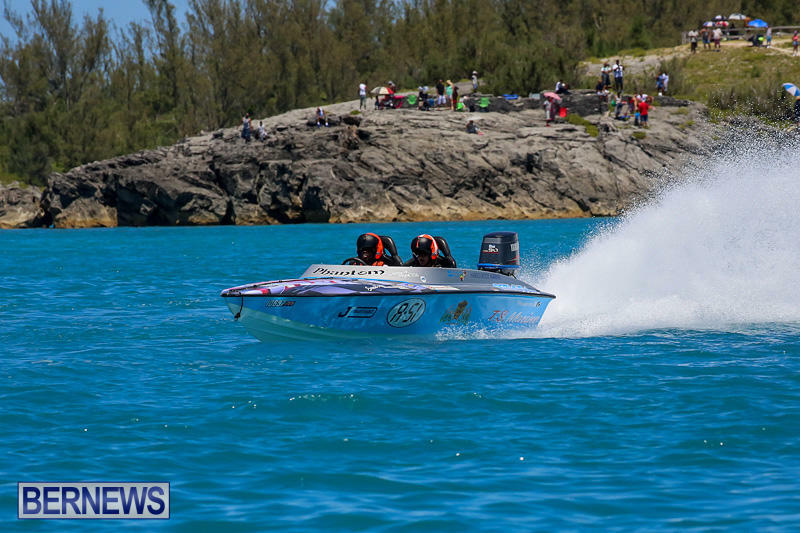 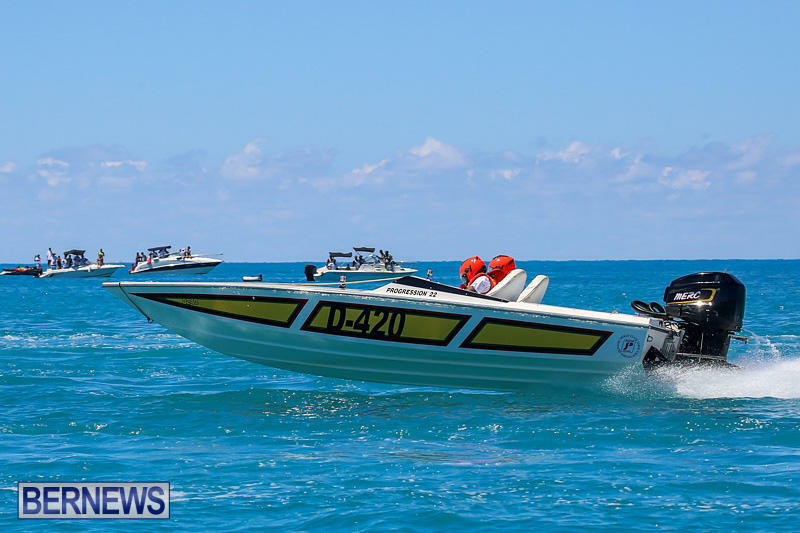 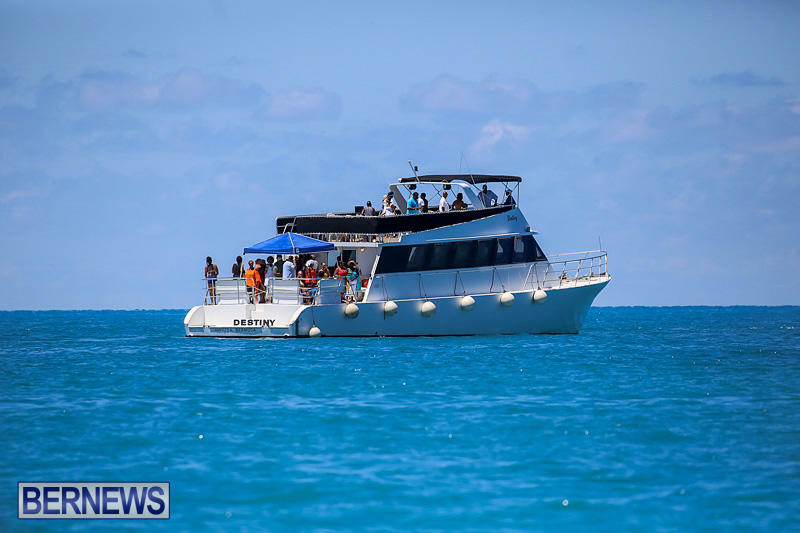 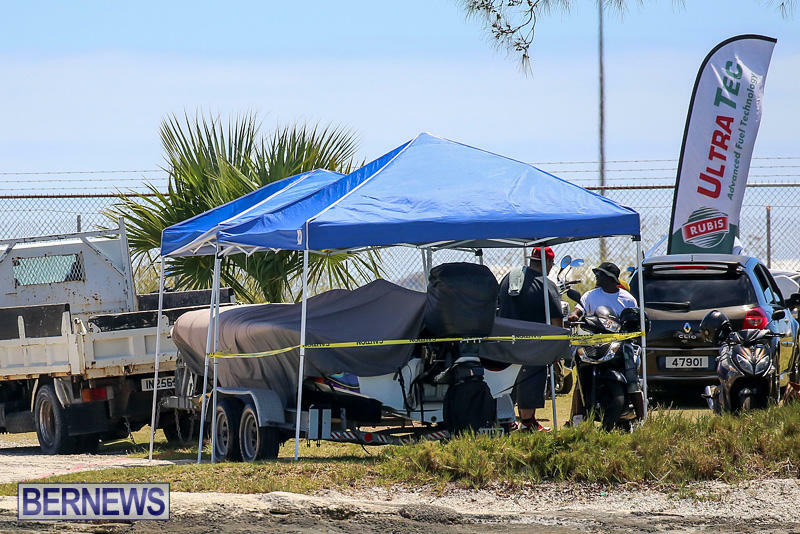 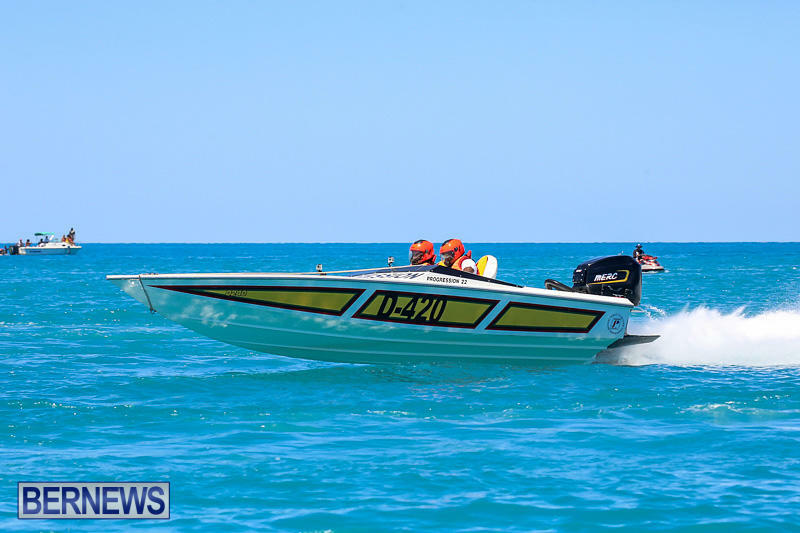 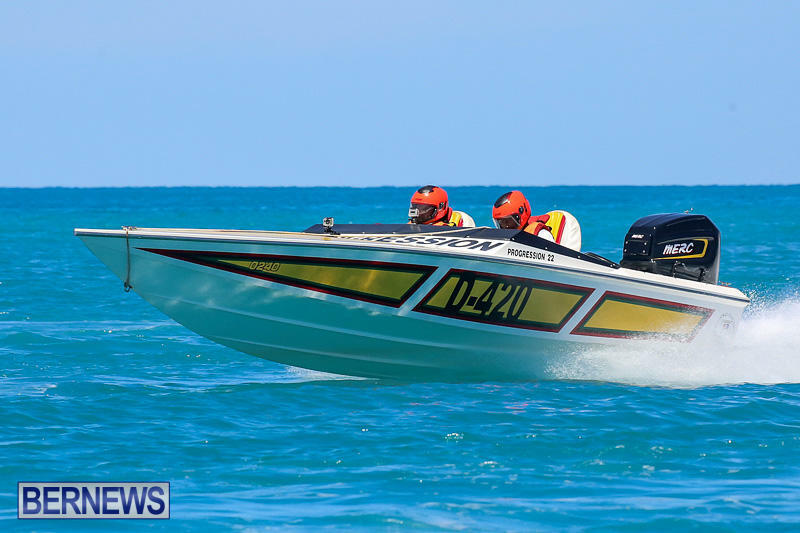 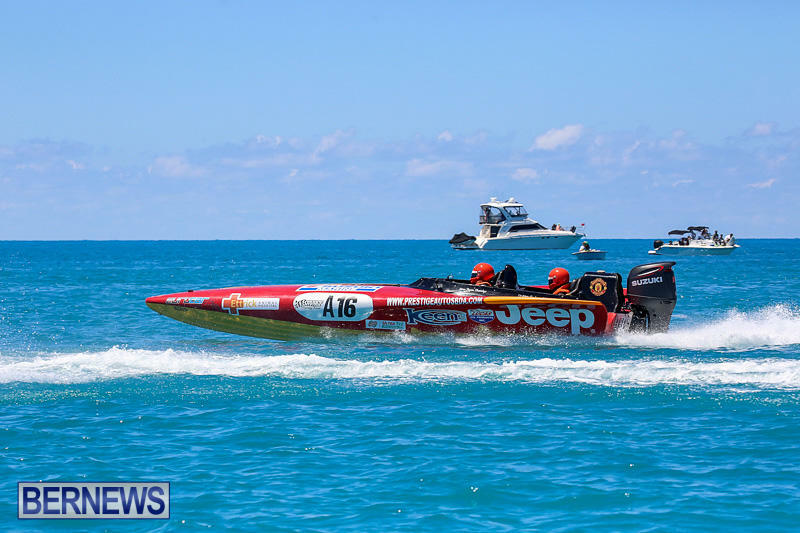 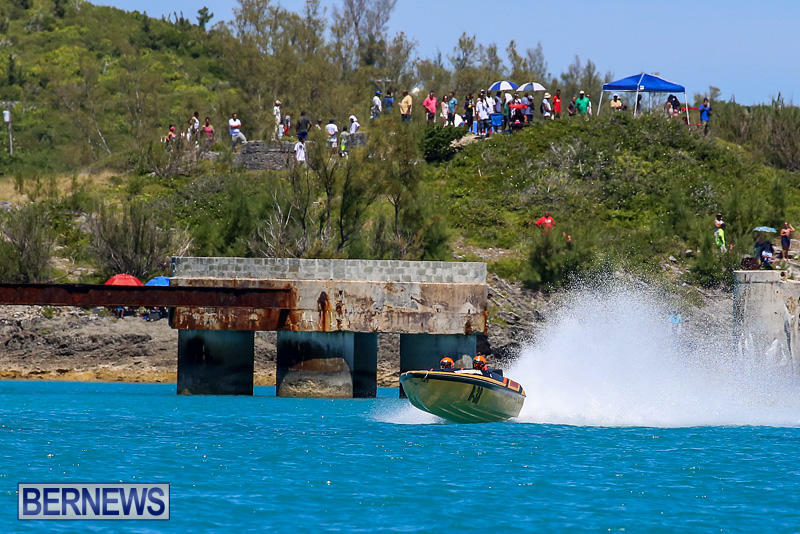 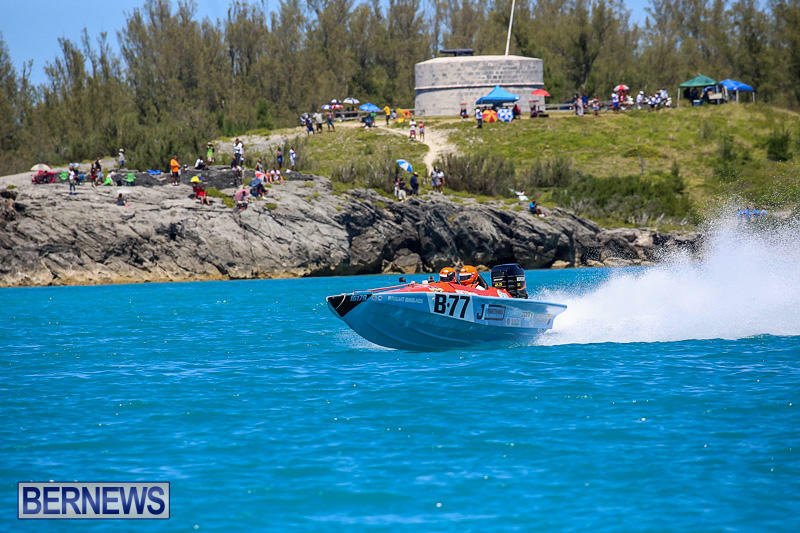 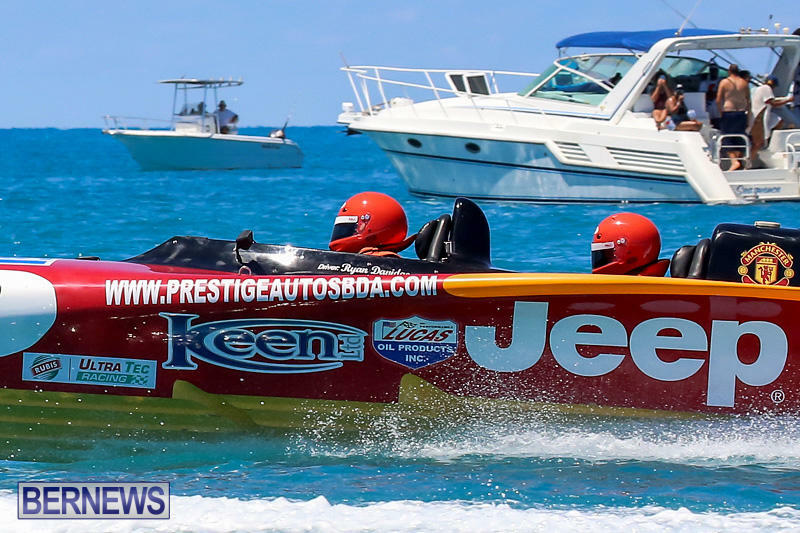 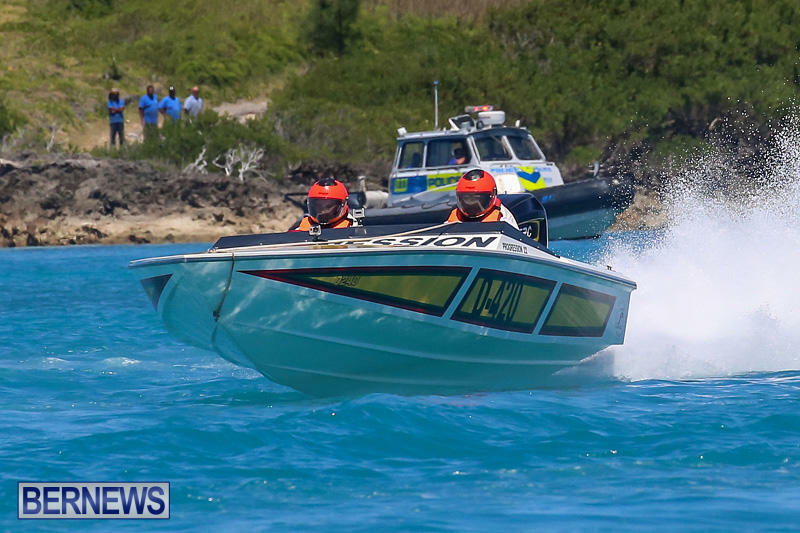 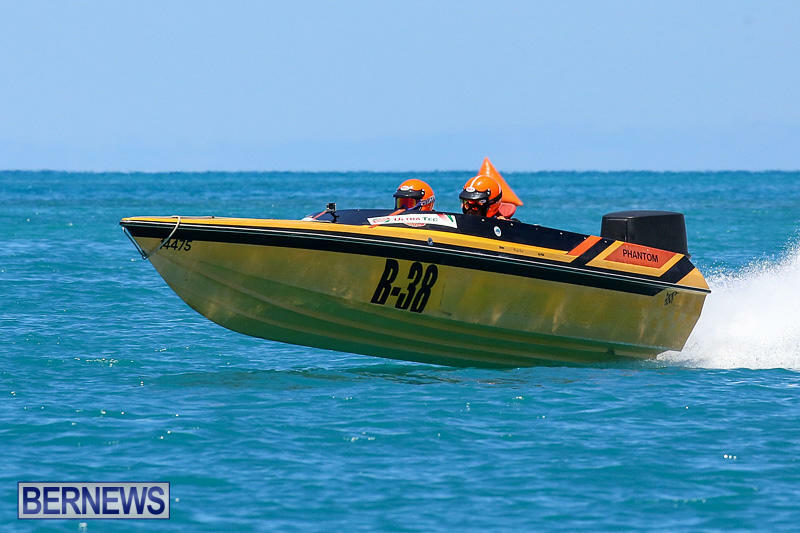 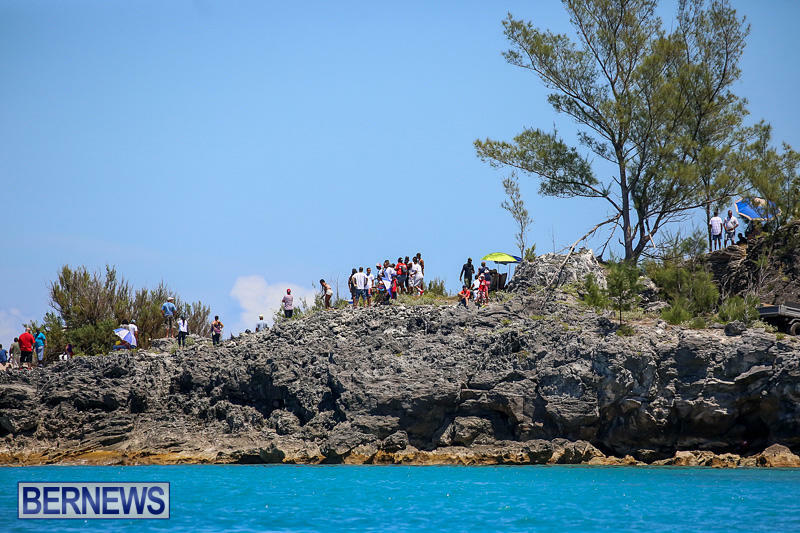 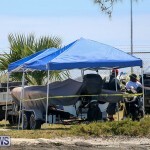 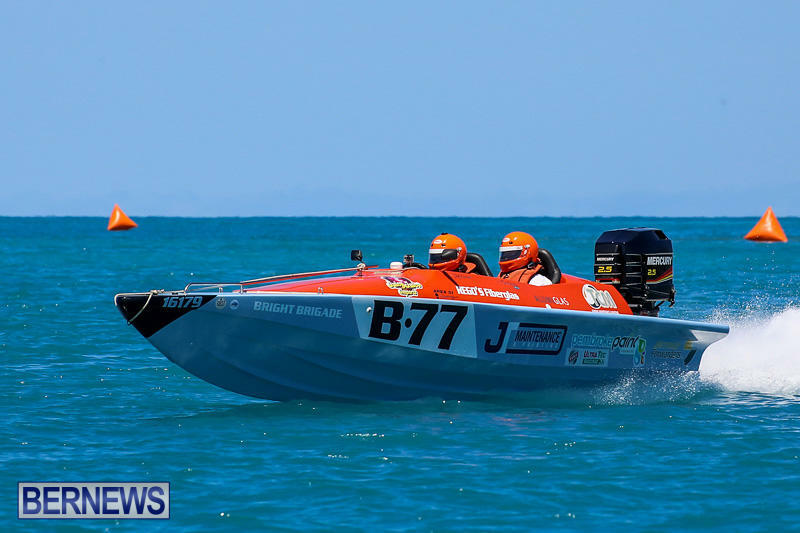 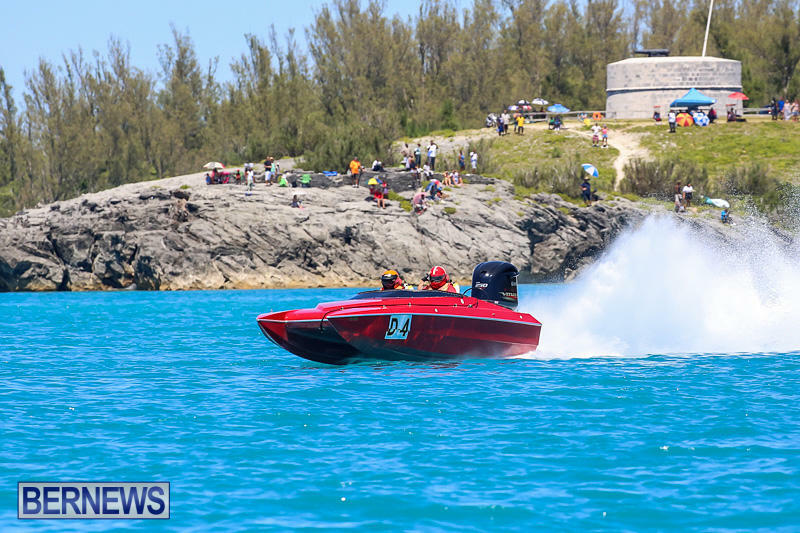 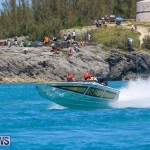 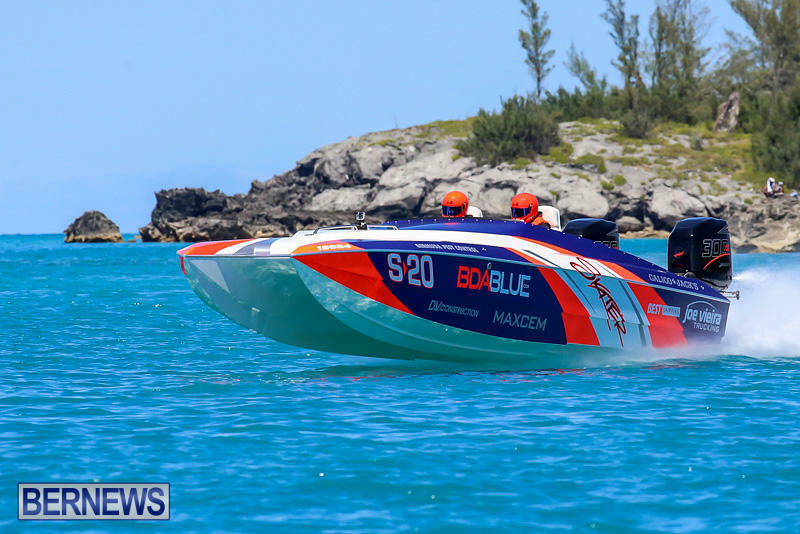 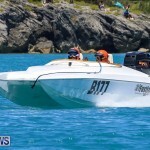 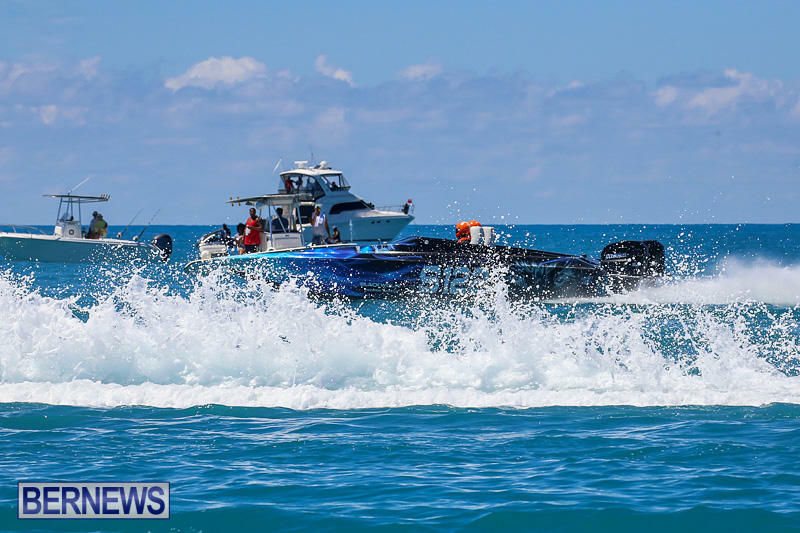 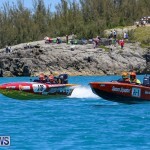 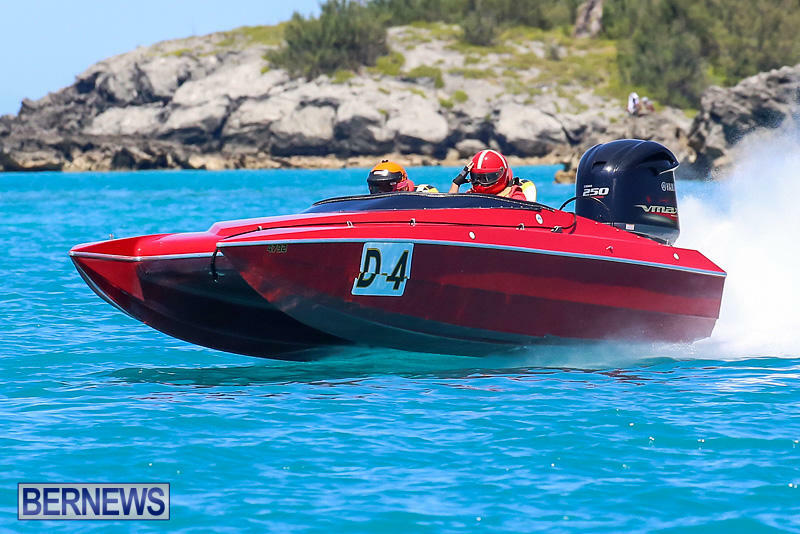 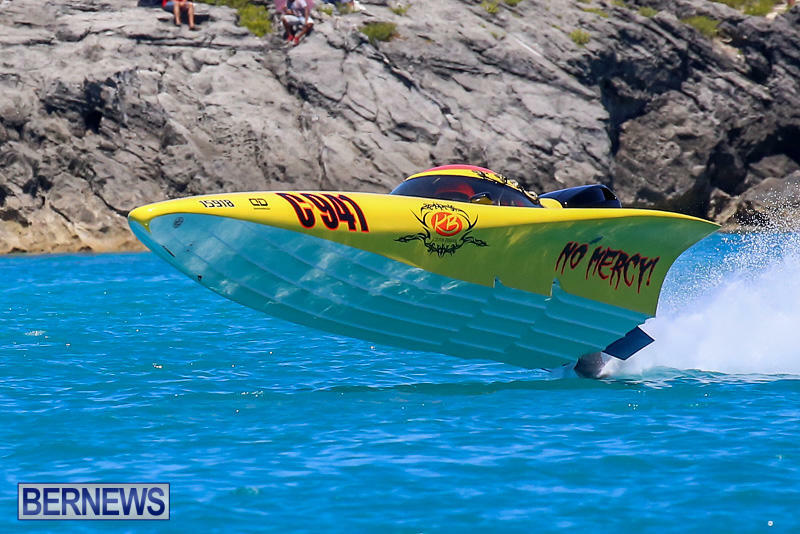 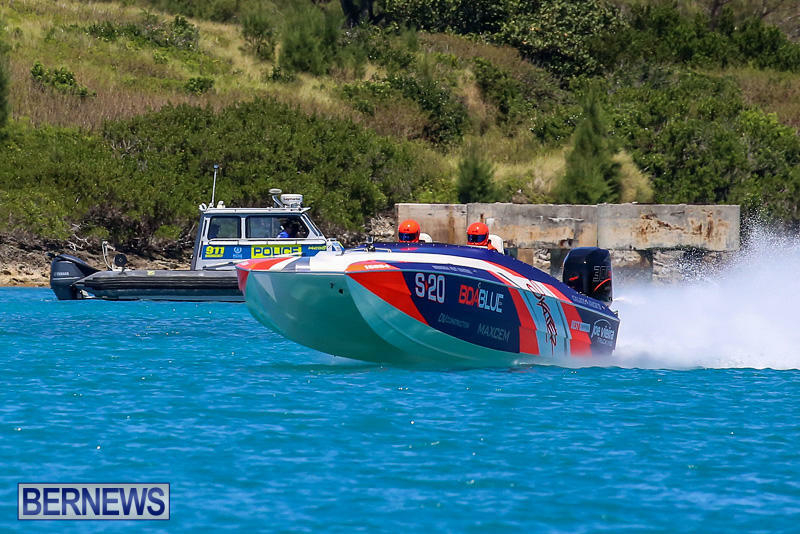 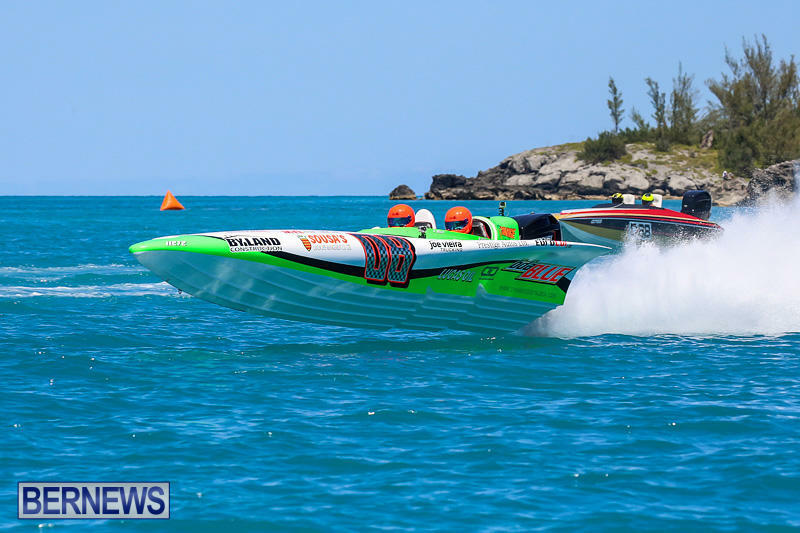 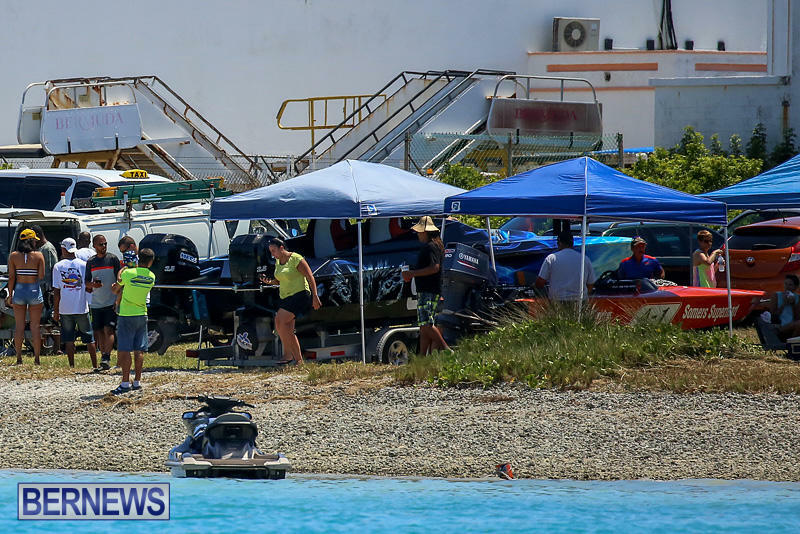 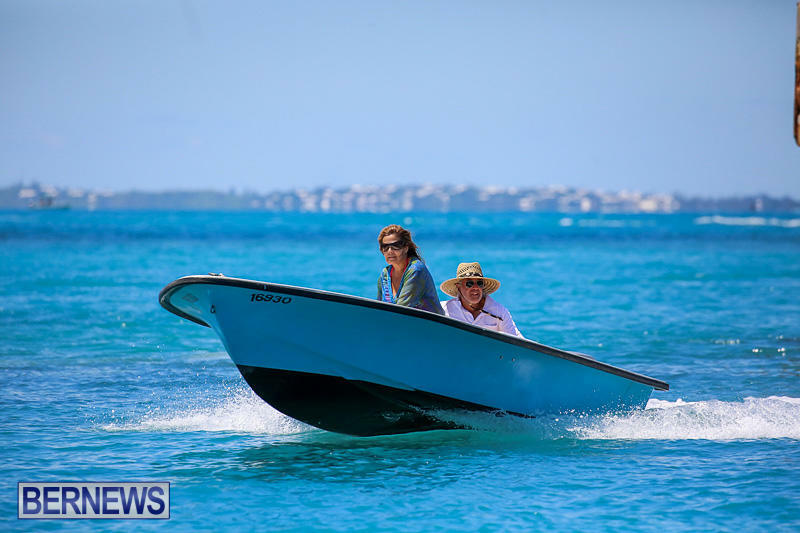 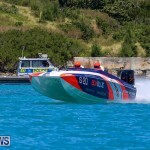 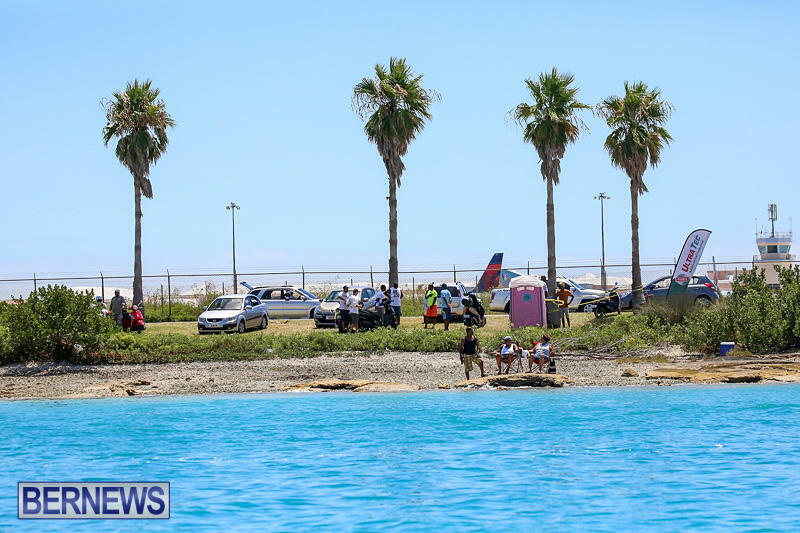 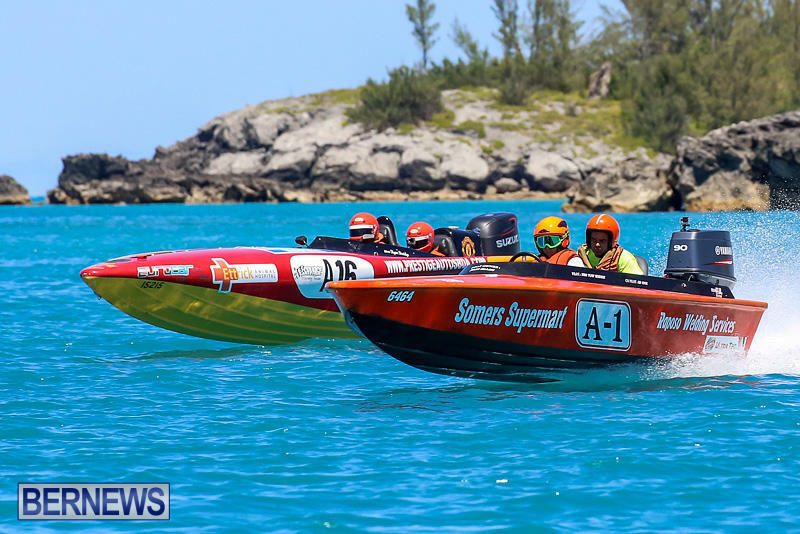 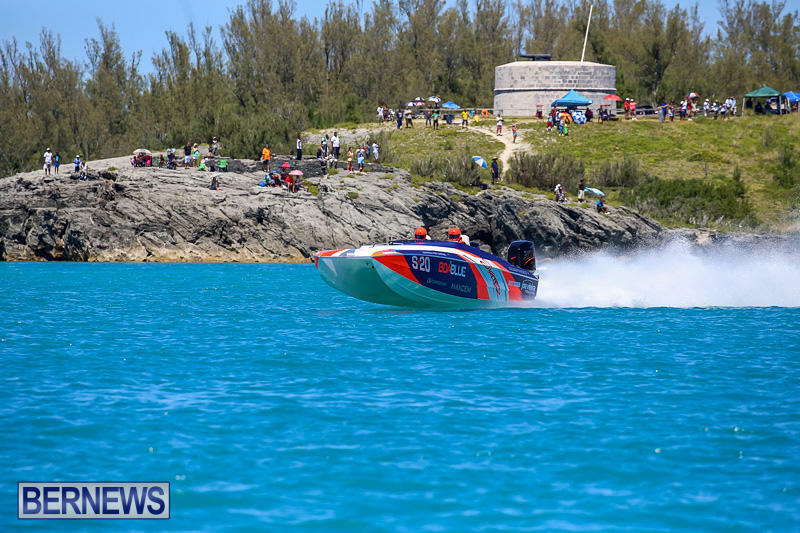 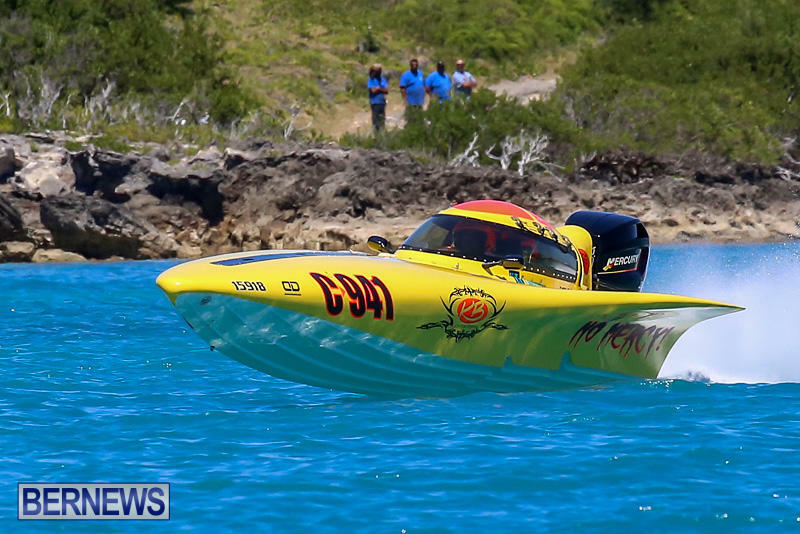 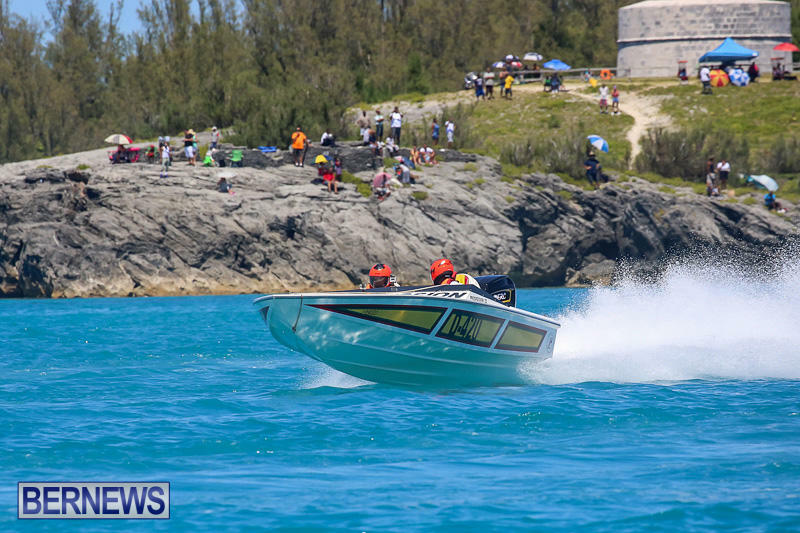 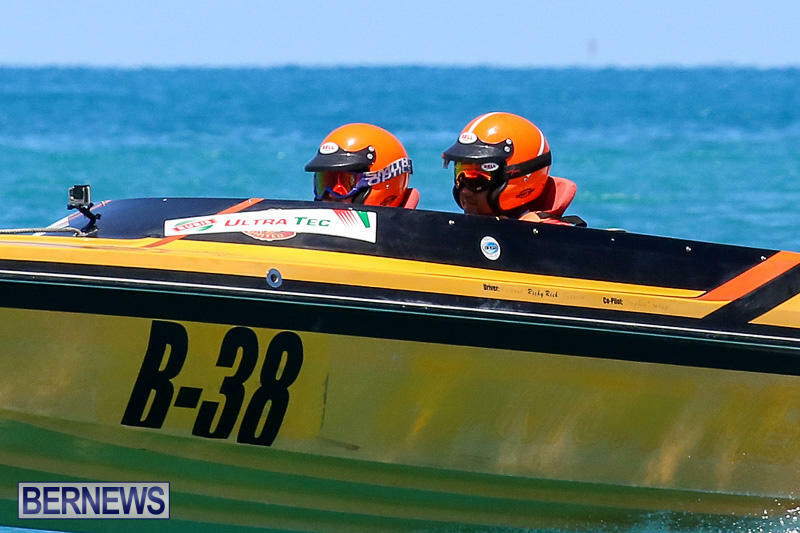 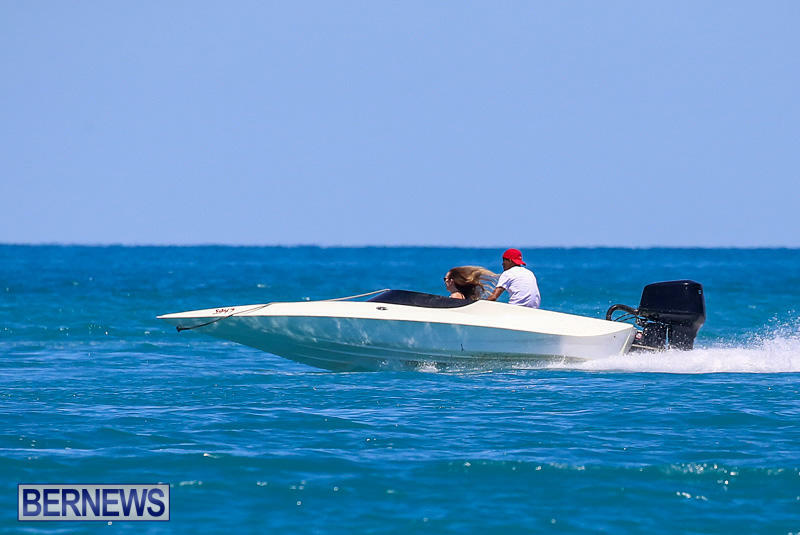 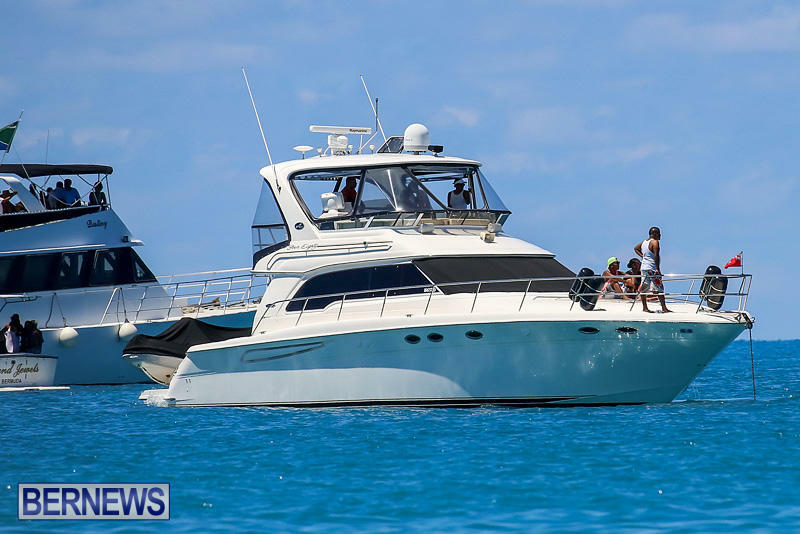 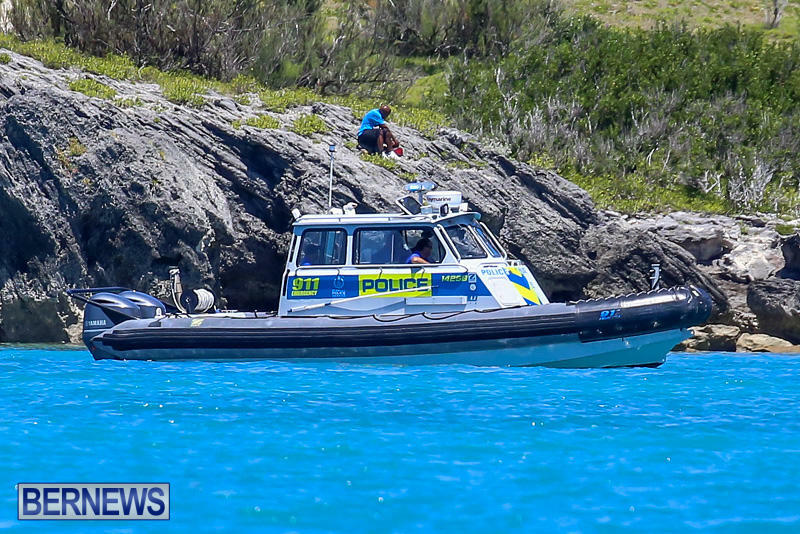 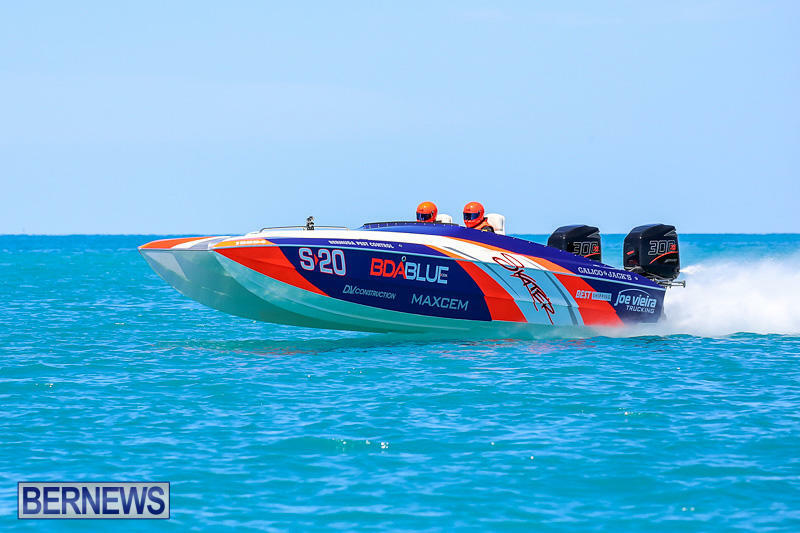 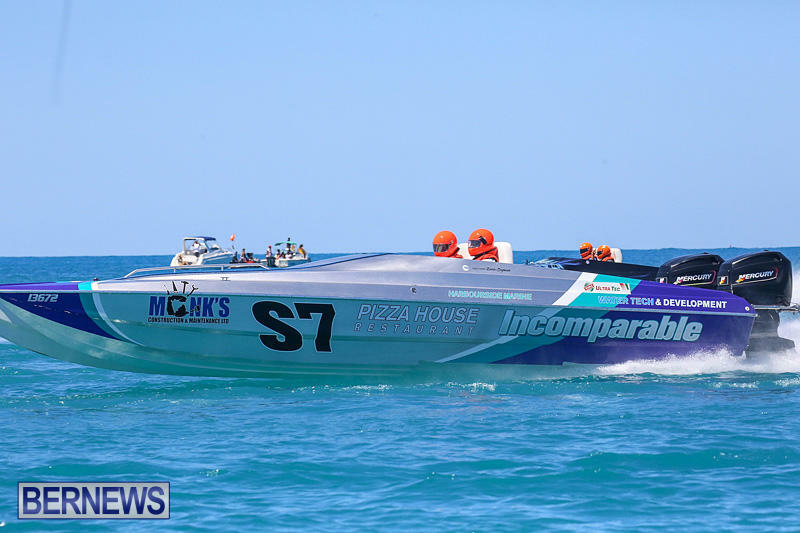 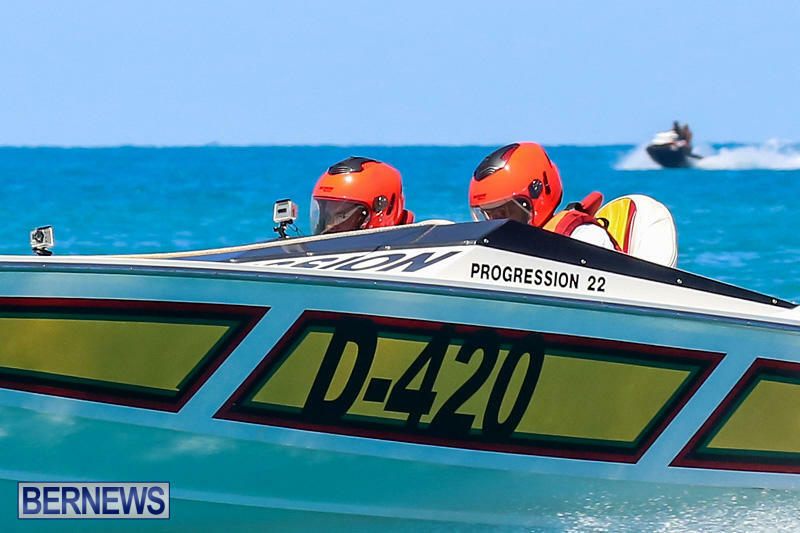 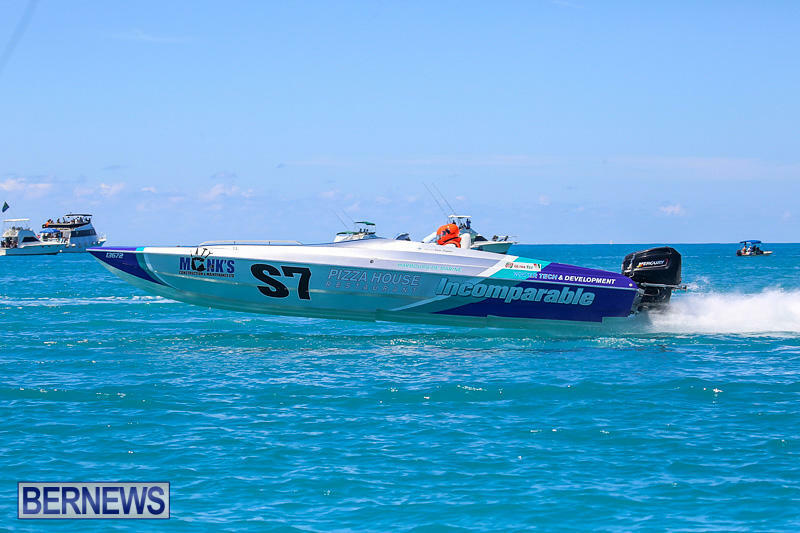 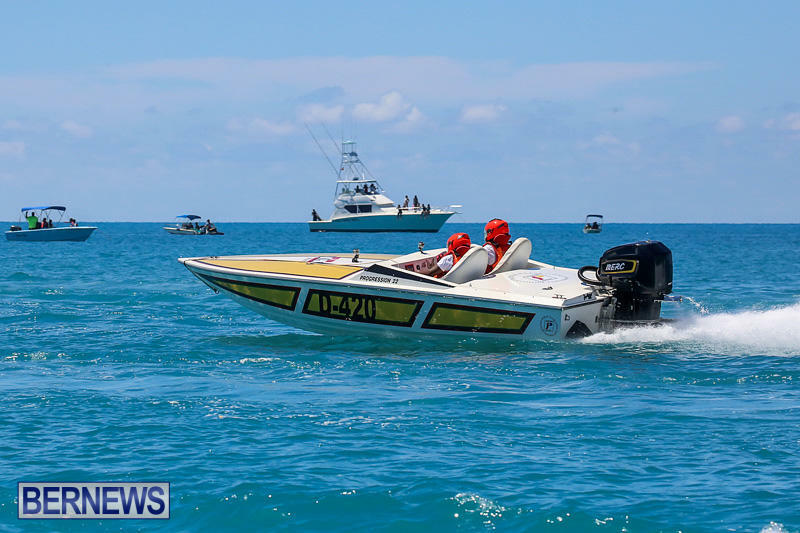 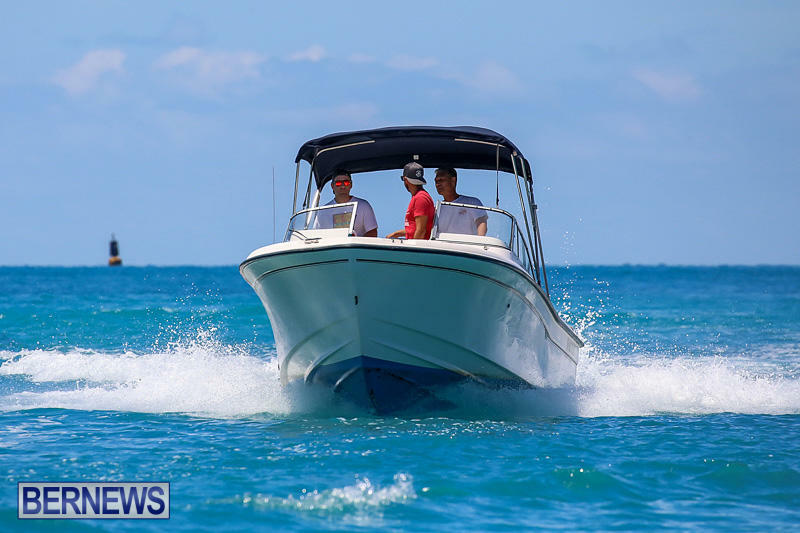 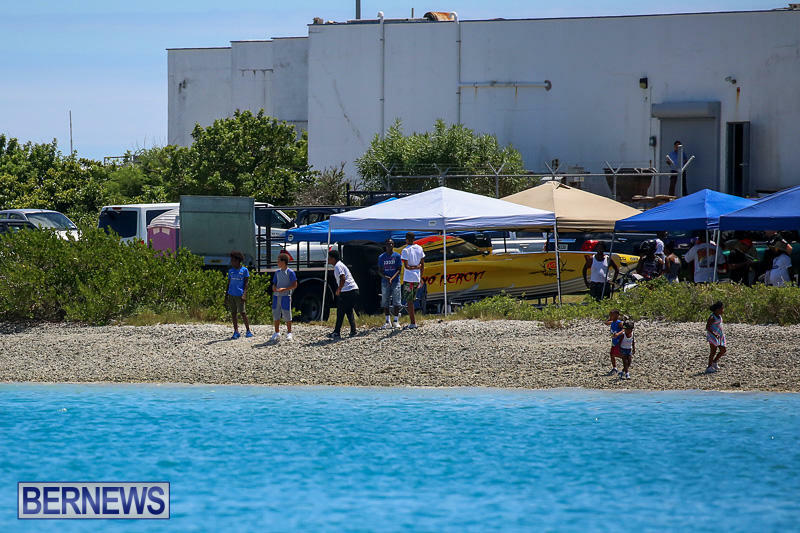 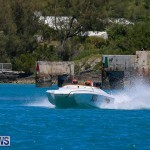 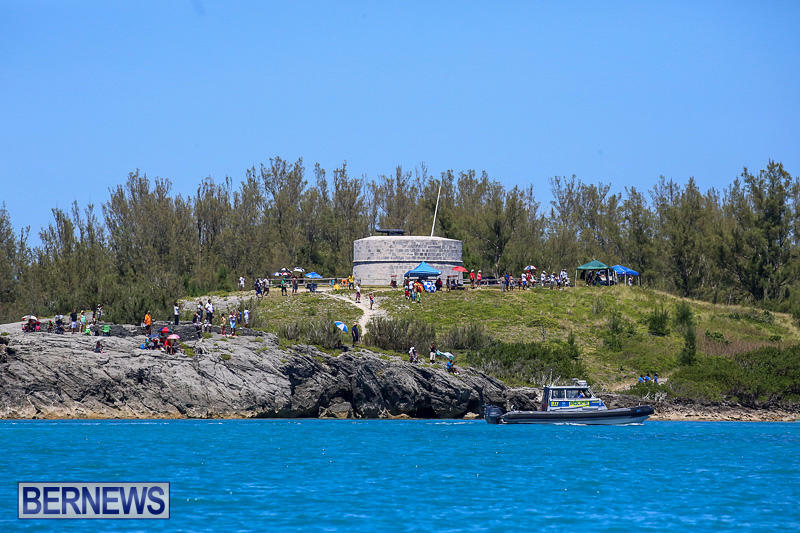 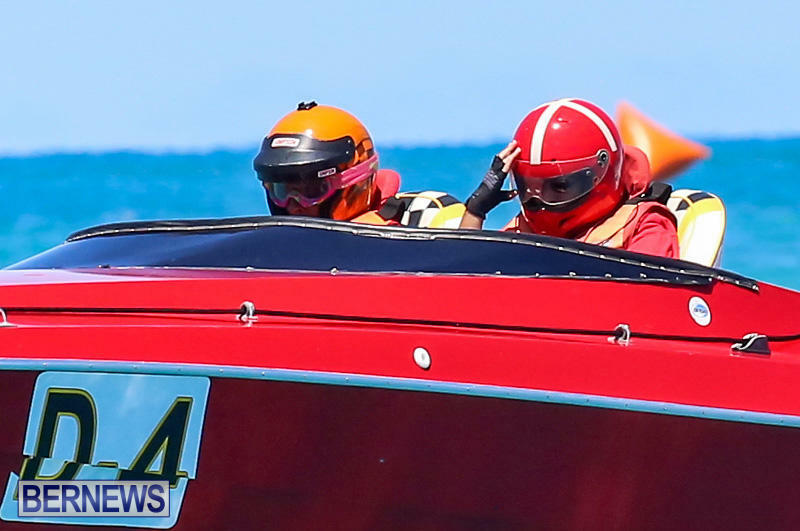 Bermuda Powerboat Association Vice-Commodore Kim McCallan, who was co-pilot in D4, sustained injuries after she and her pilot were thrown from their boat into the waters near Five Star Island. 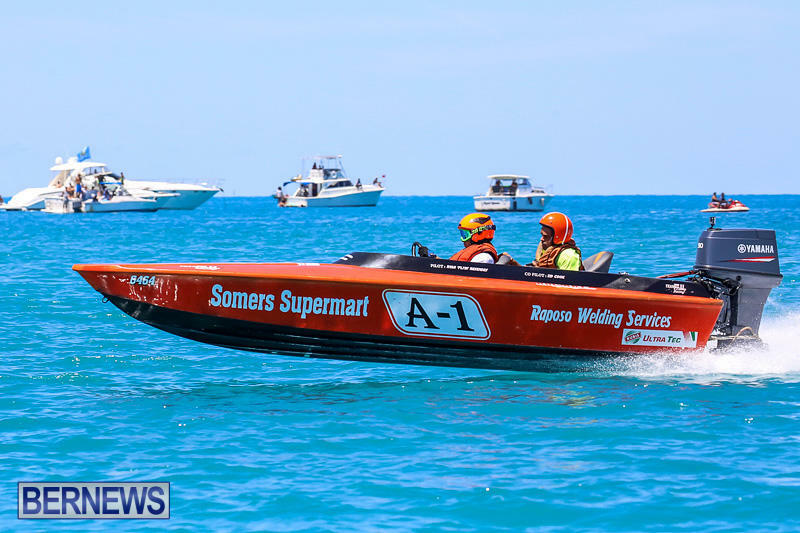 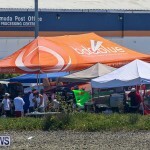 This year’s race was sponsored by Rubis, Freisenbruch-Meyer Group, PW’s, International Sports Shop and Barritt’s. 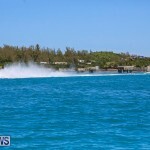 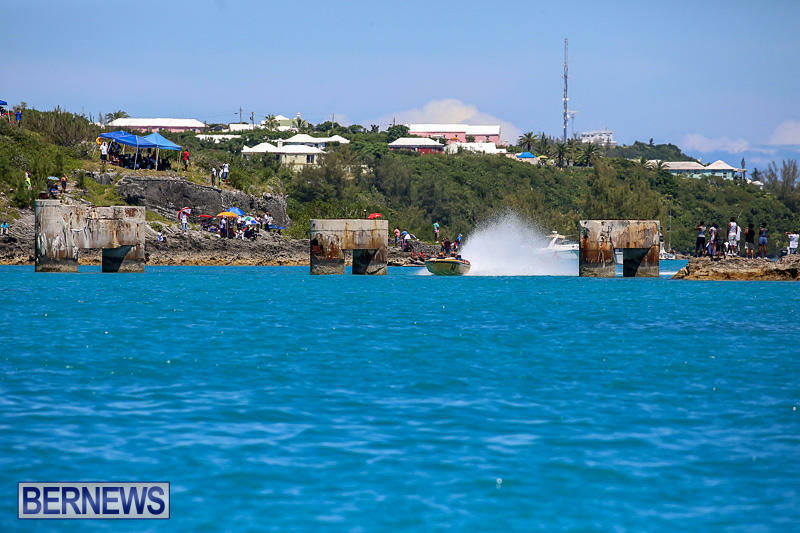 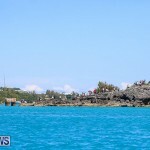 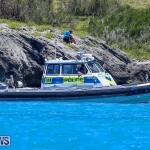 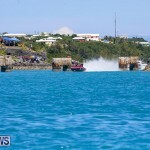 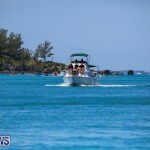 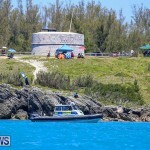 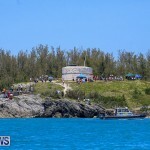 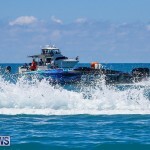 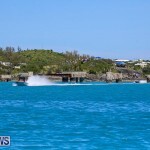 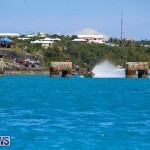 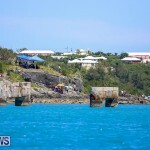 BPBA, Bermuda Police some body What happen to the buoys outside the pylons.. That is very suprising those brain surgeons pleasure boat operators, if that’s what they are didn’t get hit or cause an accident. 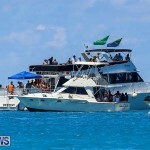 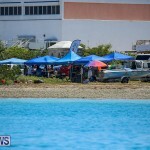 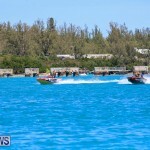 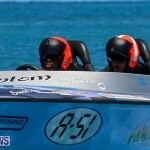 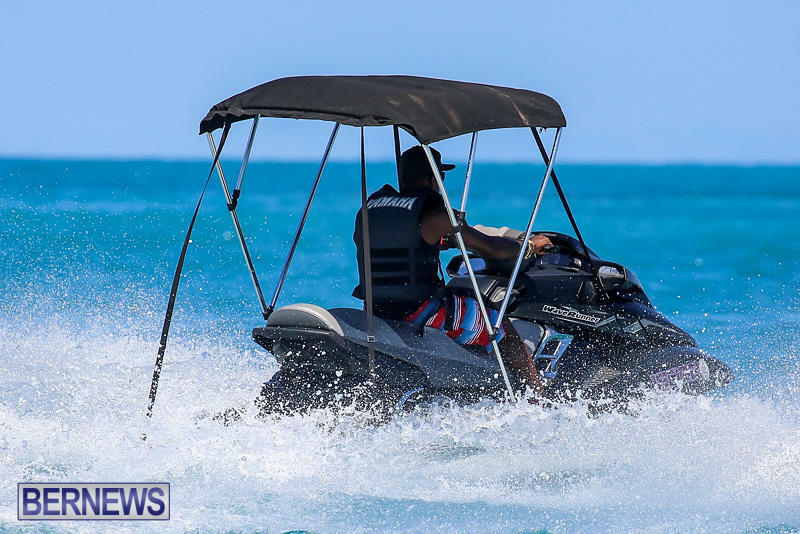 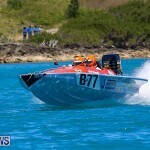 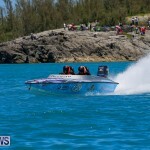 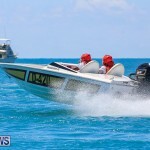 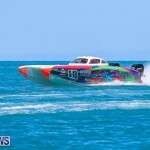 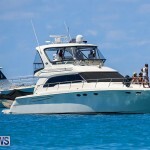 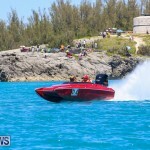 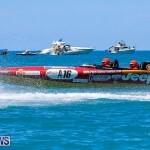 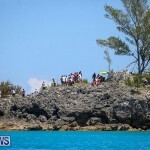 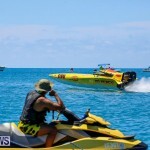 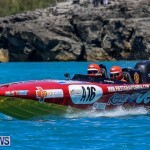 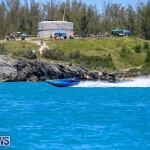 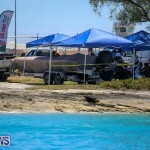 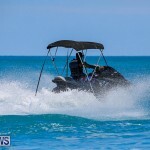 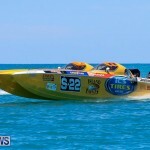 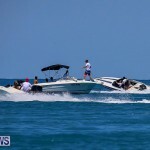 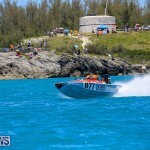 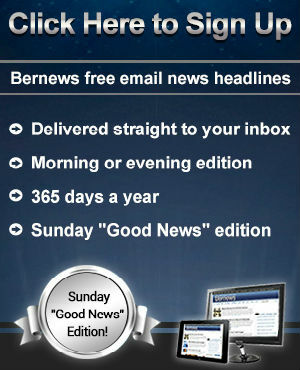 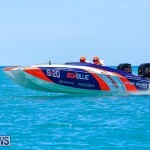 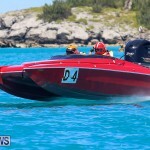 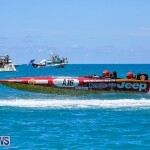 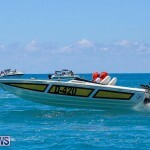 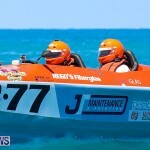 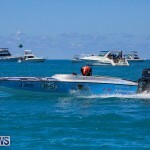 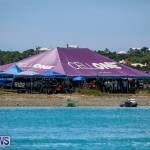 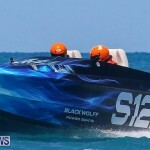 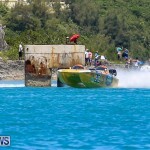 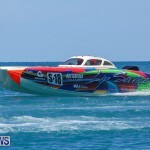 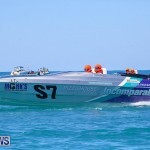 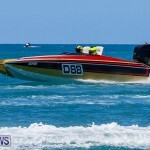 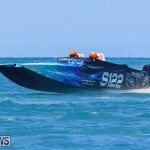 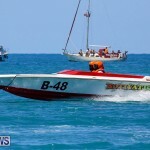 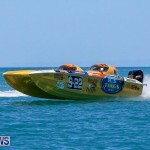 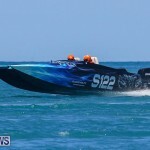 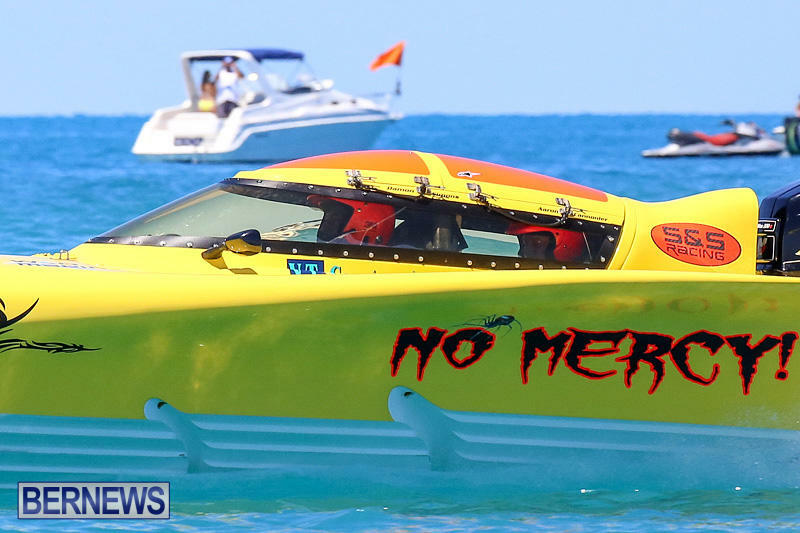 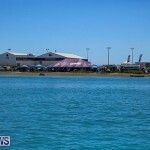 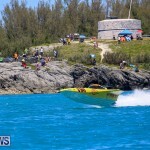 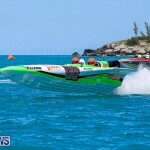 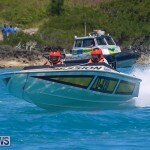 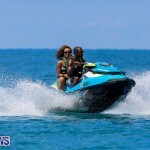 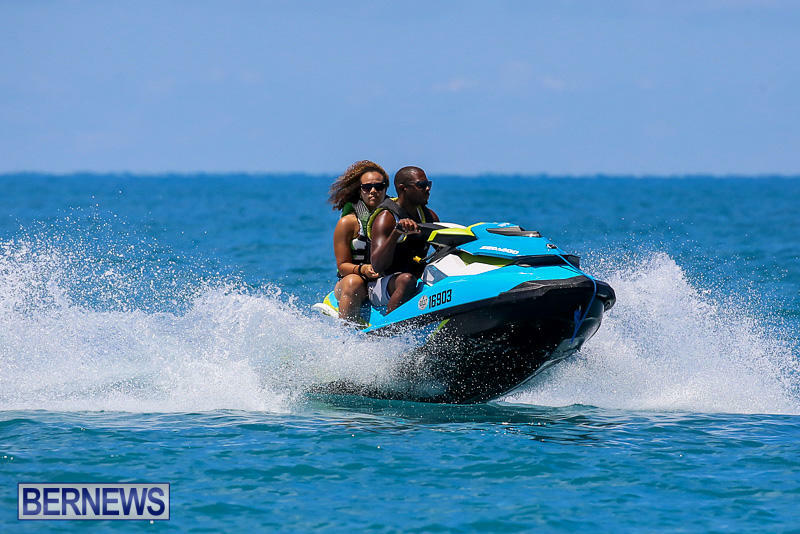 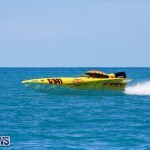 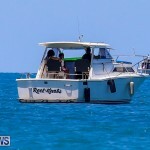 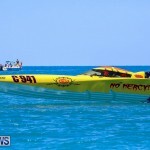 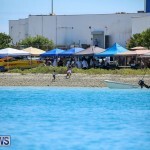 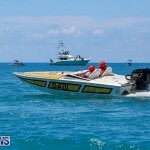 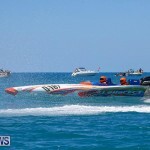 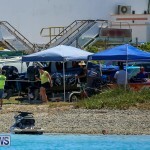 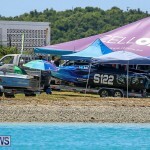 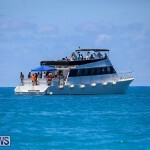 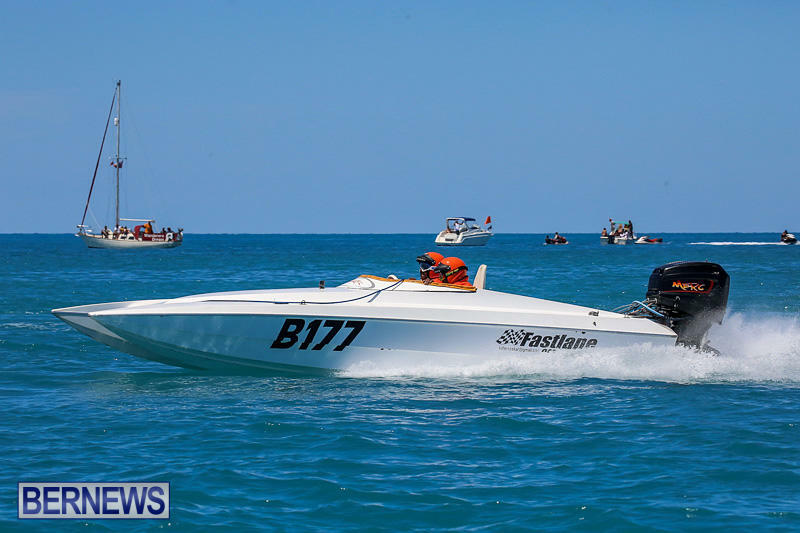 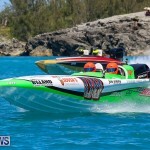 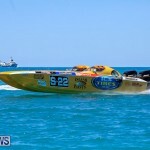 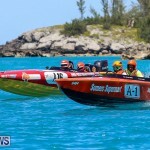 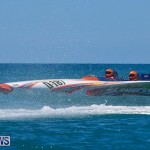 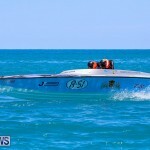 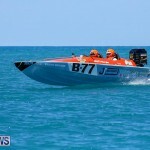 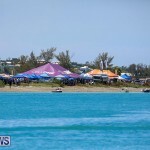 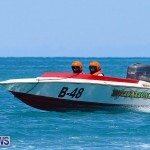 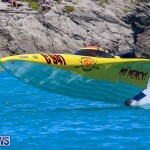 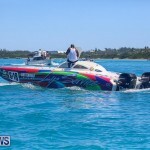 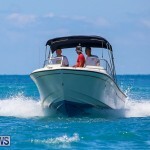 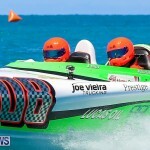 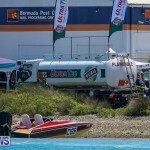 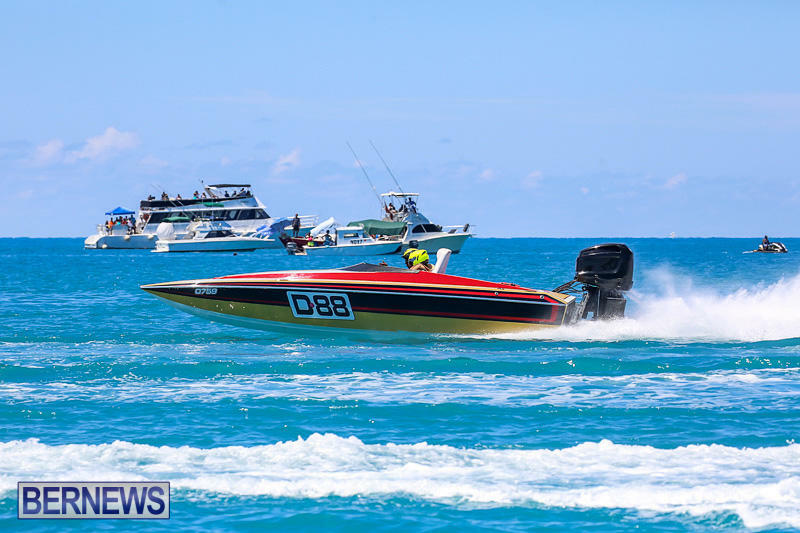 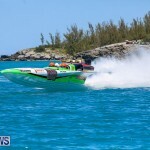 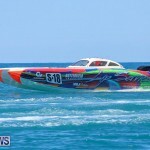 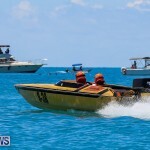 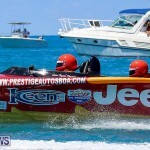 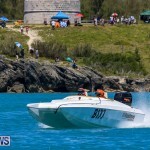 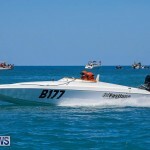 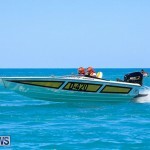 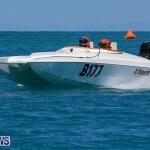 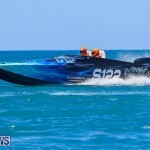 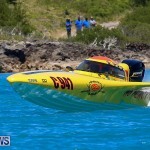 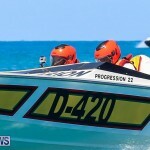 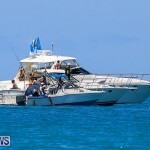 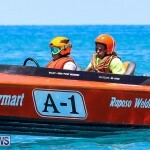 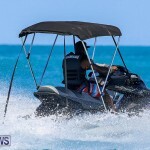 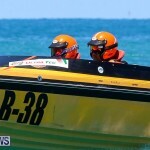 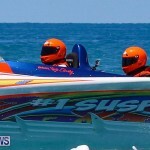 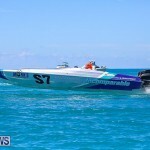 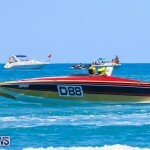 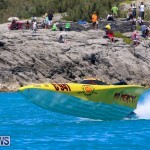 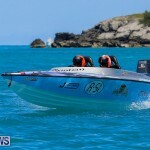 The race boats should’ve had a bee line directly to flatts,.. 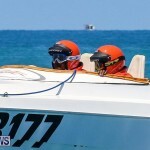 Typical we are going to wait for something serious to happen before something gets done.